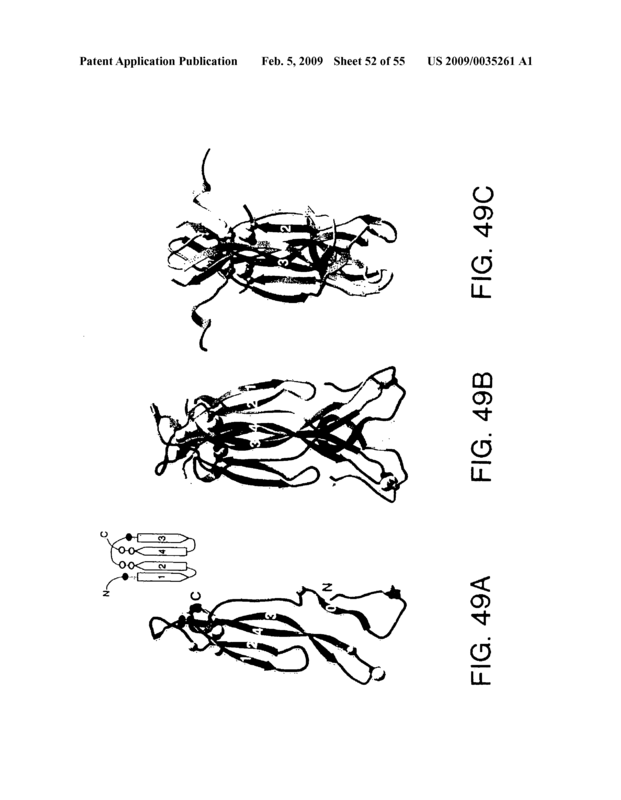 The present invention is directed to novel polypeptides having sequence identity with IL-17, IL-17 receptors and to nucleic acid molecules encoding those polypeptides. 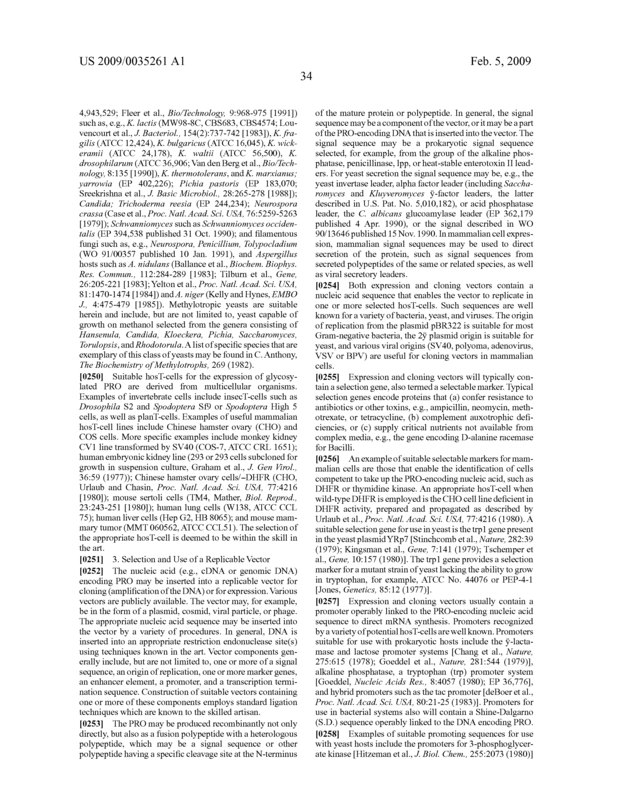 Also provided herein are vectors and hosT-cells comprising those nucleic acid sequences, chimeric polypeptide molecules comprising the polypeptides of the present invention fused to heterologous polypeptide sequences, antibodies which bind to the polypeptides of the present invention and to methods for producing the polypeptides of the present invention. 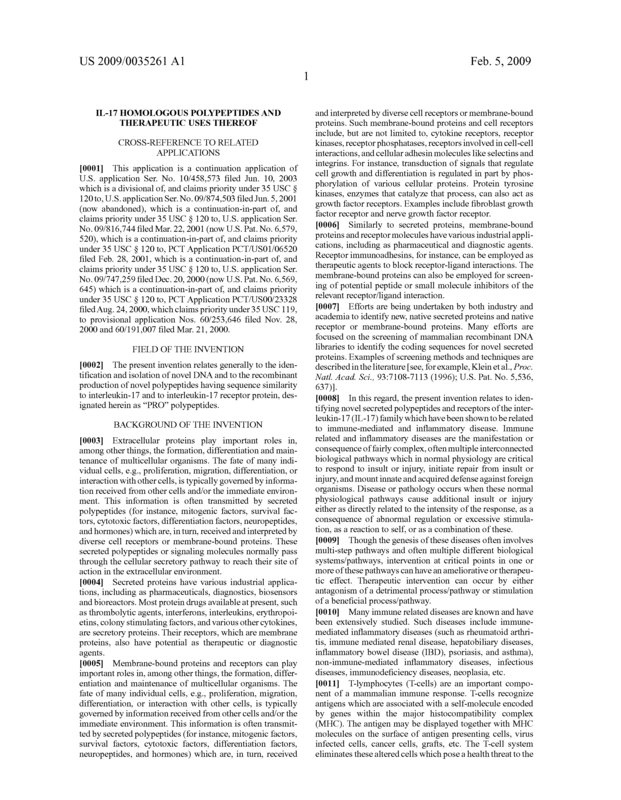 Further provided herein are methods for treating degenerative cartilaginous disorders and other inflammatory diseases. 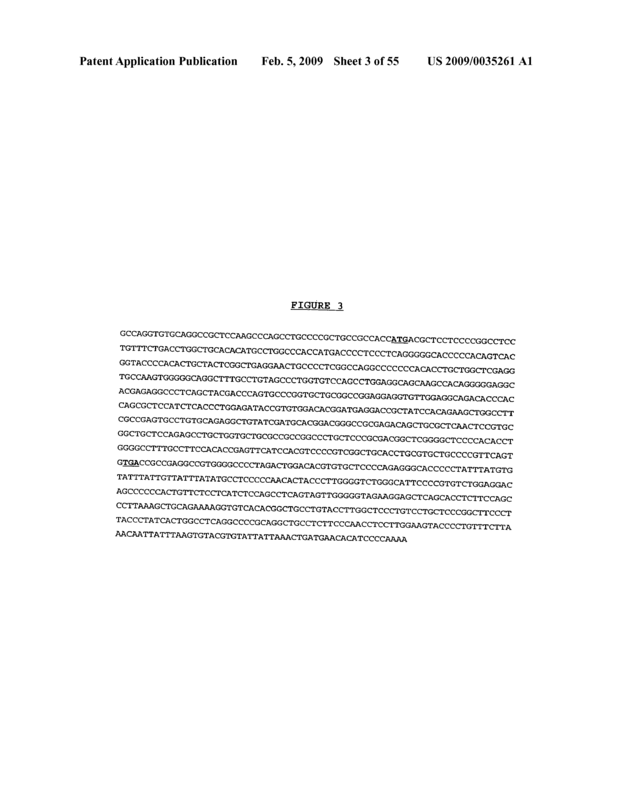 (d) a nucleotide sequence encoding an extracellular domain of the polypeptide shown in FIG. 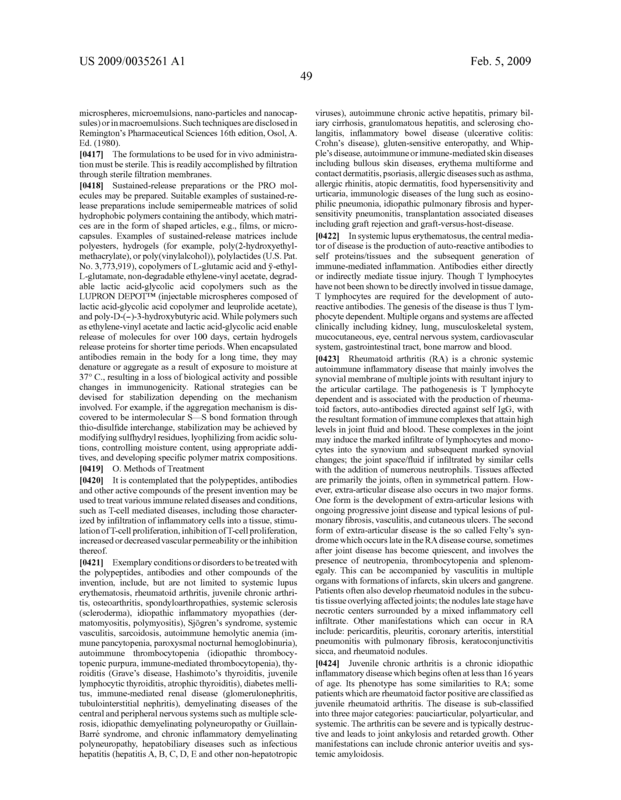 2 (SEQ ID NO:2), FIG. 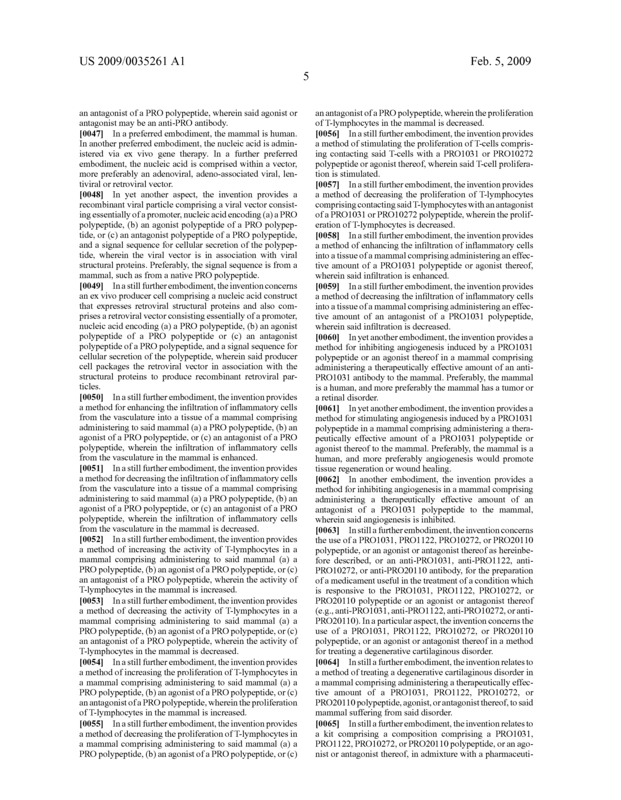 4 (SEQ ID NO:4), FIG. 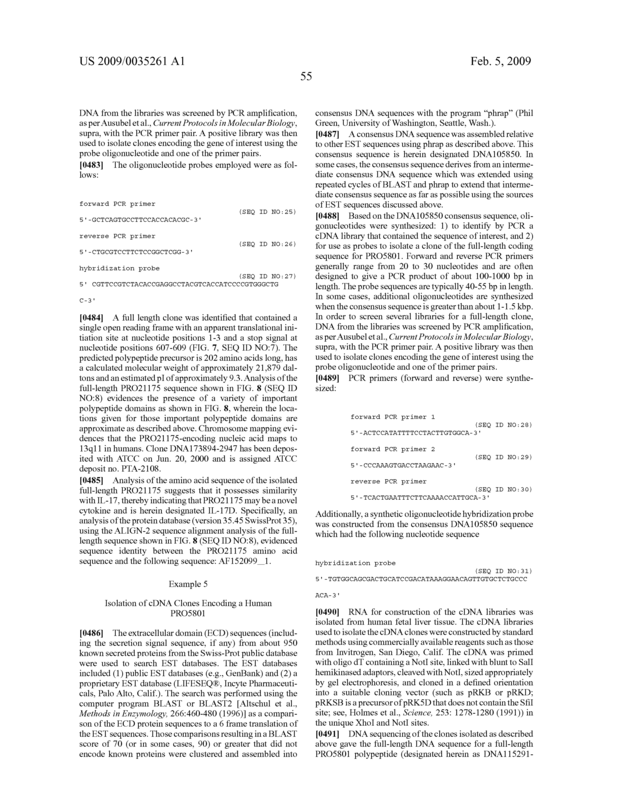 6 (SEQ ID NO:6), FIG. 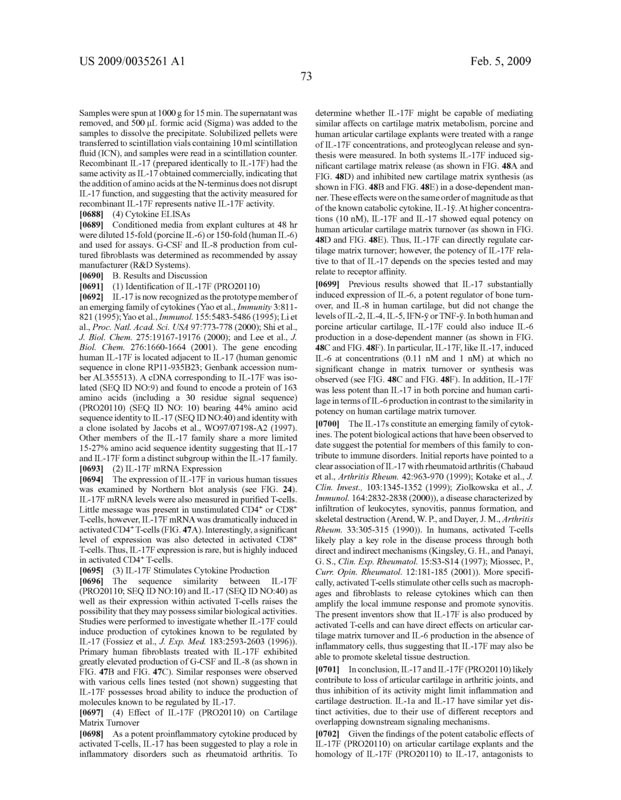 8 (SEQ ID NO:8), FIG. 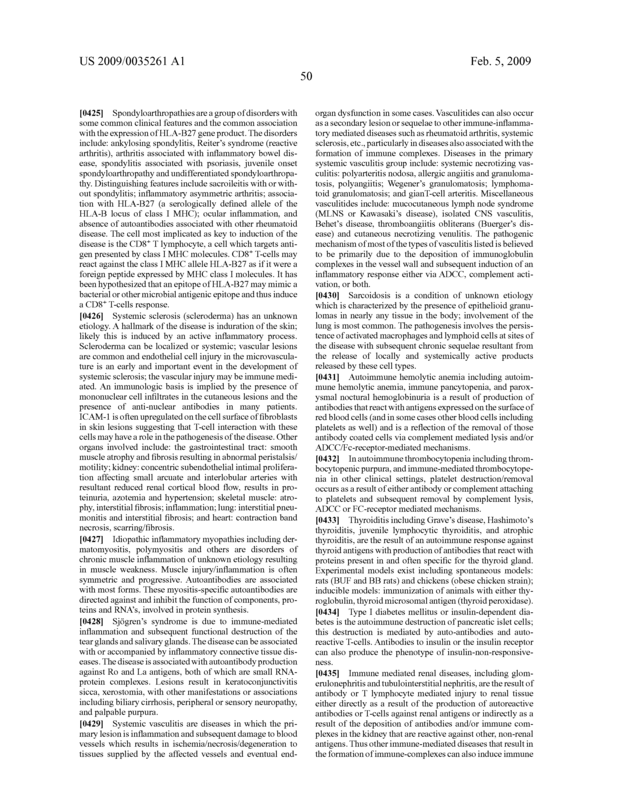 10 (SEQ ID NO:10), FIG. 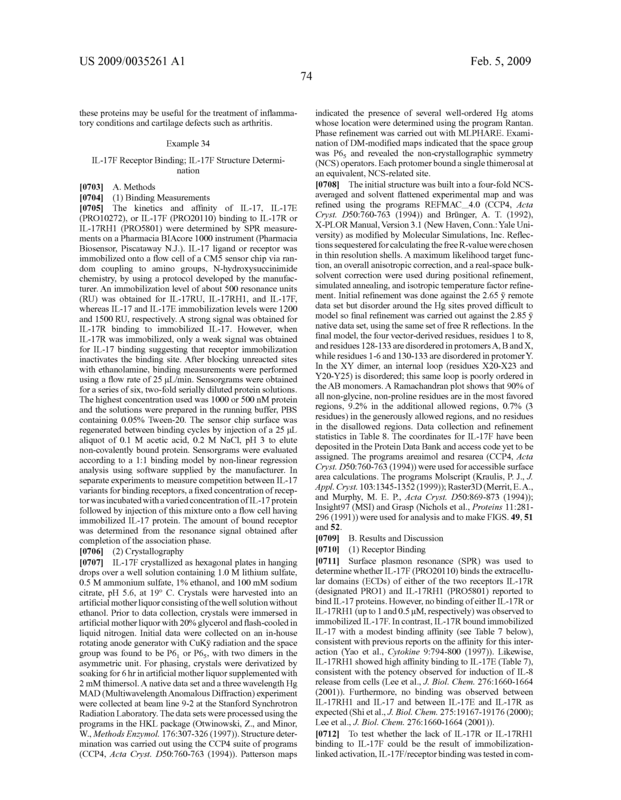 12 (SEQ ID NO:12), FIG. 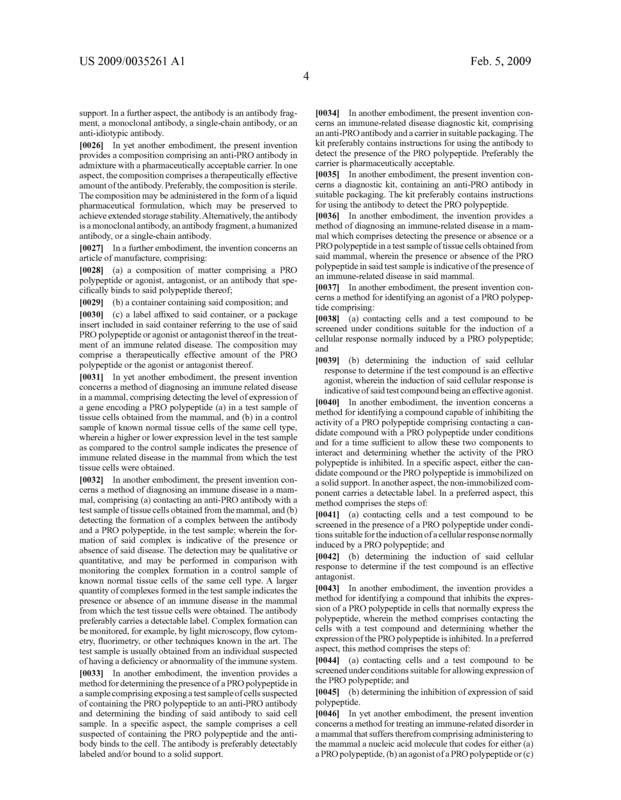 14 (SEQ ID NO:14), FIG. 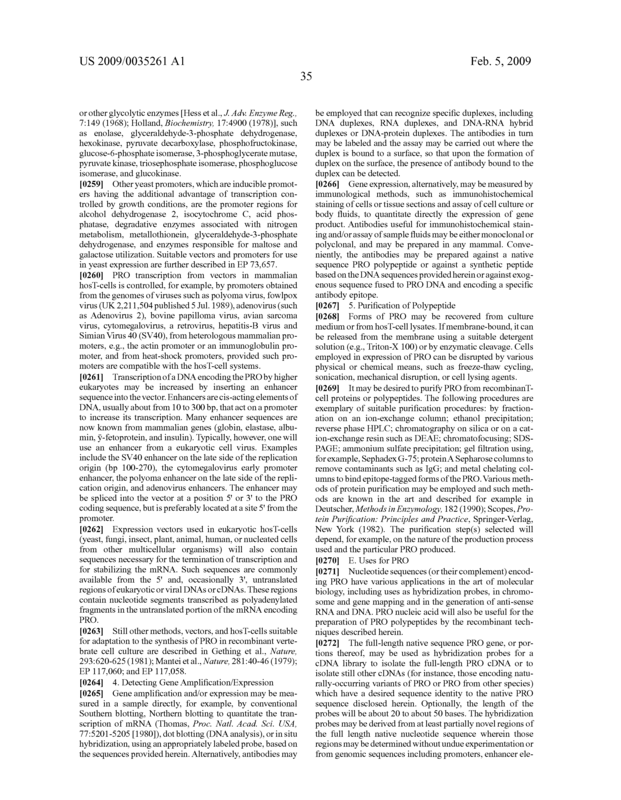 16 (SEQ ID NO:16), or FIG. 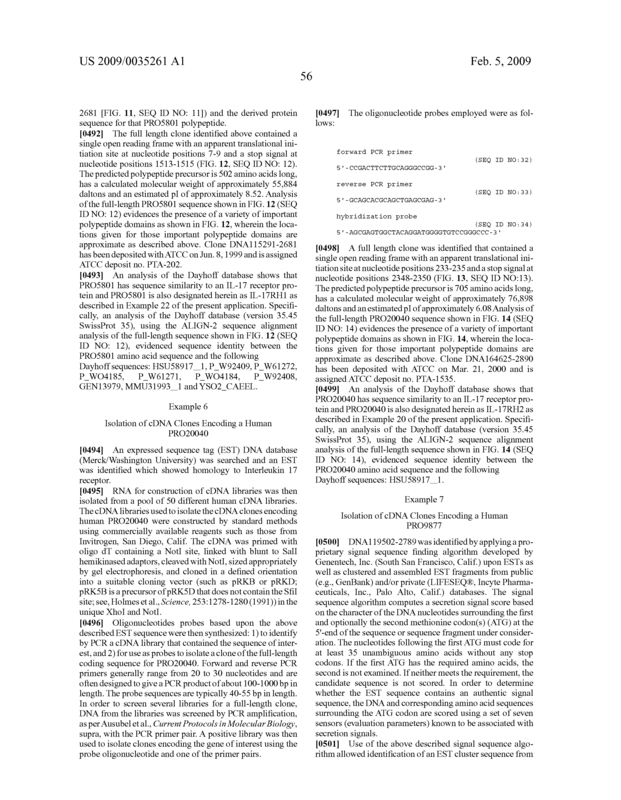 18 (SEQ ID NO:18), lacking its associated signal peptide. 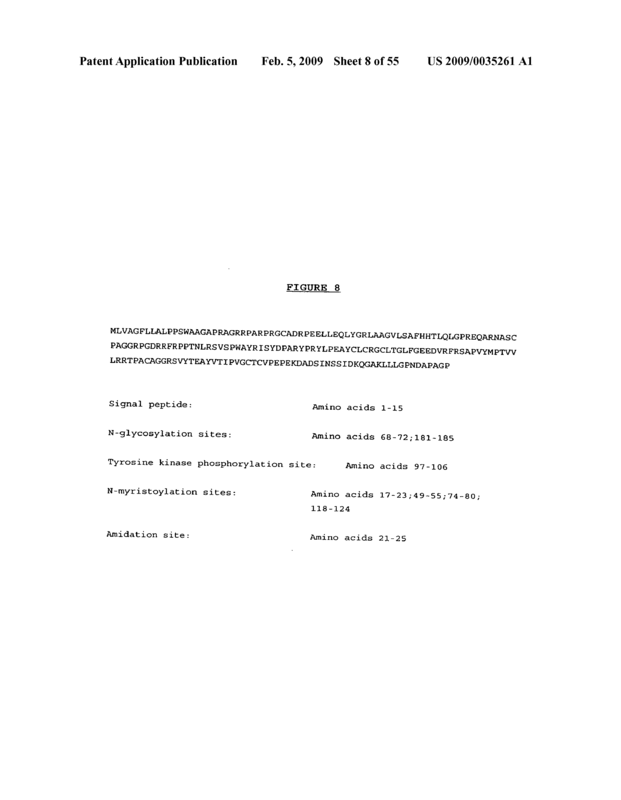 Isolated nucleic acid having at least 80% nucleic acid sequence identity to a nucleotide sequence selected from the group consisting of the nucleotide sequence shown in FIG. 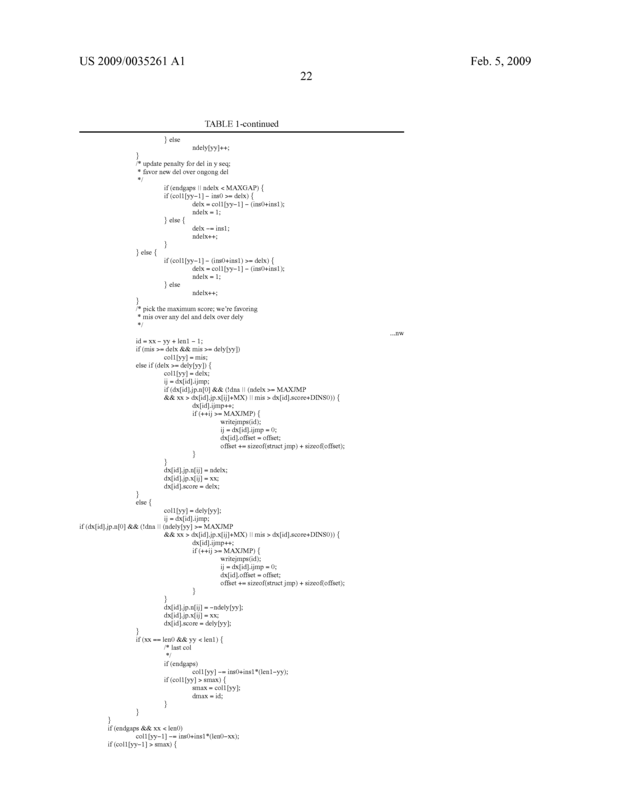 1 (SEQ ID NO:1), FIG. 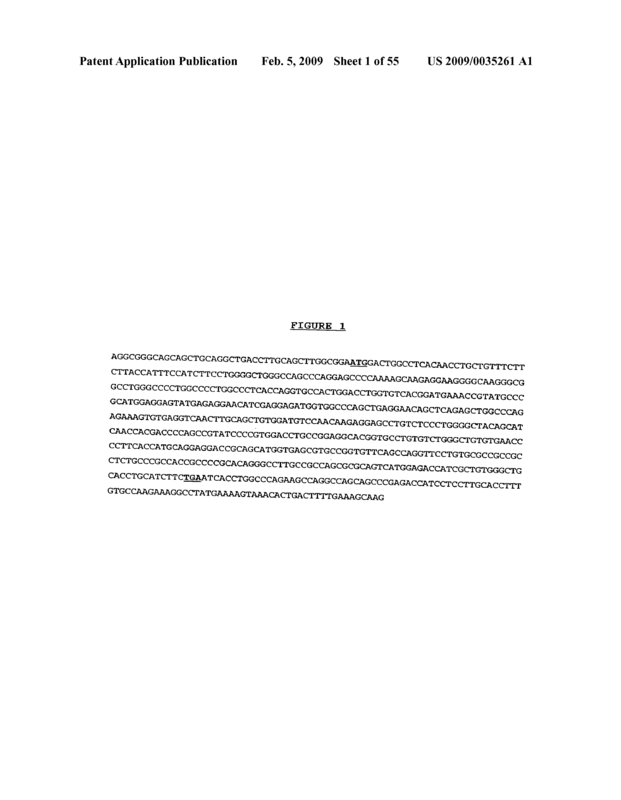 3 (SEQ ID NO:3), FIG. 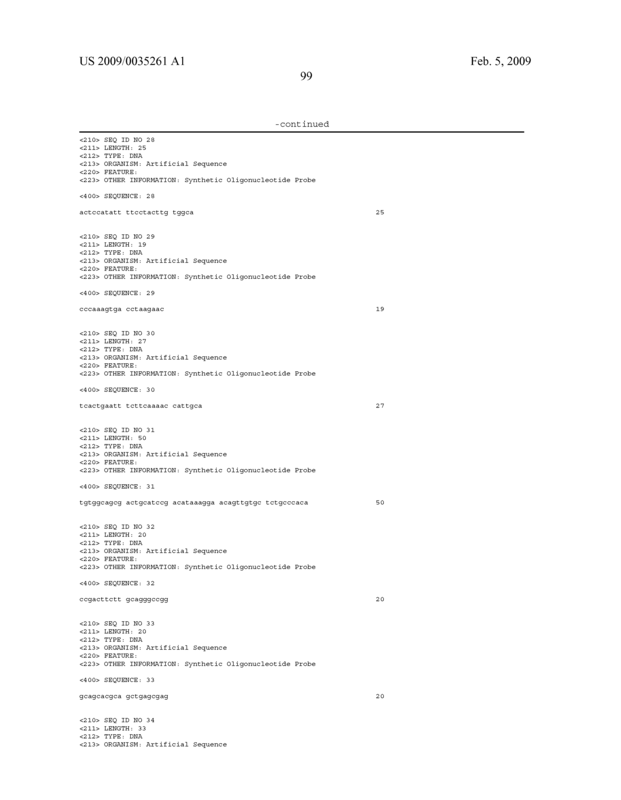 5 (SEQ ID NO:5), FIG. 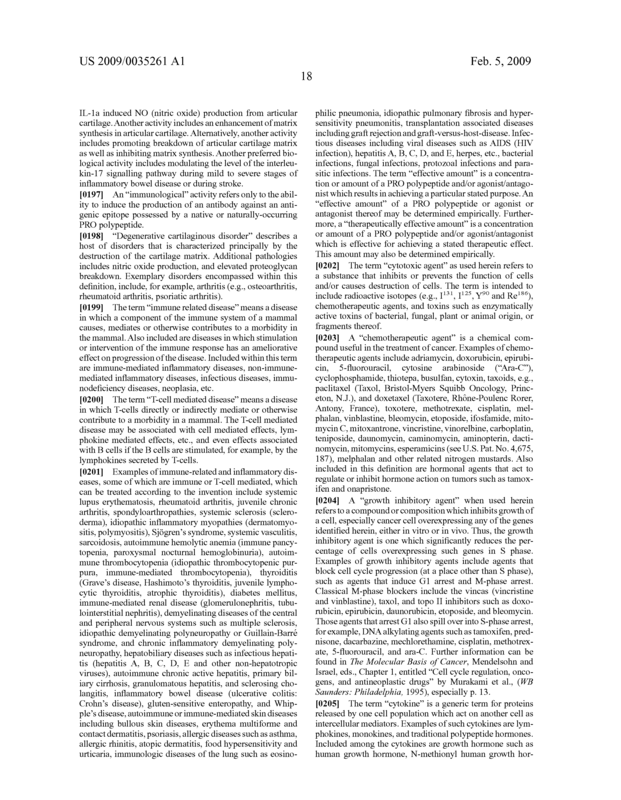 7 (SEQ ID NO:7), FIG. 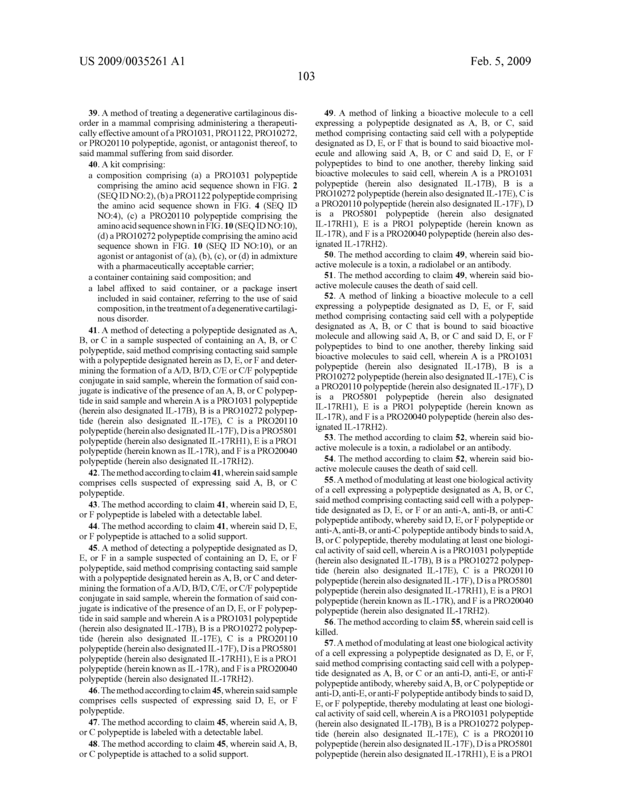 9 (SEQ ID NO:9), FIG. 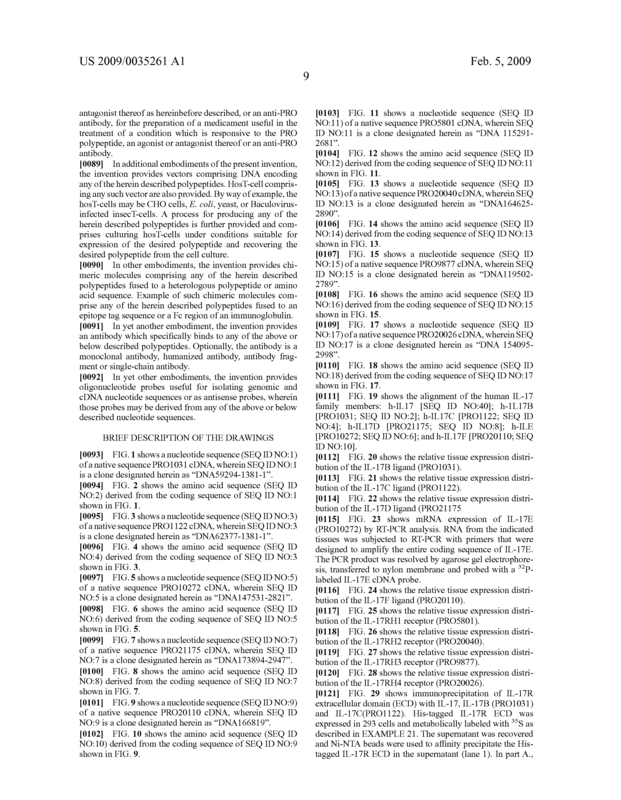 11 (SEQ ID NO:11), FIG. 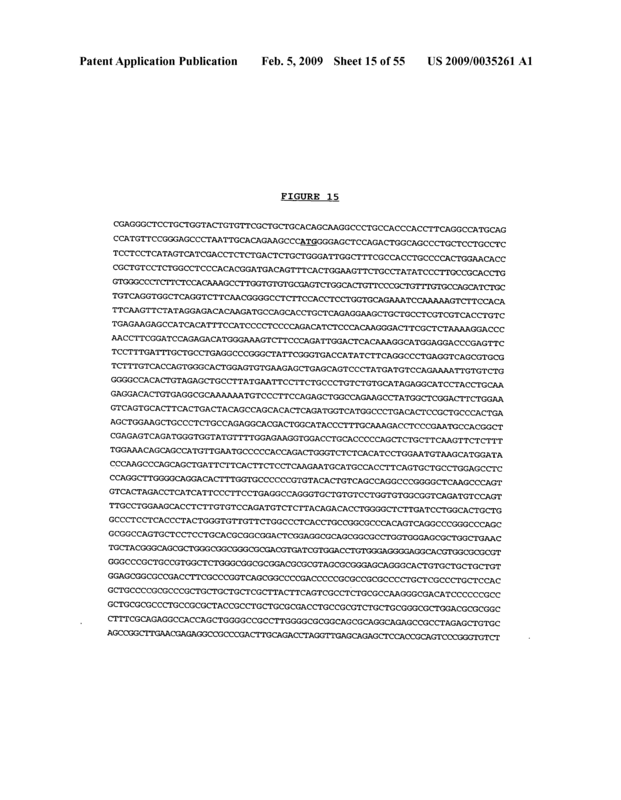 13 (SEQ ID NO:13), FIG. 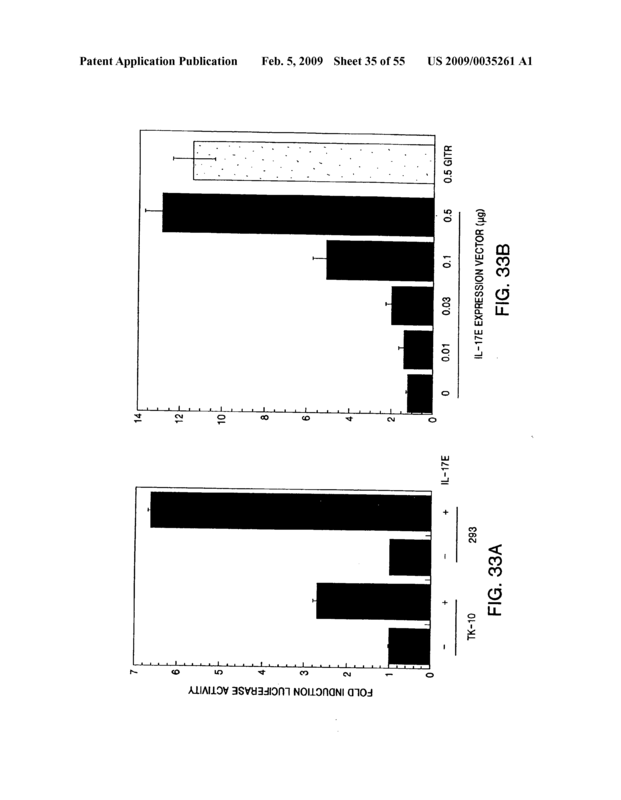 15 (SEQ ID NO:15), and FIG. 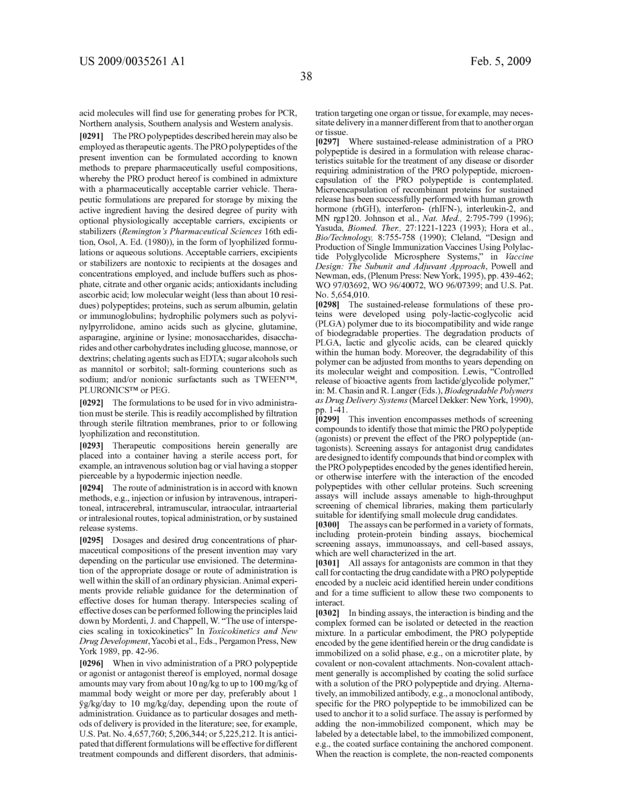 17 (SEQ ID NO: 17). 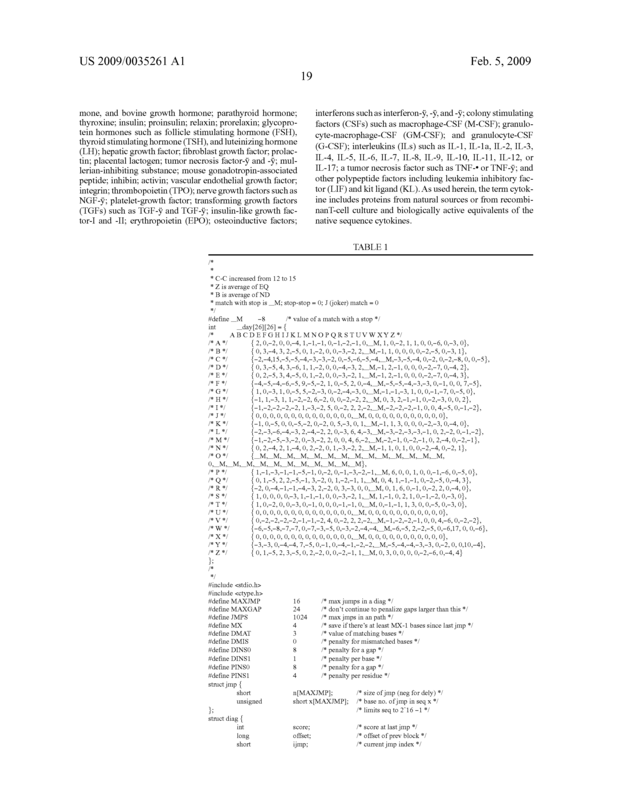 Isolated nucleic acid having at least 80% nucleic acid sequence identity to a nucleotide sequence selected from the group consisting of the full-length coding sequence of the nucleotide sequence shown in FIG. 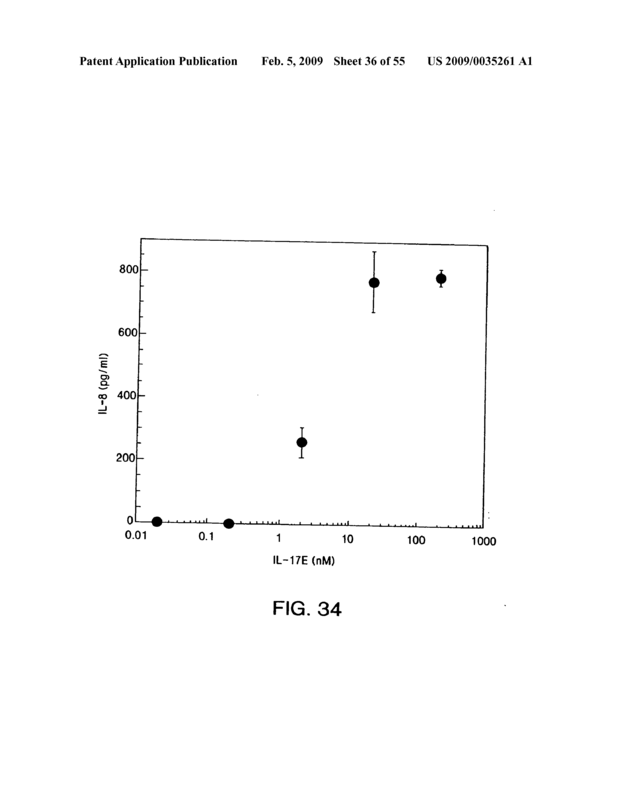 1 (SEQ ID NO: 1), FIG. 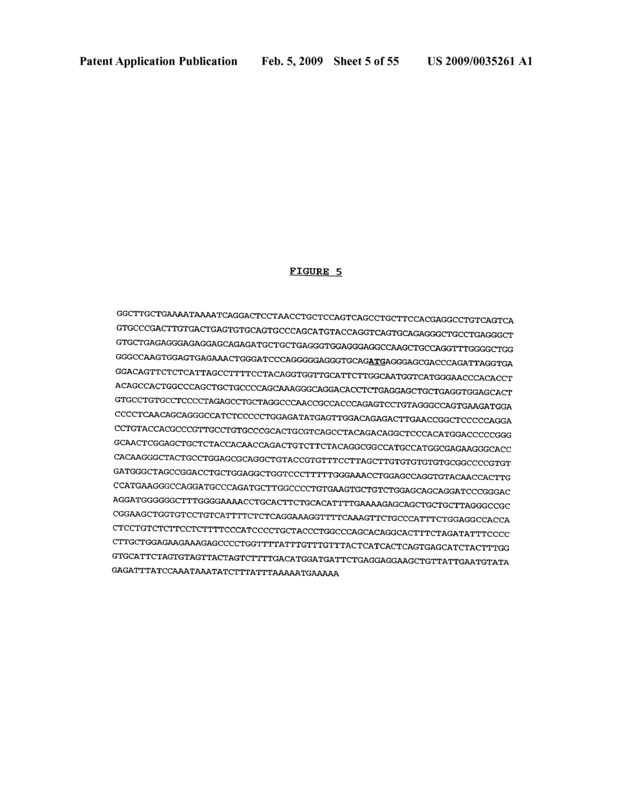 3 (SEQ ID NO:3), FIG. 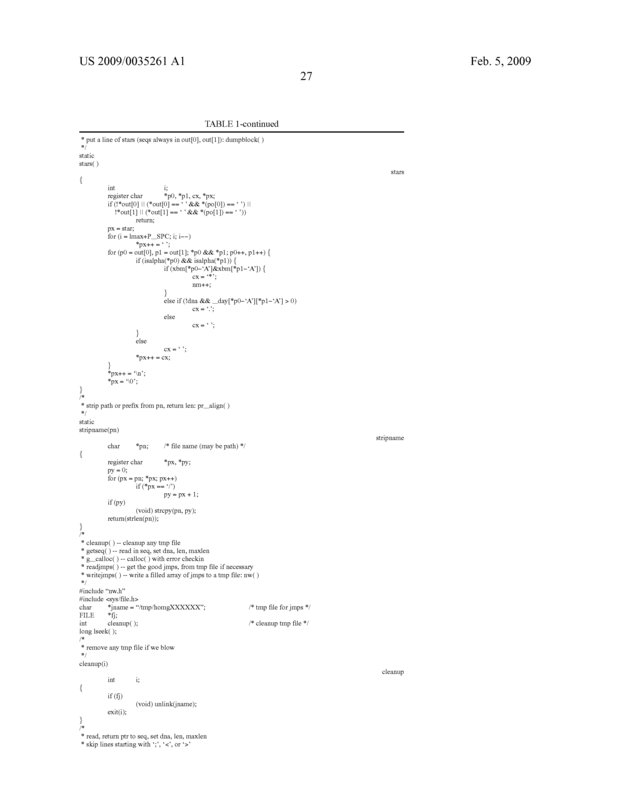 5 (SEQ ID NO:5), FIG. 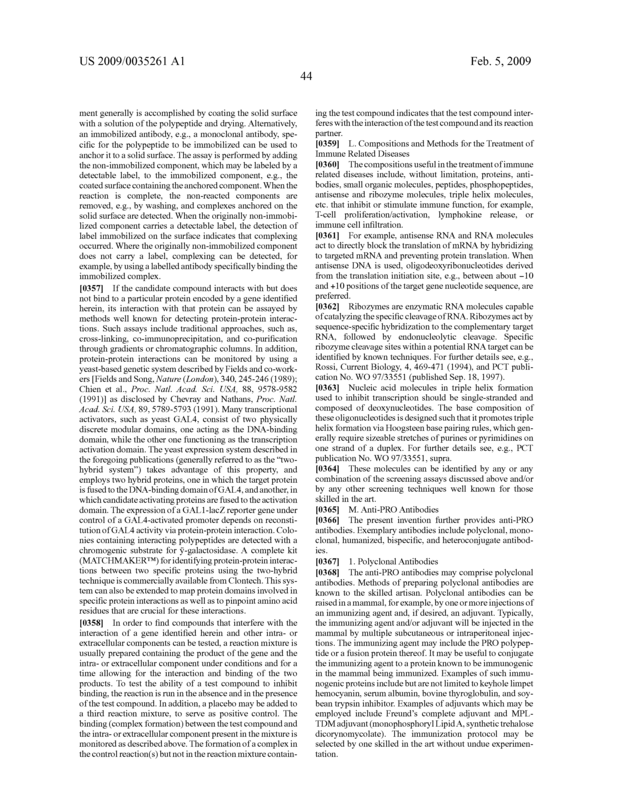 7 (SEQ ID NO:7), FIG. 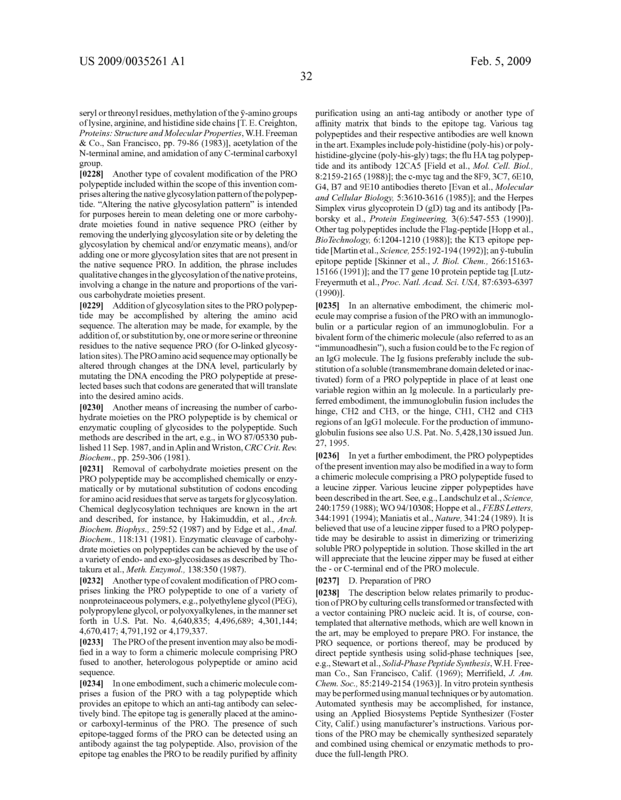 9 (SEQ ID NO:9), FIG. 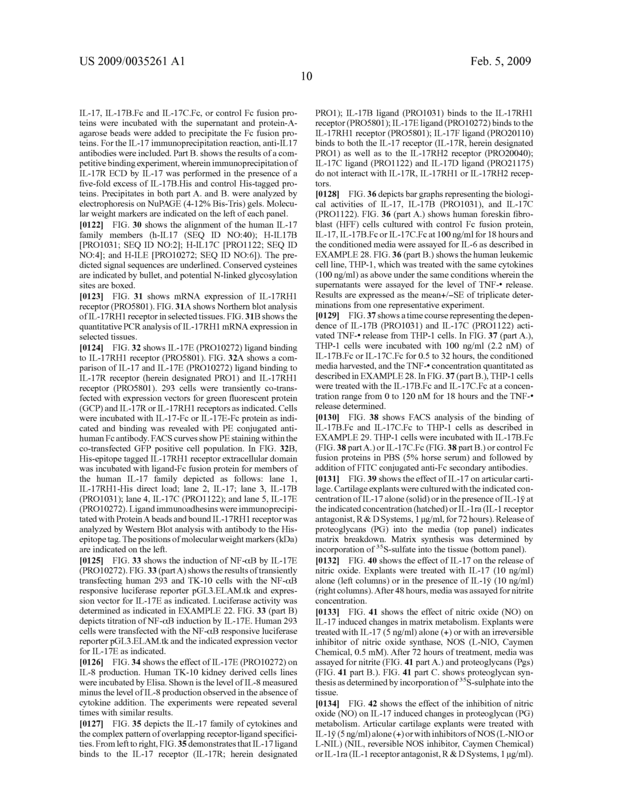 11 (SEQ ID NO:11), FIG. 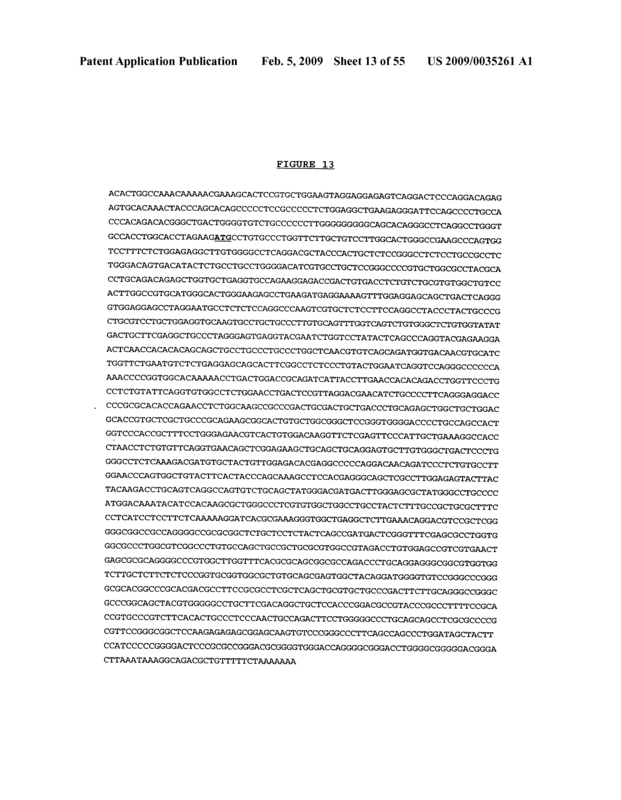 13 (SEQ ID NO:13), FIG. 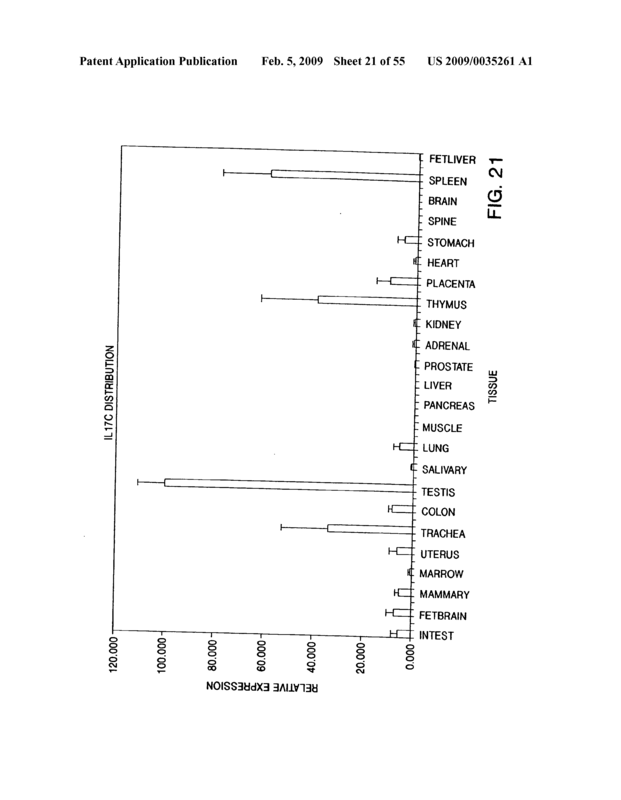 15 (SEQ ID NO:15), and FIG. 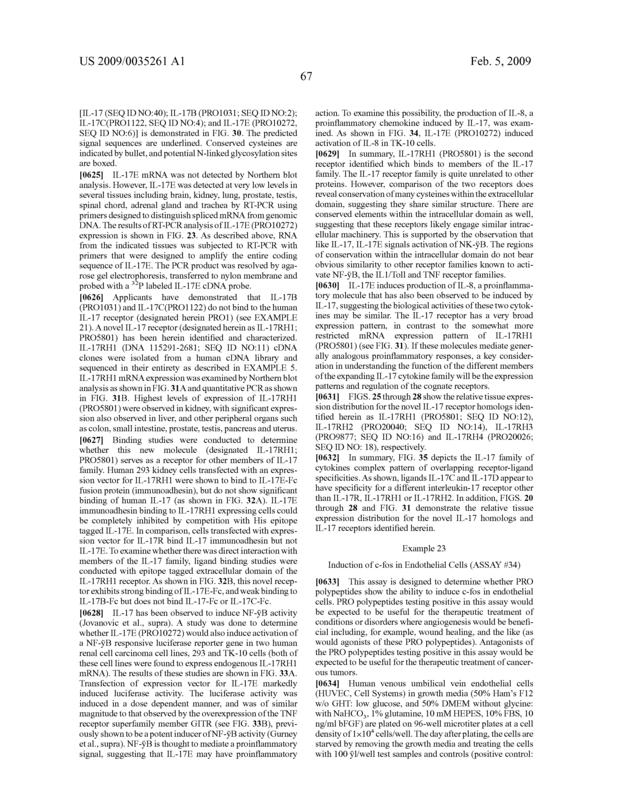 17 (SEQ ID NO: 17). 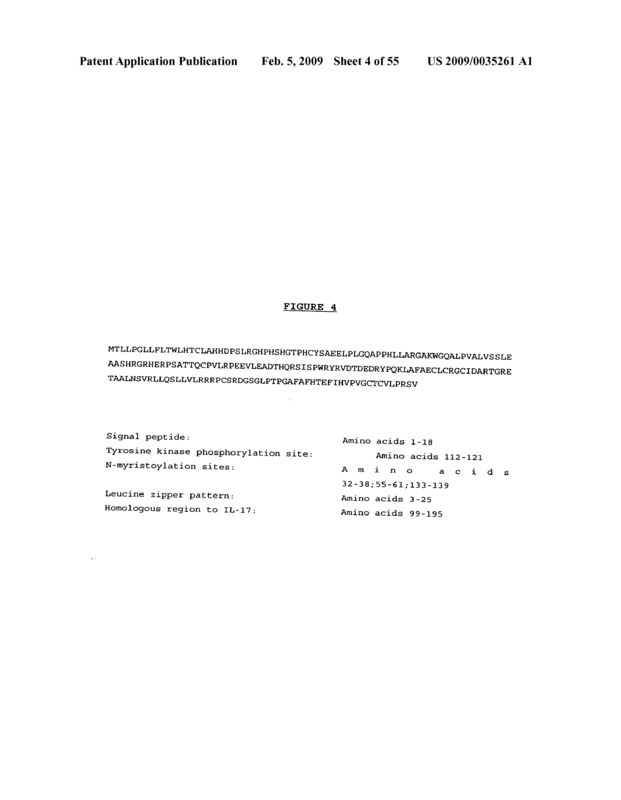 Isolated nucleic acid having at least 80% nucleic acid sequence identity to the full-length coding sequence of the cDNA deposited under ATCC accession number 209866, 203552, PTA-1185, PTA-2108, PTA-202, PTA-1535, PTA-1082 or PTA-2591. 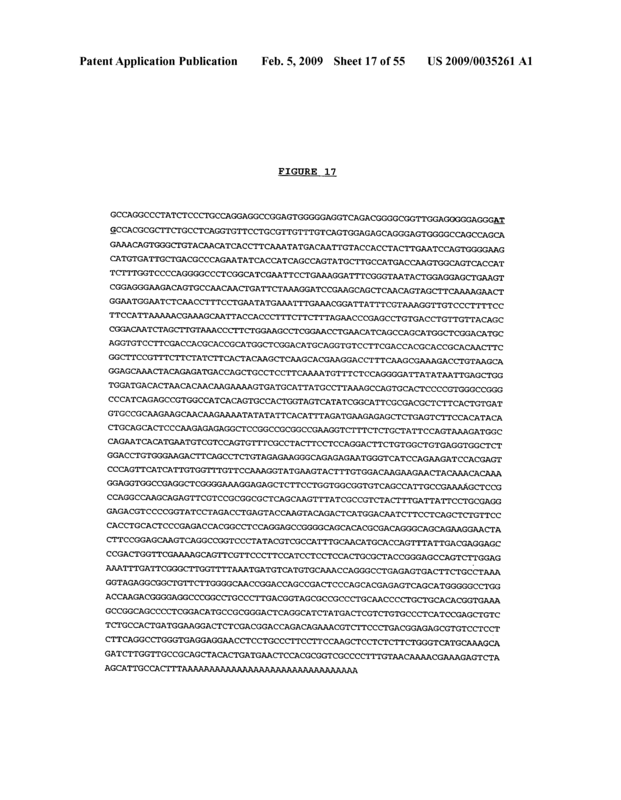 A vector comprising the nucleic acid of claim 1. 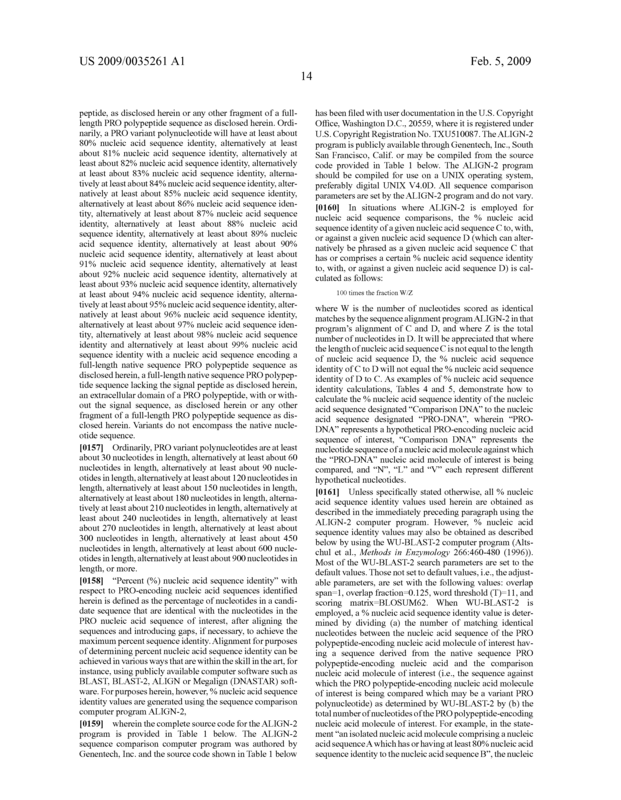 The vector of claim 5 operably linked to control sequences recognized by a hosT-cell transformed with the vector. 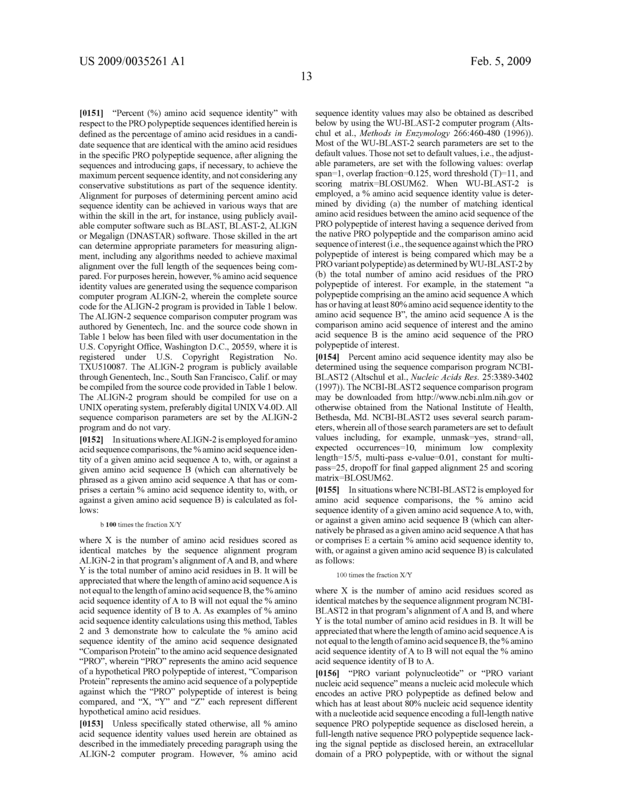 A hosT-cell comprising the vector of claim 5. 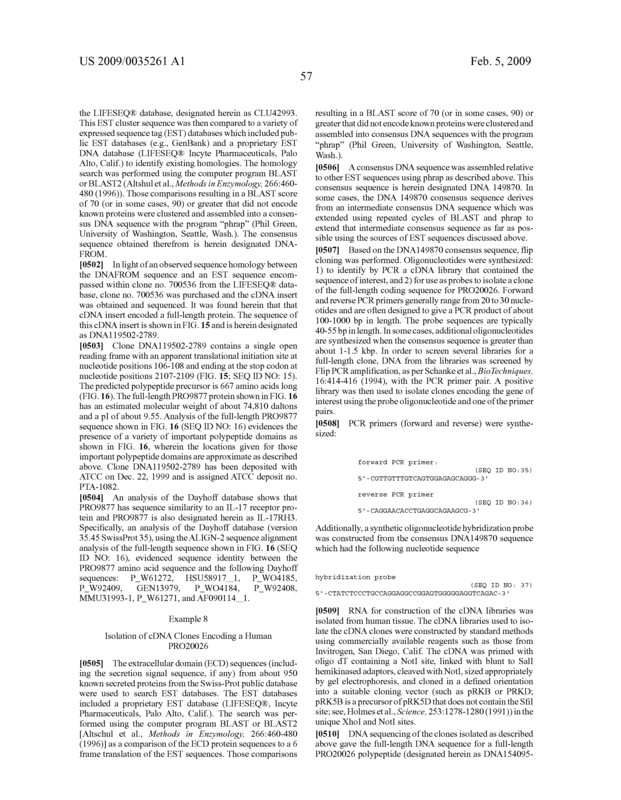 The hosT-cell of claim 7, wherein said cell is a CHO cell, an E. coli cell, a yeasT-cell or a Baculovirus infected insecT-cell. 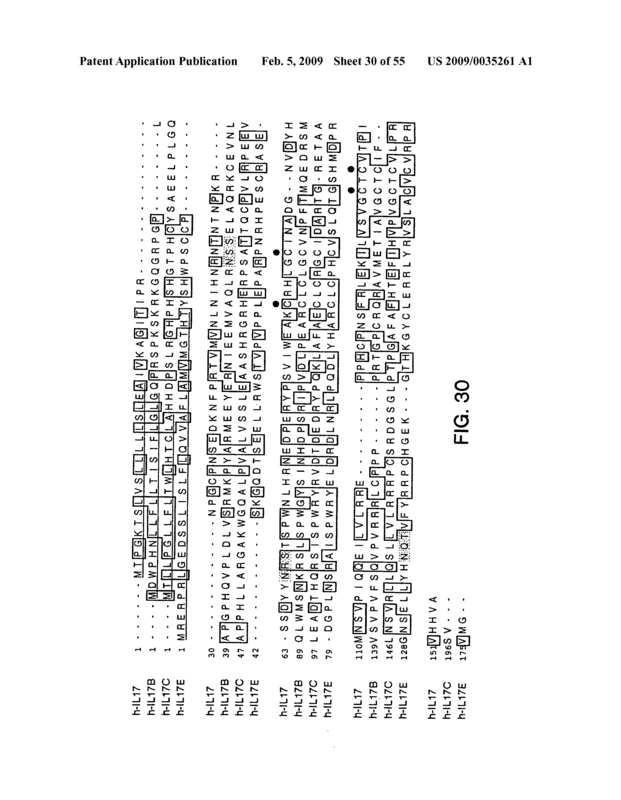 A process for producing a PRO polypeptide comprising culturing the hosT-cell of claim 7 under conditions suitable for expression of said polypeptide and recovering said polypeptide from the cell culture. 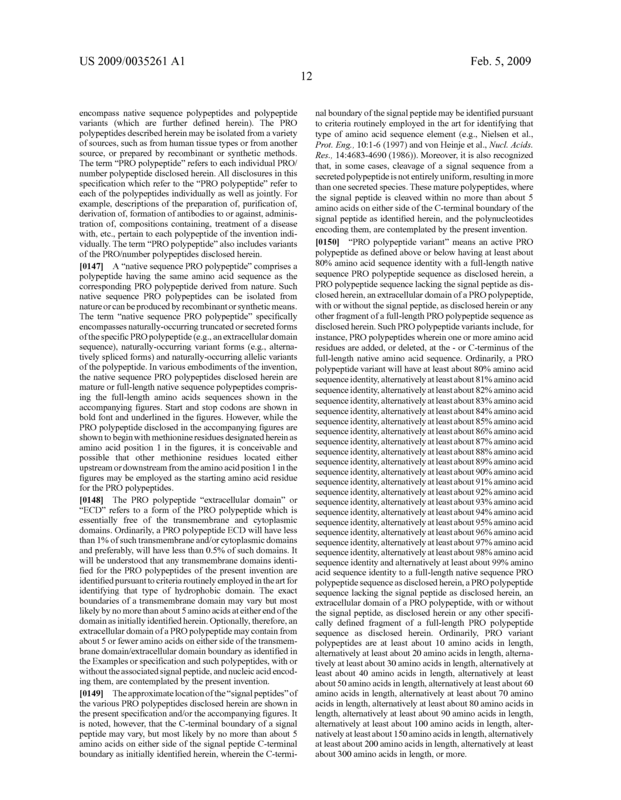 (d) an amino acid sequence of an extracellular domain of the polypeptide shown in FIG. 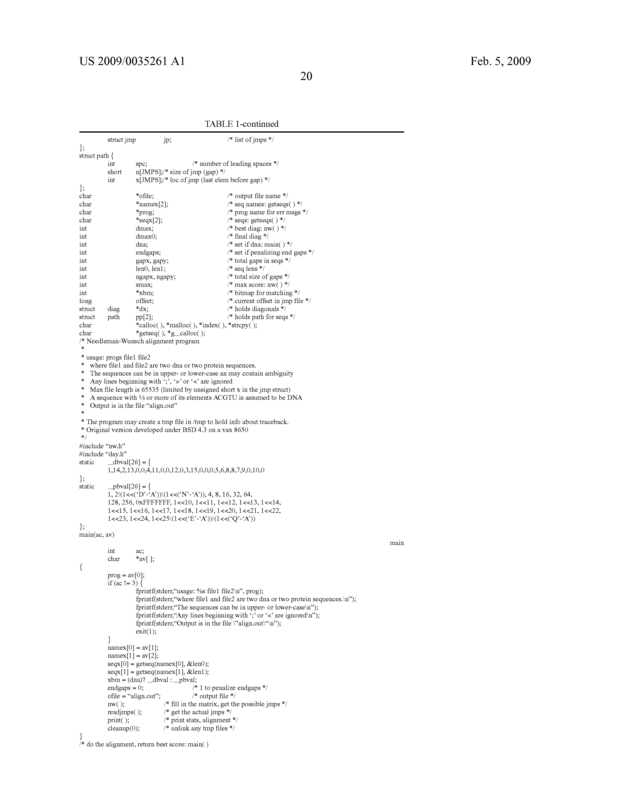 2 (SEQ ID NO:2), FIG. 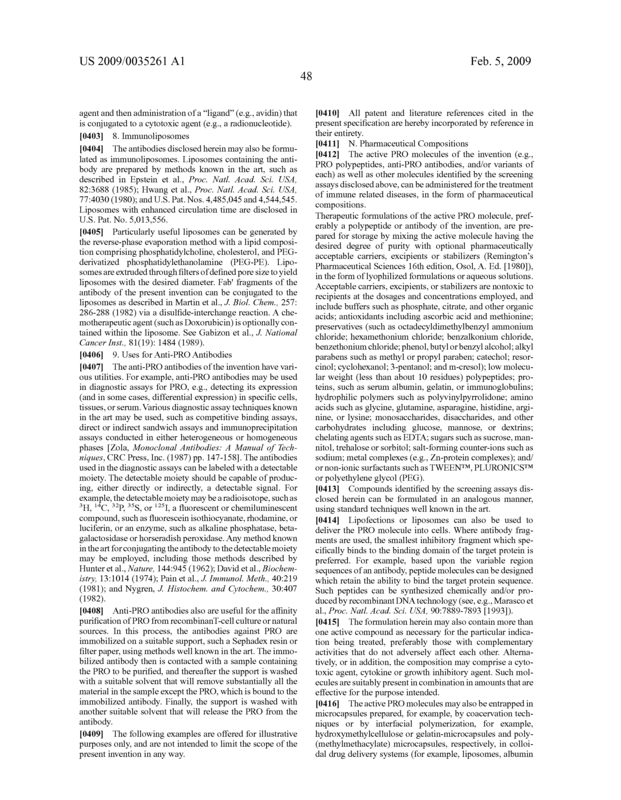 4 (SEQ ID NO:4), FIG. 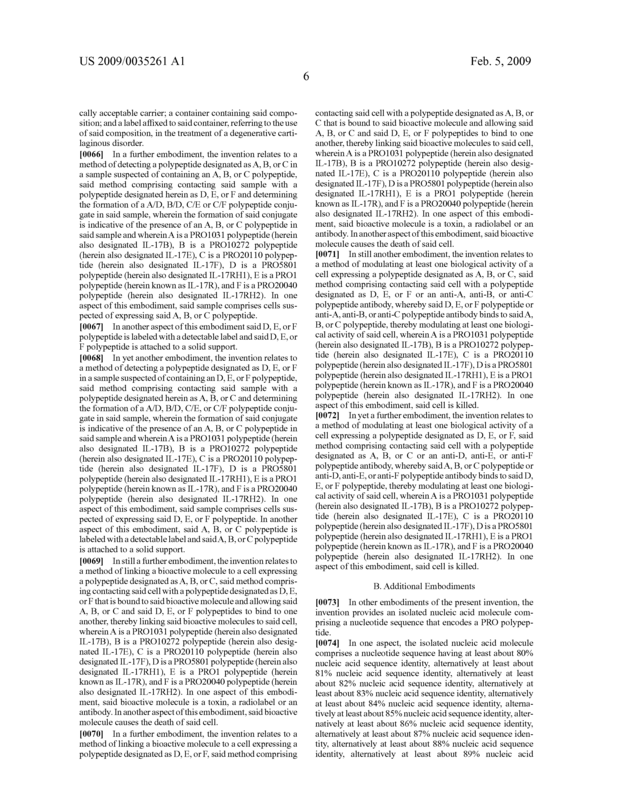 6 (SEQ ID NO:6), FIG. 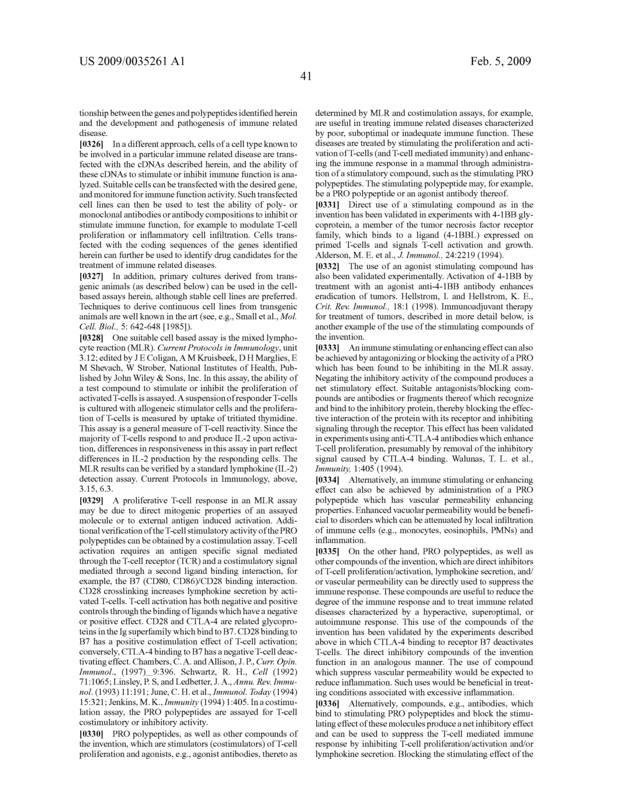 8 (SEQ ID NO:8), FIG. 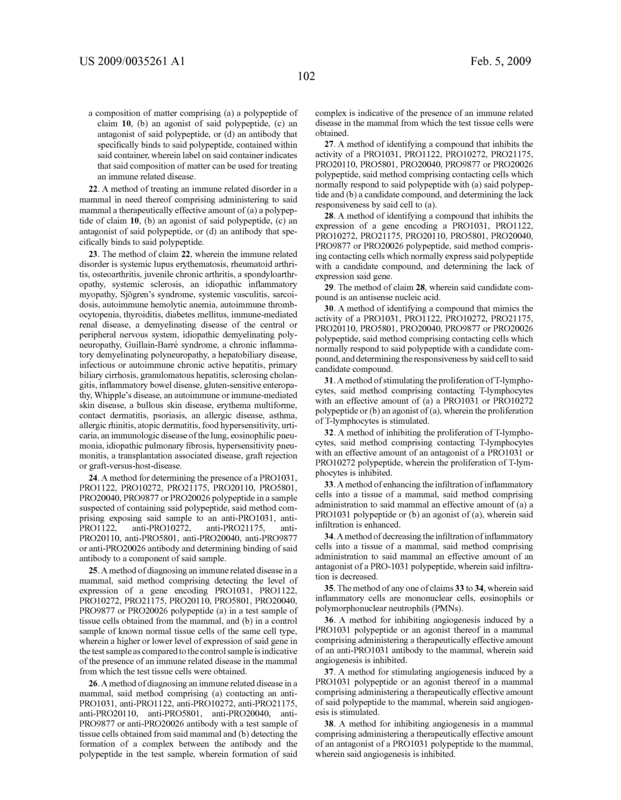 10 (SEQ ID NO:10), FIG. 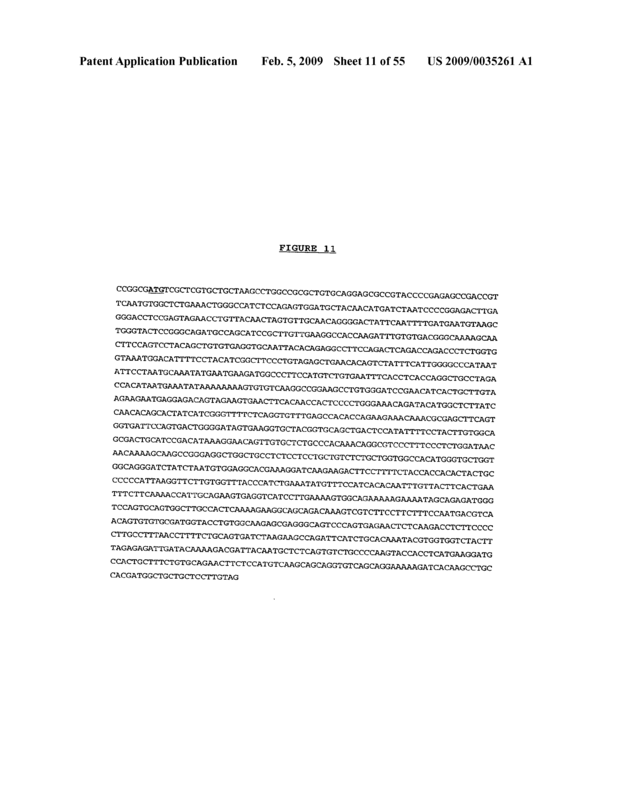 12 (SEQ ID NO:12), FIG. 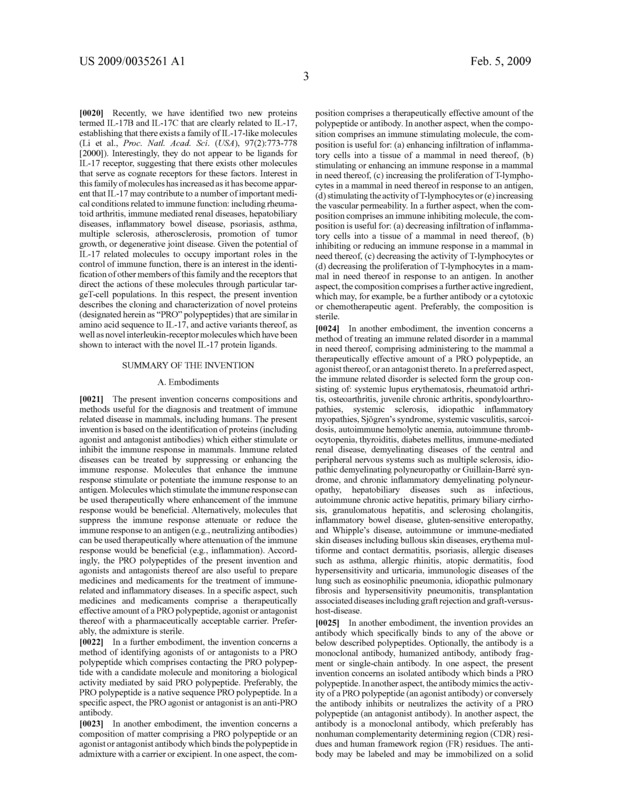 14 (SEQ ID NO:14), FIG. 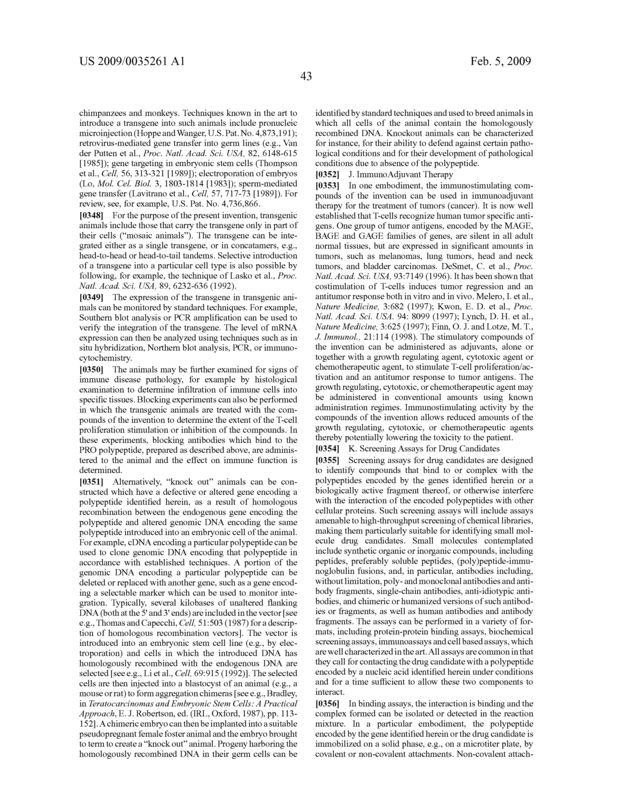 16 (SEQ ID NO:16), or FIG. 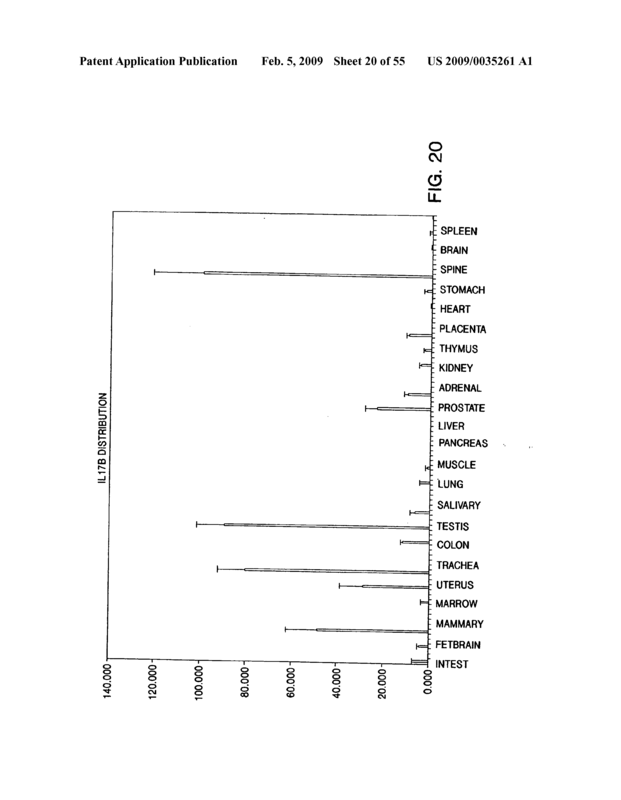 18 (SEQ ID NO:18), lacking its associated signal peptide. 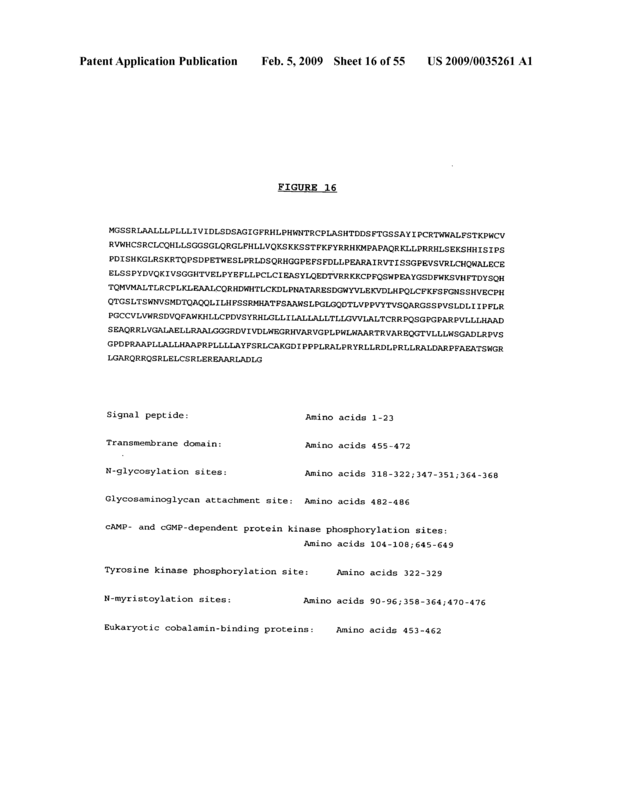 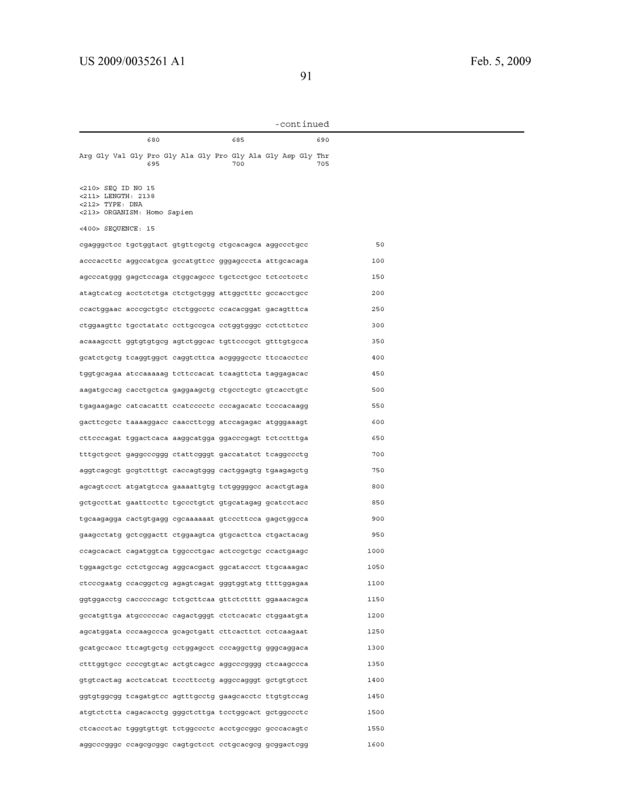 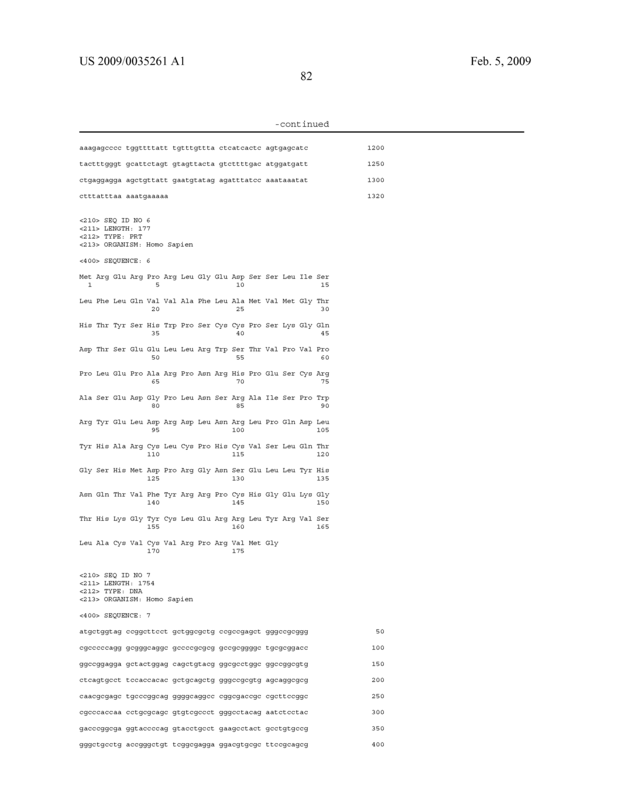 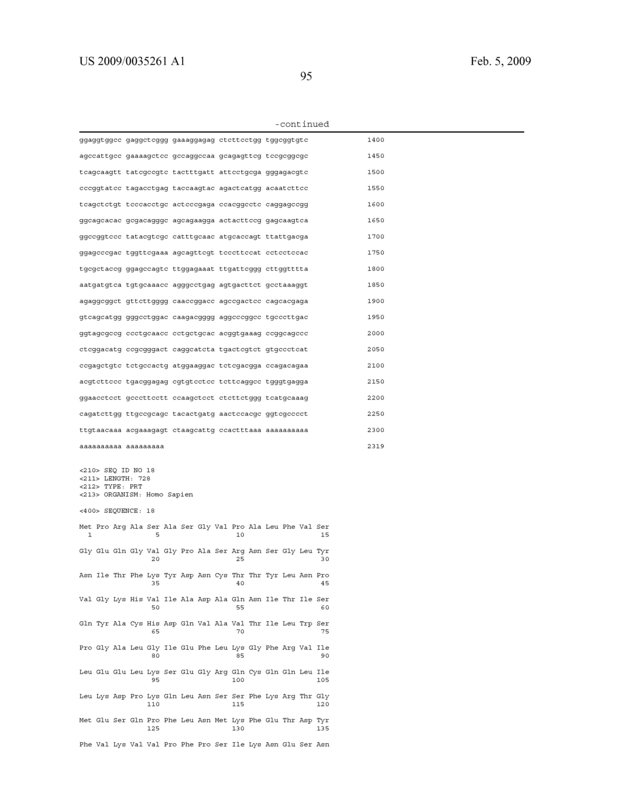 An isolated polypeptide having at least 80% amino acid sequence identity to an amino acid sequence encoded by the full-length coding sequence of the cDNA deposited under ATCC accession number 209866, 203552, PTA-1185, PTA-2108, PTA-202, PTA-1535, PTA-1082 or PTA-2591. 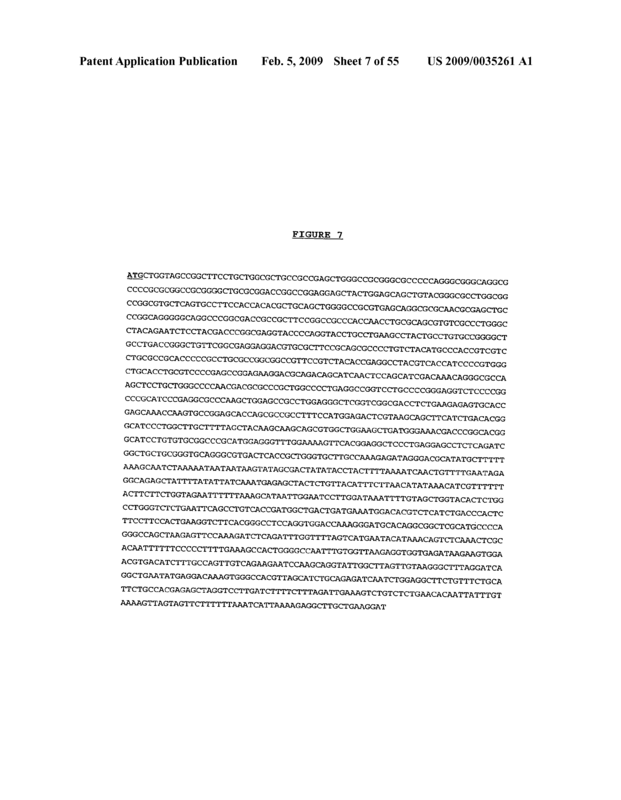 A chimeric molecule comprising a polypeptide according to claim 10 fused to a heterologous amino acid sequence. 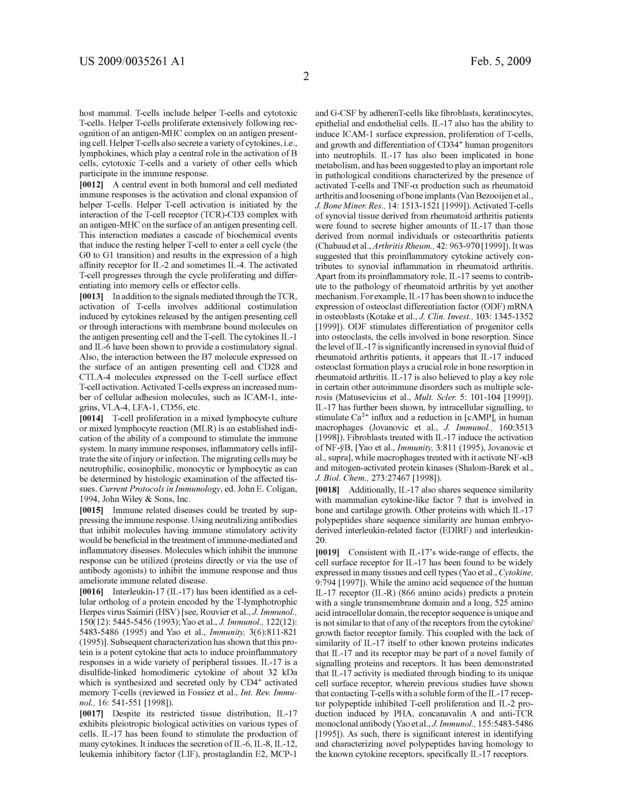 The chimeric molecule of claim 12, wherein said heterologous amino acid sequence is an epitope tag sequence or an Fc region of an immunoglobulin. 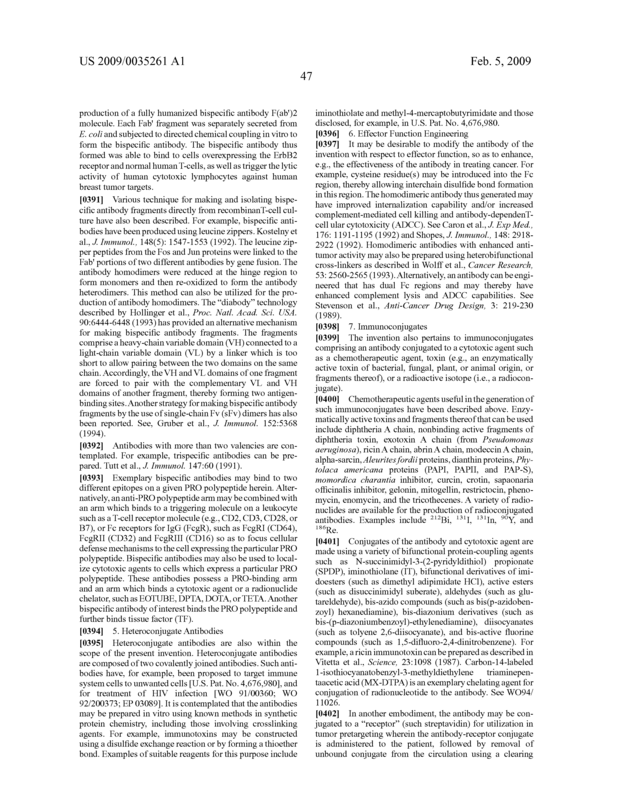 An antibody which specifically binds to a polypeptide according to claim 10. 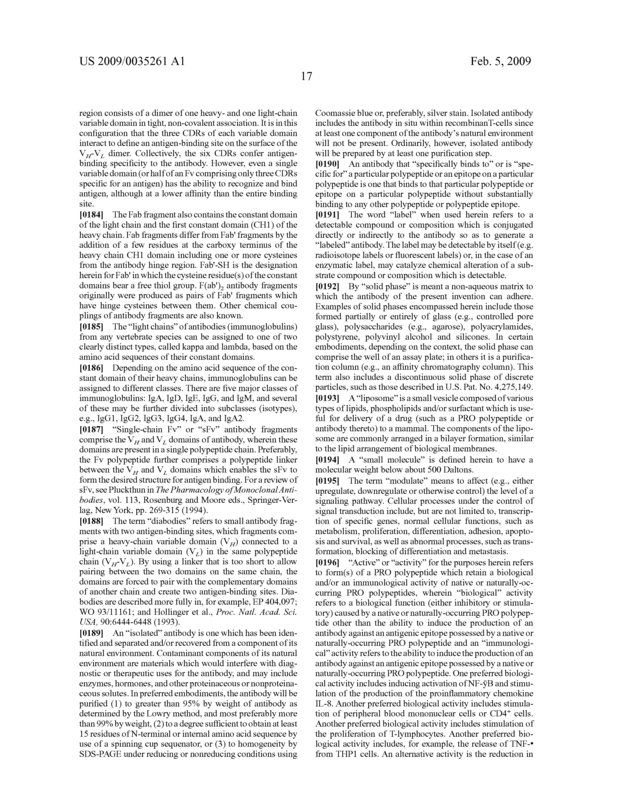 The antibody of claim 14, wherein said antibody is a monoclonal antibody, a humanized antibody or a single-chain antibody. 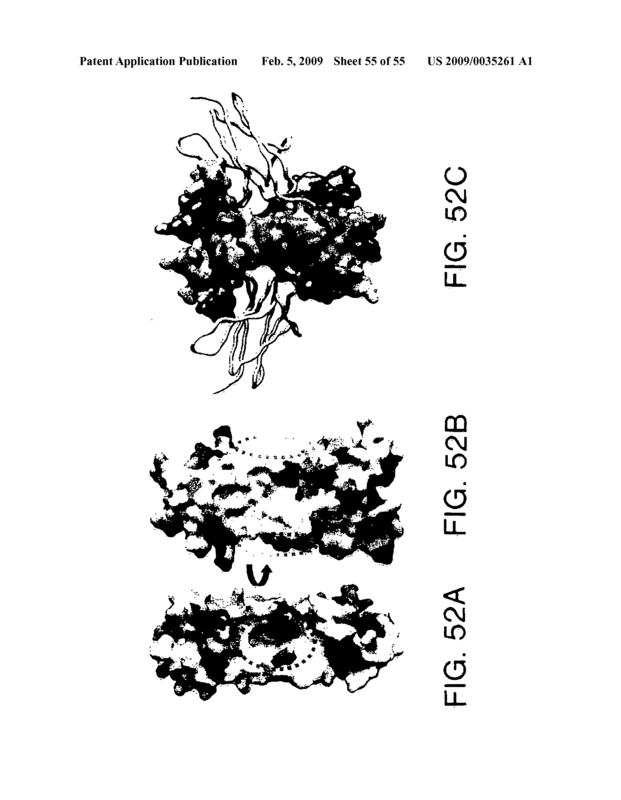 A composition of matter comprising (a) a polypeptide of claim 10, (b) an agonist of said polypeptide, (c) an antagonist of said polypeptide, or (d) an antibody that specifically binds to said polypeptide, in combination with a carrier. 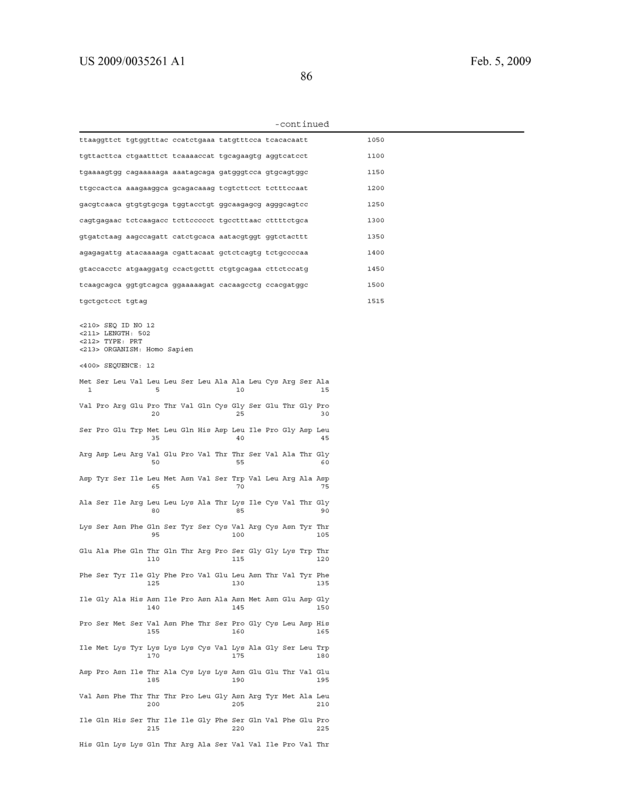 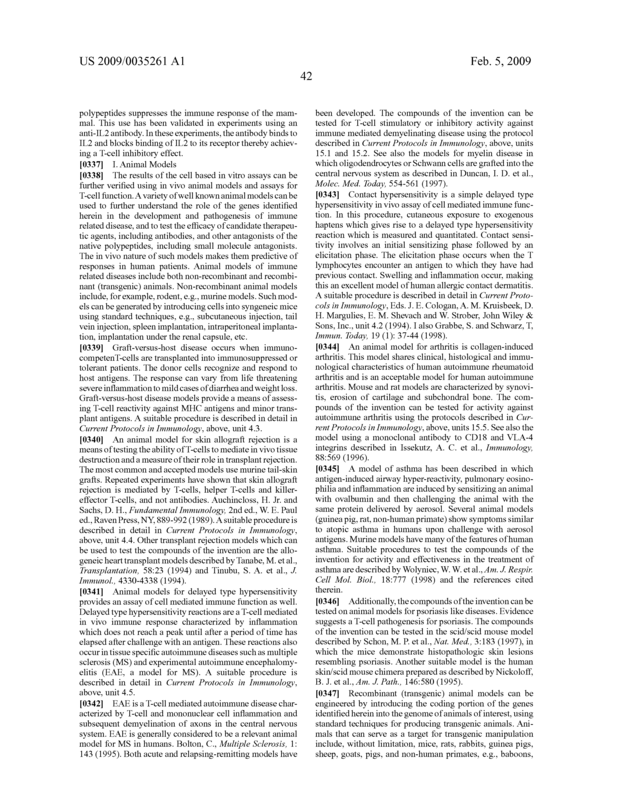 The composition of matter of claim 16, wherein said carrier is a pharmaceutically acceptable carrier. 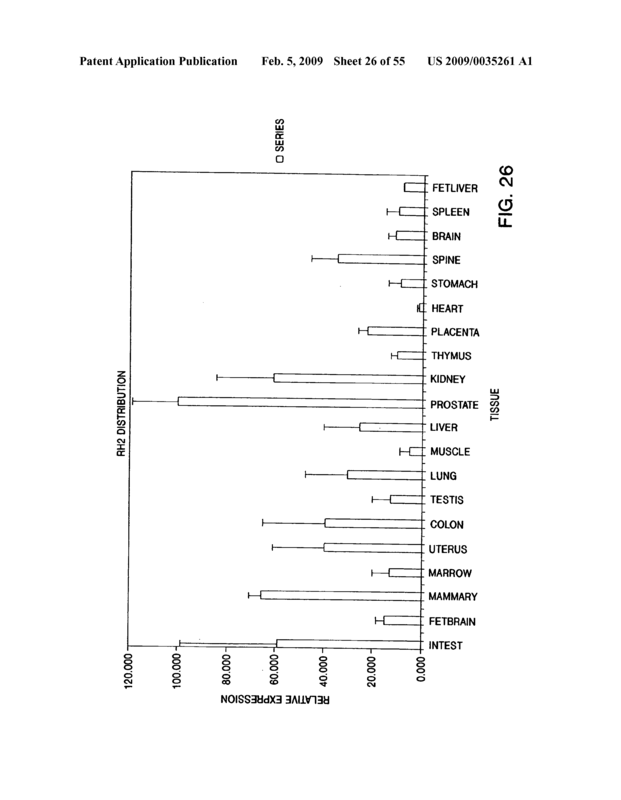 The composition of matter of claim 16 which is useful for the treatment of an immune related disease in a mammal. 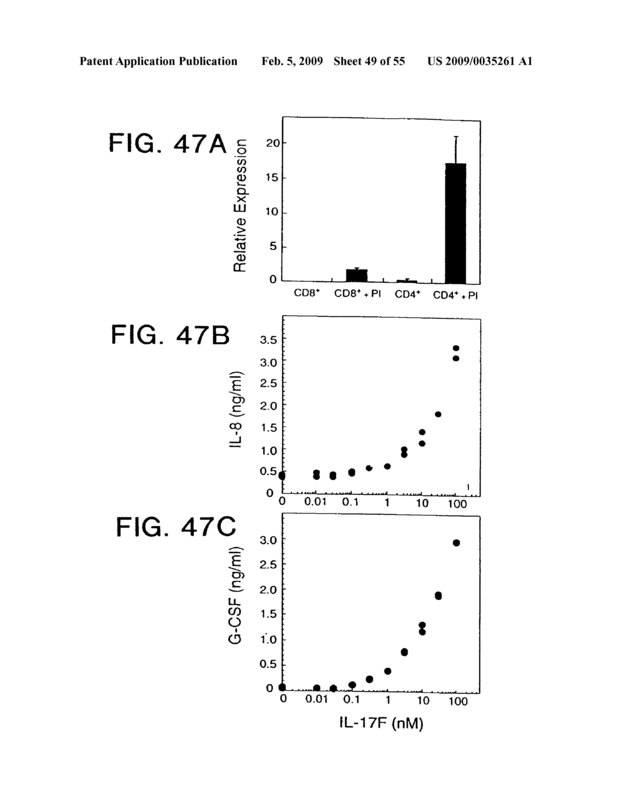 The composition of matter of claim 16, wherein (a), (b), (c) or (d) is capable of (i) increasing the proliferation of T-lymphocytes in a mammal, (ii) inhibiting the proliferation of T-lymphocytes in a mammal, (iii) increasing infiltration of inflammatory cells into a tissue of a mammal, or (iv) decreasing the infiltration of inflammatory cells into a tissue of a mammal. 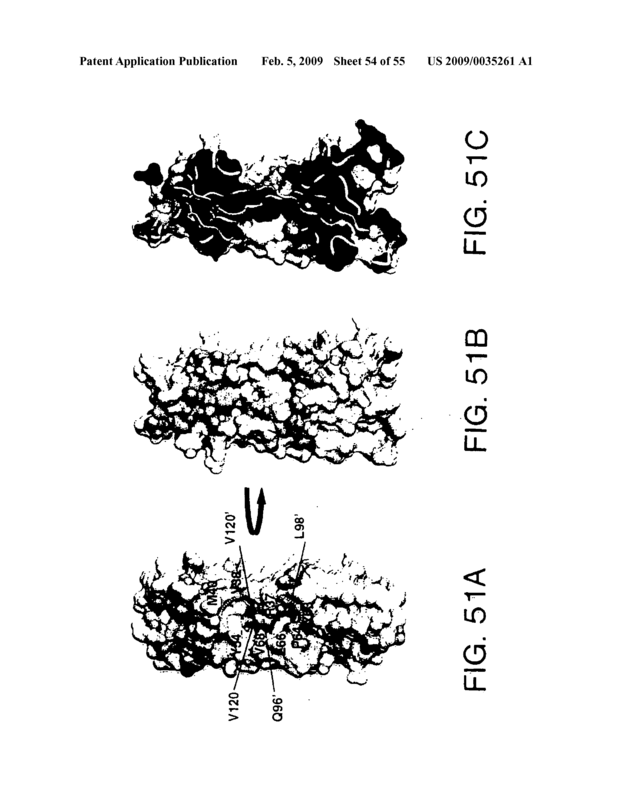 The composition of matter of claim 16 comprising a therapeutically effective amount of (a), (b), (c) or (d). 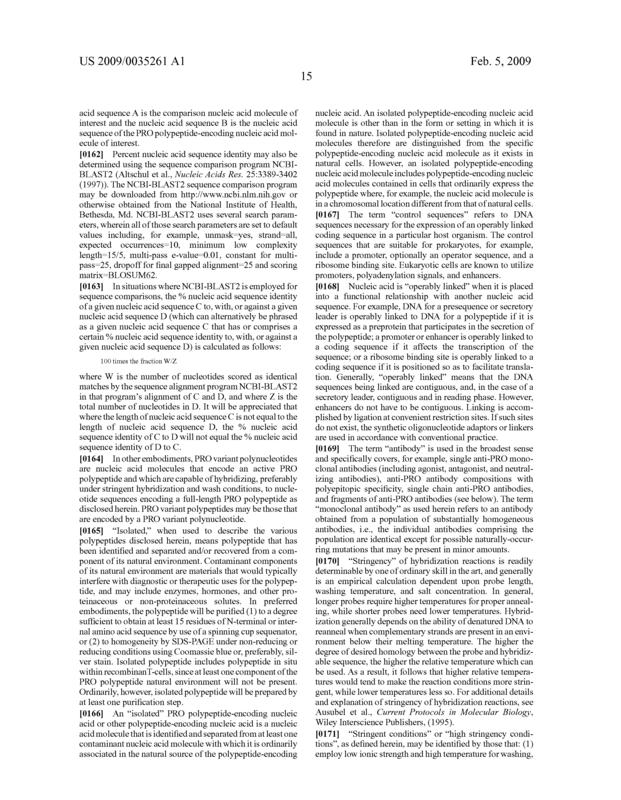 a composition of matter comprising (a) a polypeptide of claim 10, (b) an agonist of said polypeptide, (c) an antagonist of said polypeptide, or (d) an antibody that specifically binds to said polypeptide, contained within said container, wherein label on said container indicates that said composition of matter can be used for treating an immune related disease. 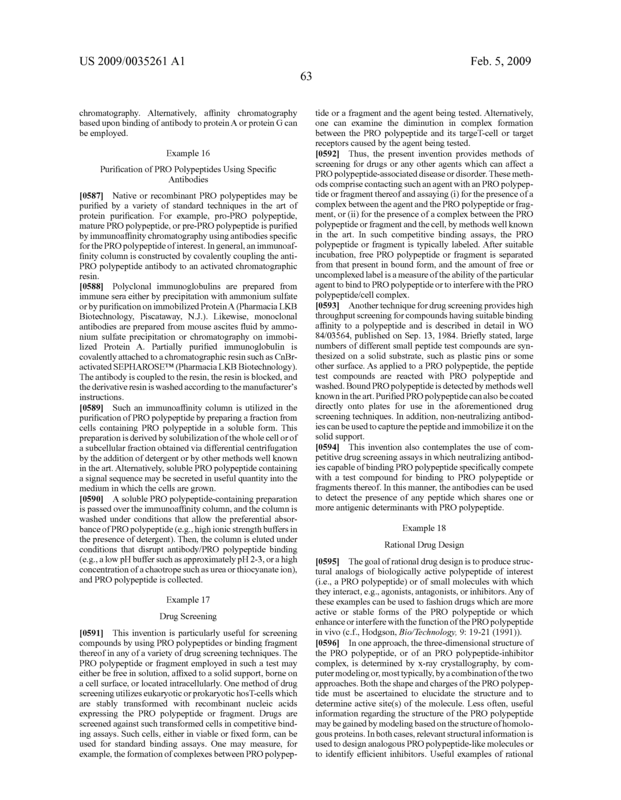 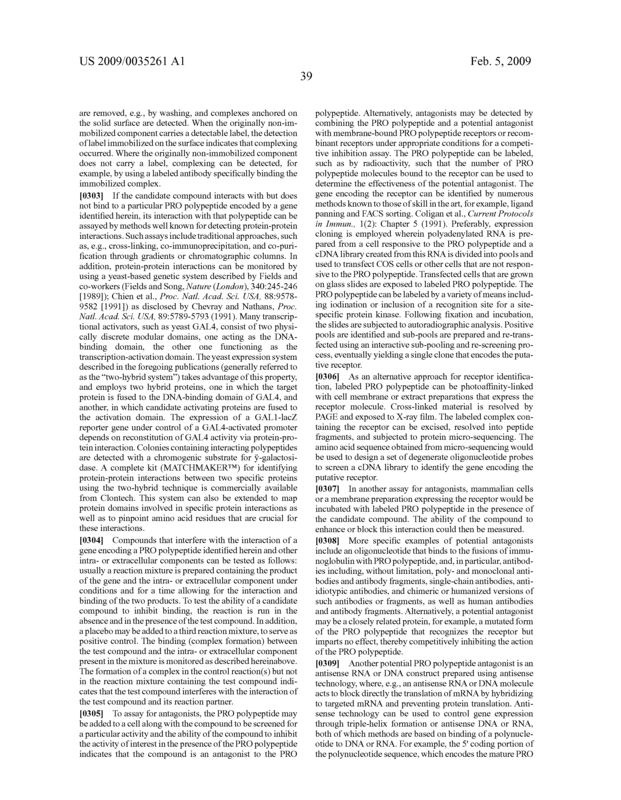 A method of treating an immune related disorder in a mammal in need thereof comprising administering to said mammal a therapeutically effective amount of (a) a polypeptide of claim 10, (b) an agonist of said polypeptide, (c) an antagonist of said polypeptide, or (d) an antibody that specifically binds to said polypeptide. 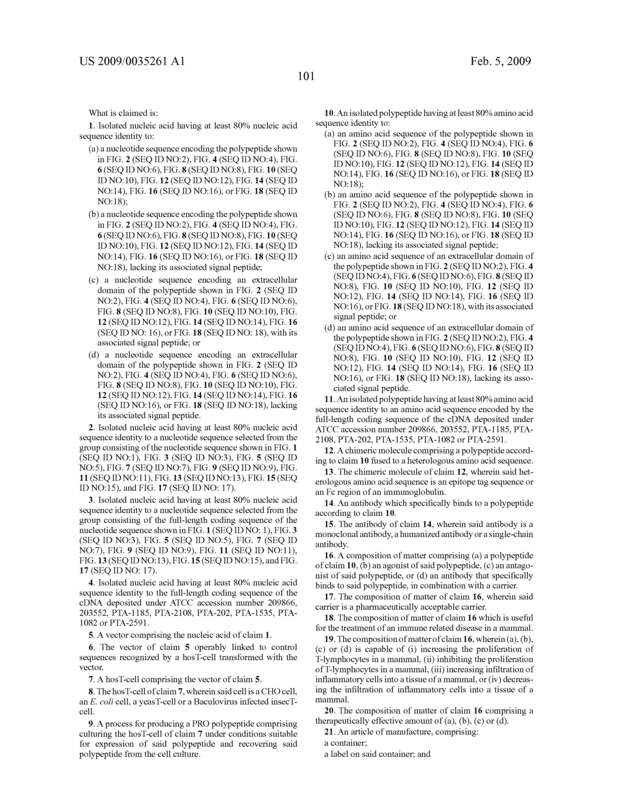 The method of claim 22, wherein the immune related disorder is systemic lupus erythematosis, rheumatoid arthritis, osteoarthritis, juvenile chronic arthritis, a spondyloarthropathy, systemic sclerosis, an idiopathic inflammatory myopathy, Sjögren's syndrome, systemic vasculitis, sarcoidosis, autoimmune hemolytic anemia, autoimmune thrombocytopenia, thyroiditis, diabetes mellitus, immune-mediated renal disease, a demyelinating disease of the central or peripheral nervous system, idiopathic demyelinating polyneuropathy, Guillain-Barré syndrome, a chronic inflammatory demyelinating polyneuropathy, a hepatobiliary disease, infectious or autoimmune chronic active hepatitis, primary biliary cirrhosis, granulomatous hepatitis, sclerosing cholangitis, inflammatory bowel disease, gluten-sensitive enteropathy, Whipple's disease, an autoimmune or immune-mediated skin disease, a bullous skin disease, erythema multiforme, contact dermatitis, psoriasis, an allergic disease, asthma, allergic rhinitis, atopic dermatitis, food hypersensitivity, urticaria, an immunologic disease of the lung, eosinophilic pneumonia, idiopathic pulmonary fibrosis, hypersensitivity pneumonitis, a transplantation associated disease, graft rejection or graft-versus-host-disease. 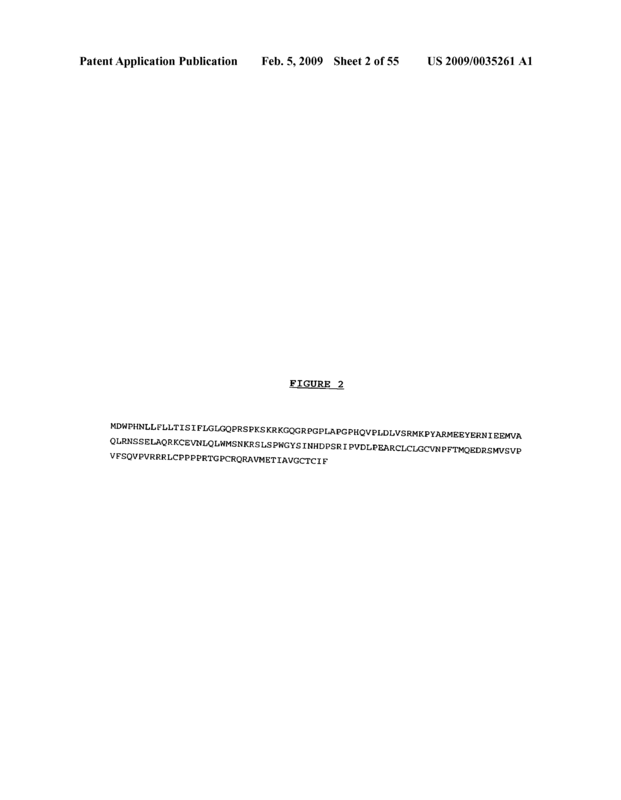 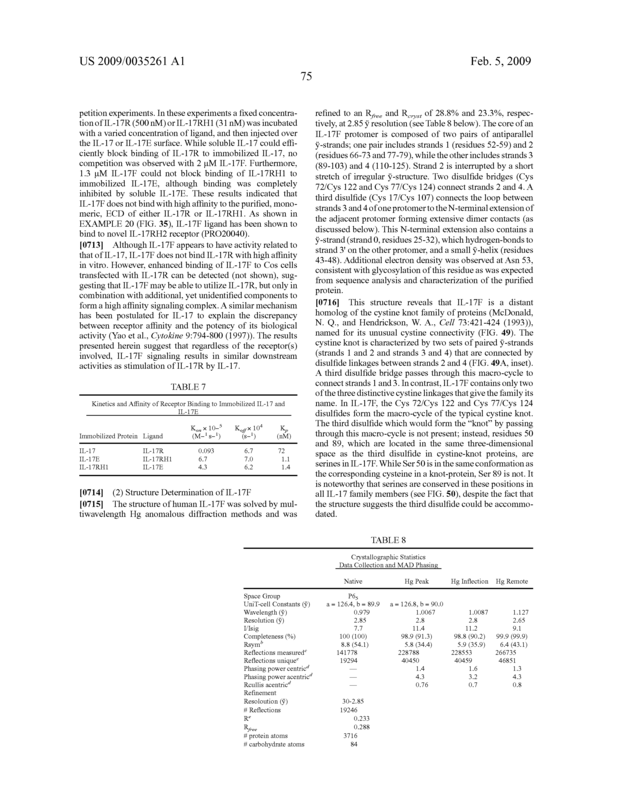 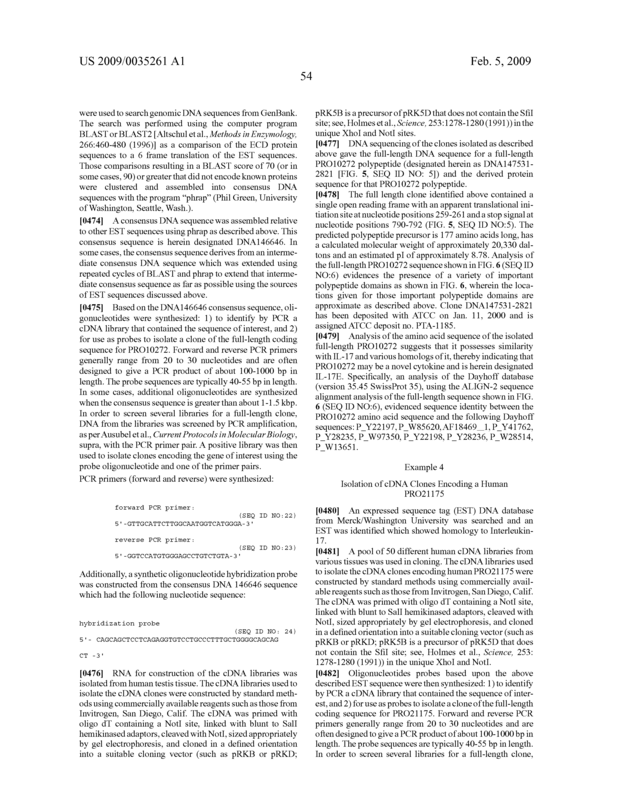 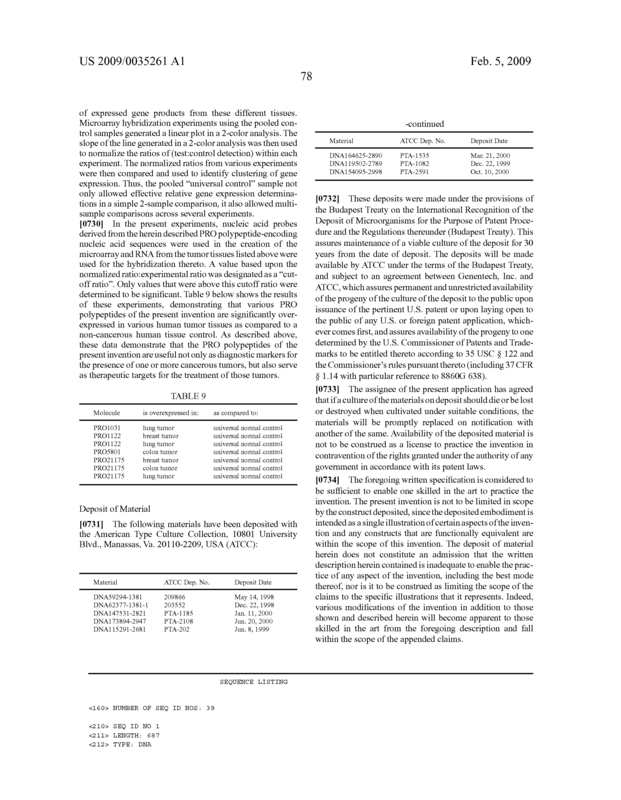 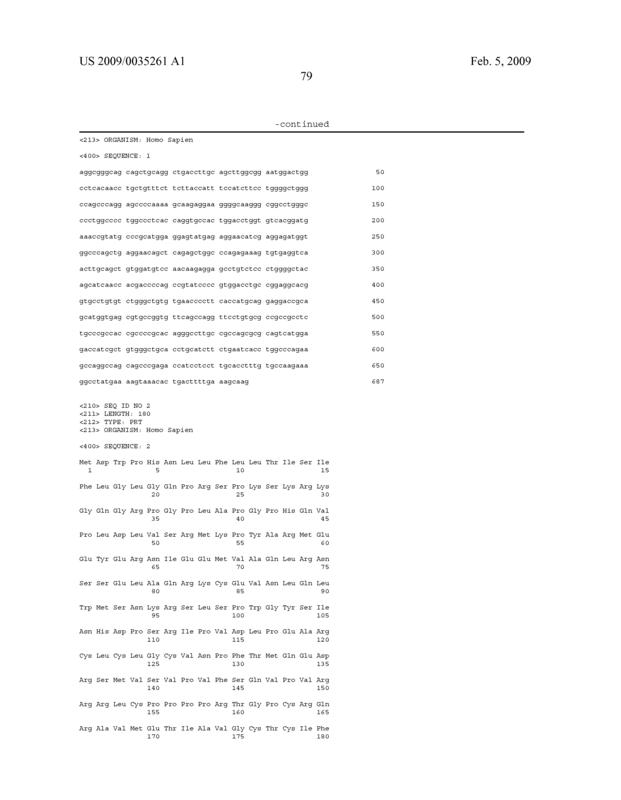 A method for determining the presence of a PRO1031, PRO1122, PRO10272, PRO21175, PRO20110, PRO5801, PRO20040, PRO9877 or PRO20026 polypeptide in a sample suspected of containing said polypeptide, said method comprising exposing said sample to an anti-PRO1031, anti-PRO1122, anti-PRO10272, anti-PRO21175, anti-PRO20110, anti-PRO5801, anti-PRO20040, anti-PRO9877 or anti-PRO20026 antibody and determining binding of said antibody to a component of said sample. 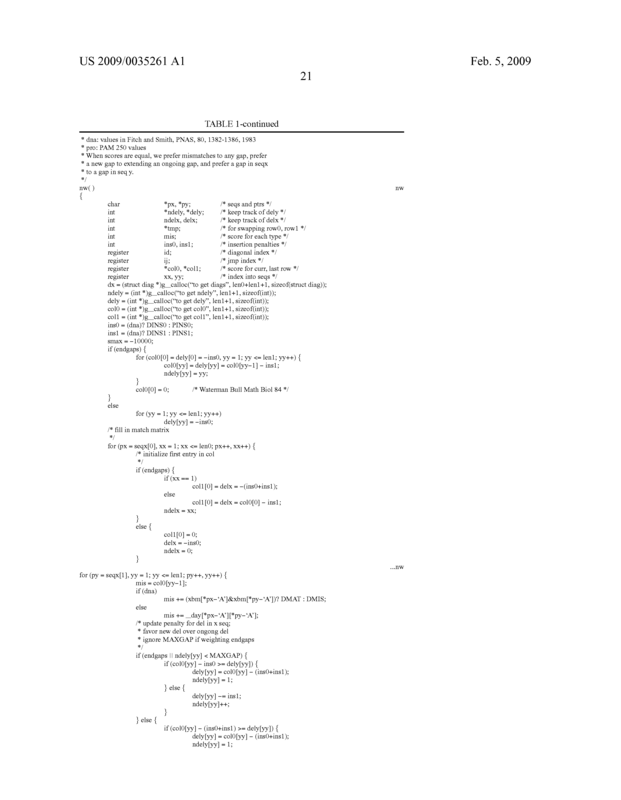 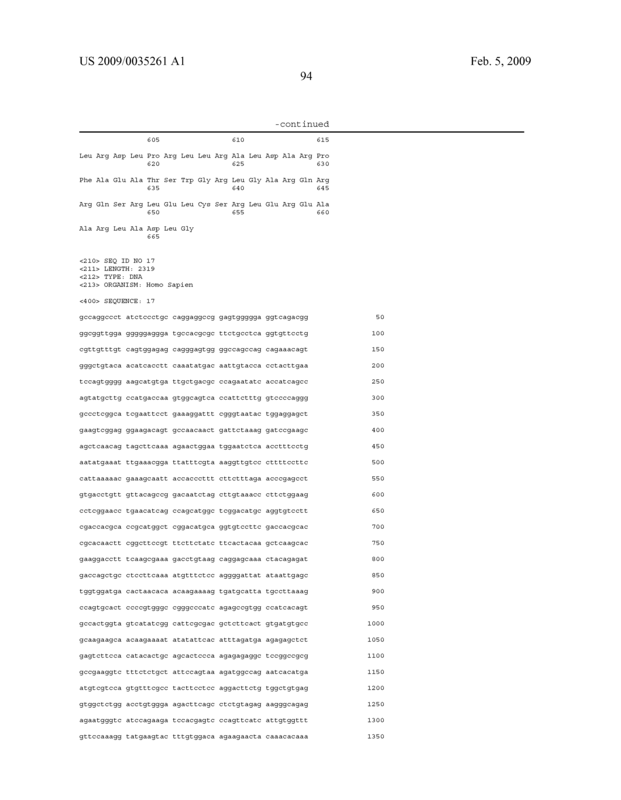 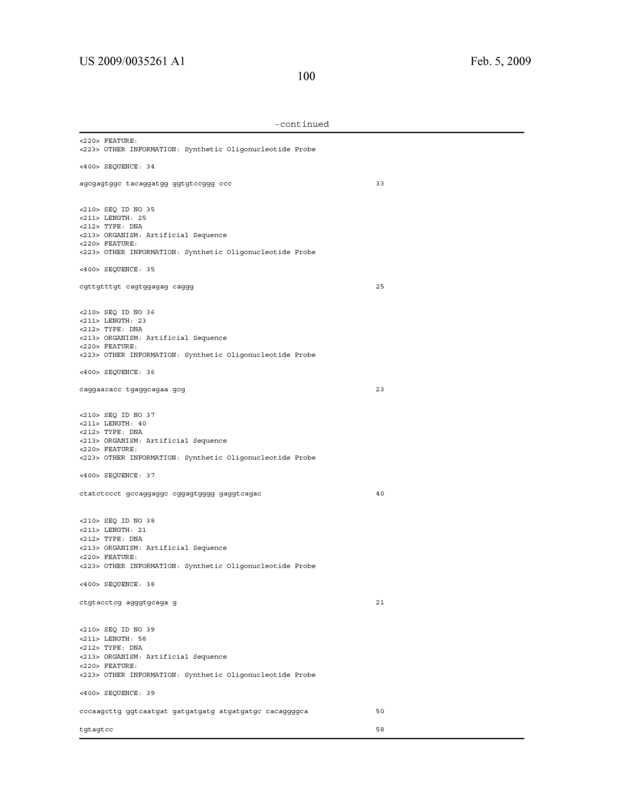 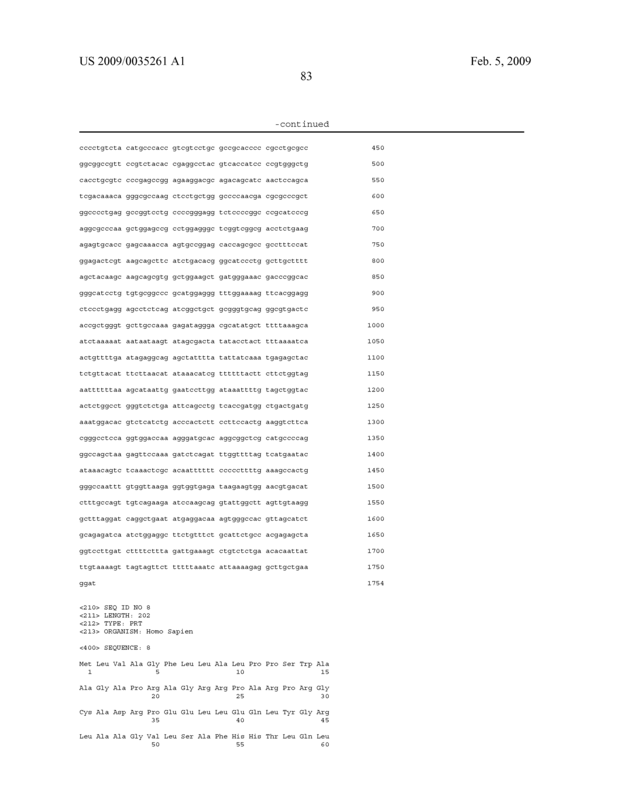 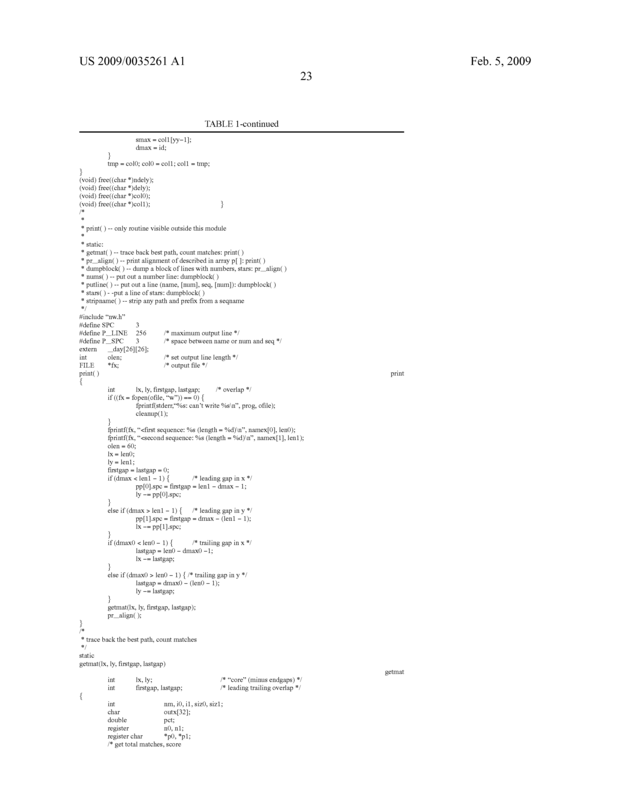 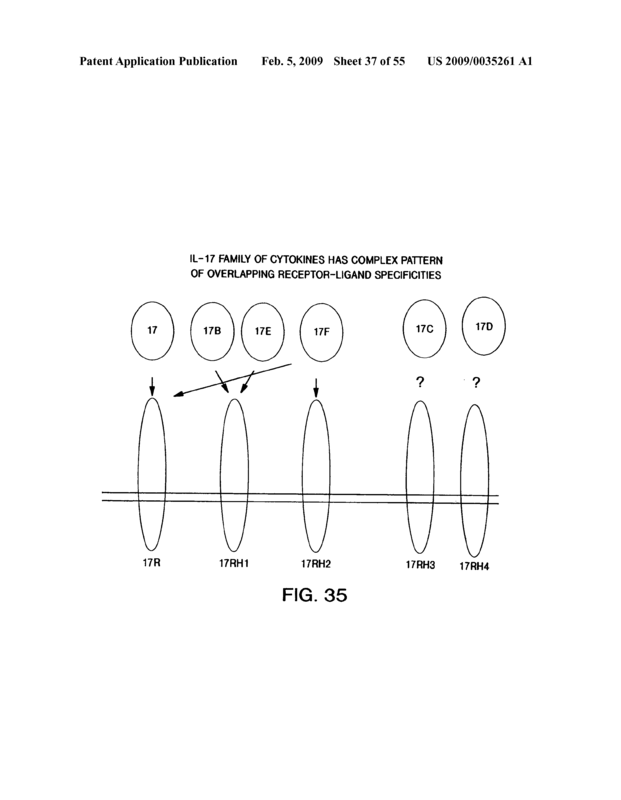 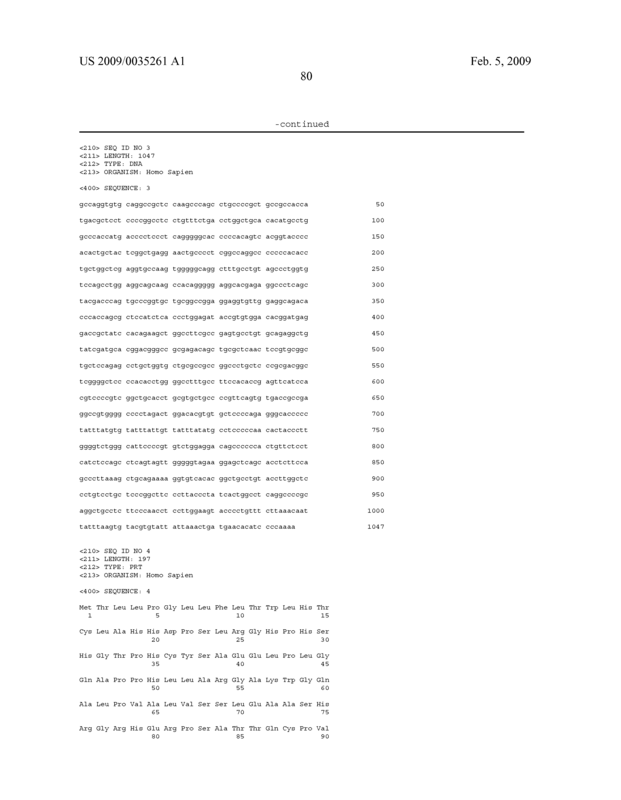 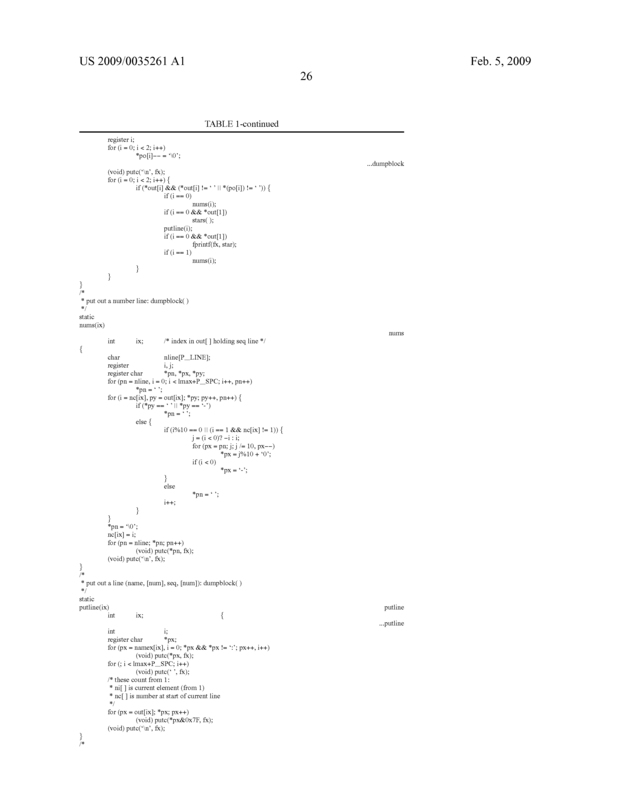 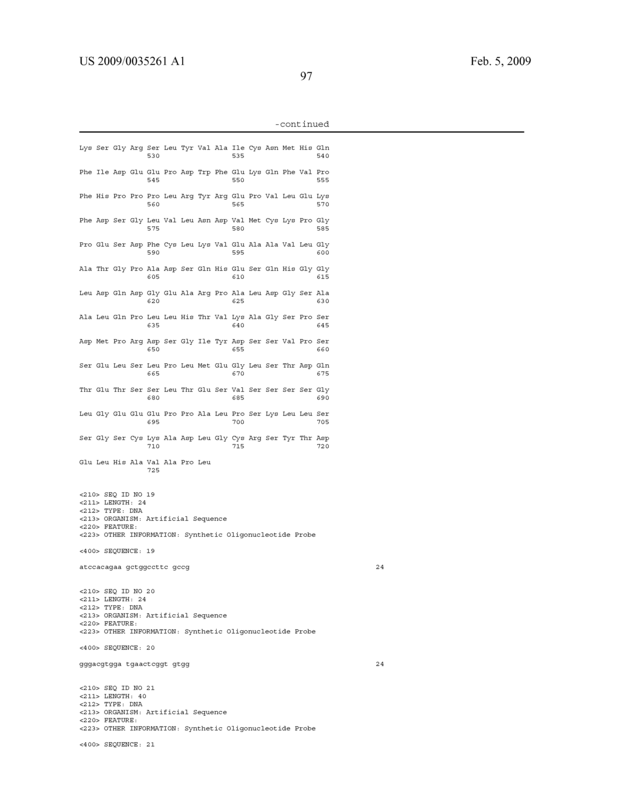 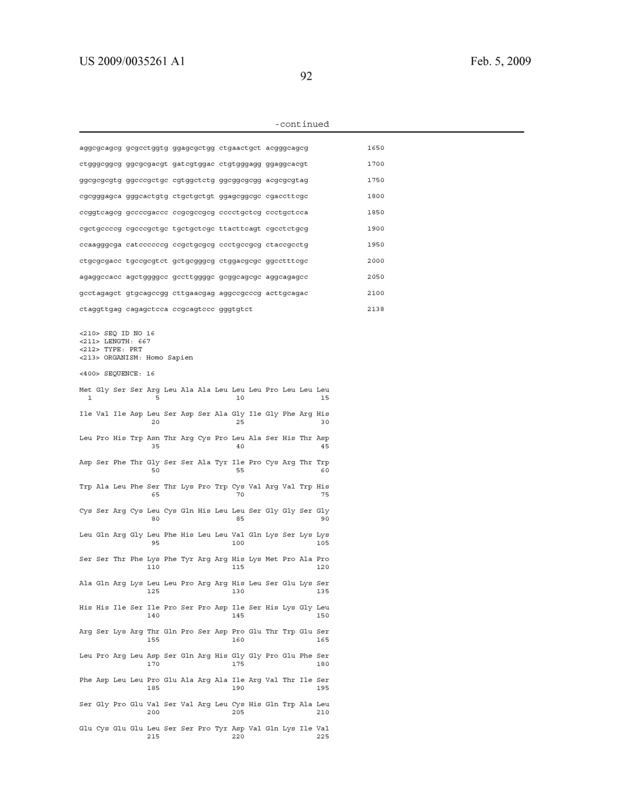 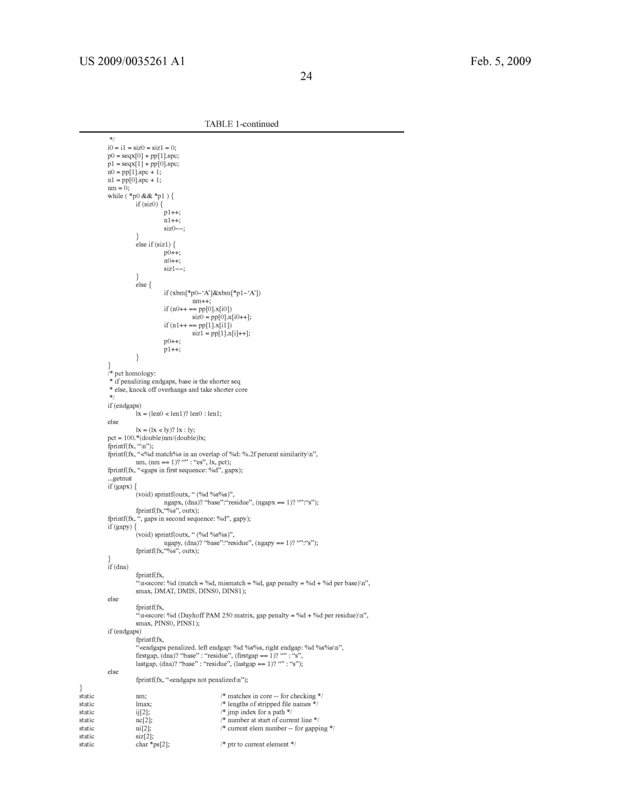 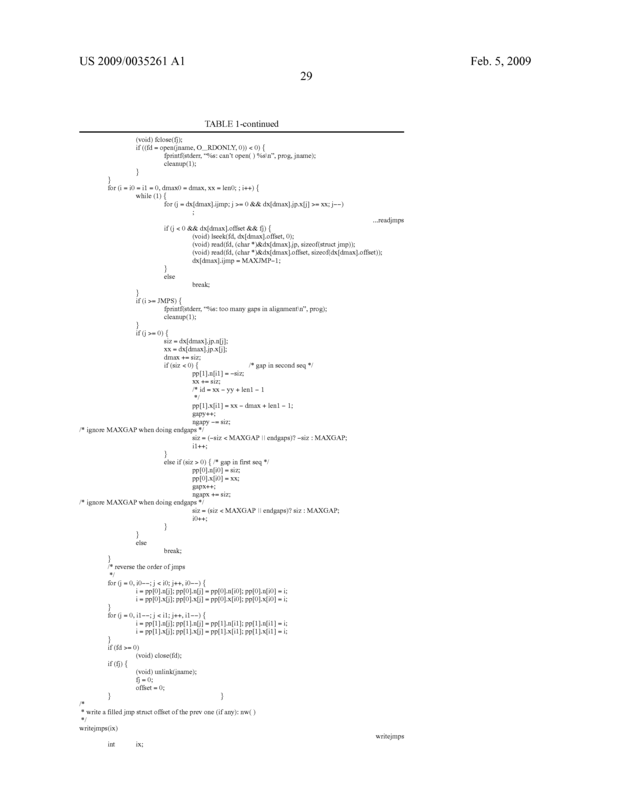 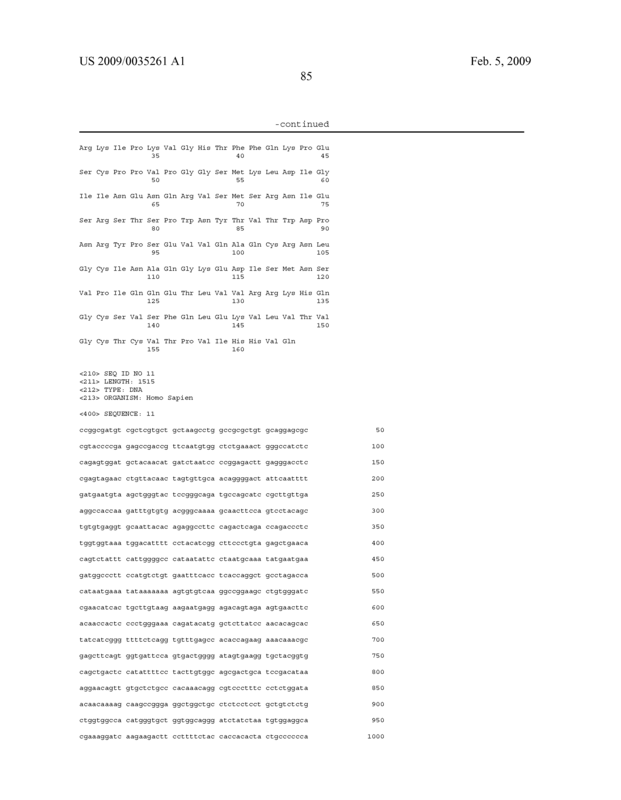 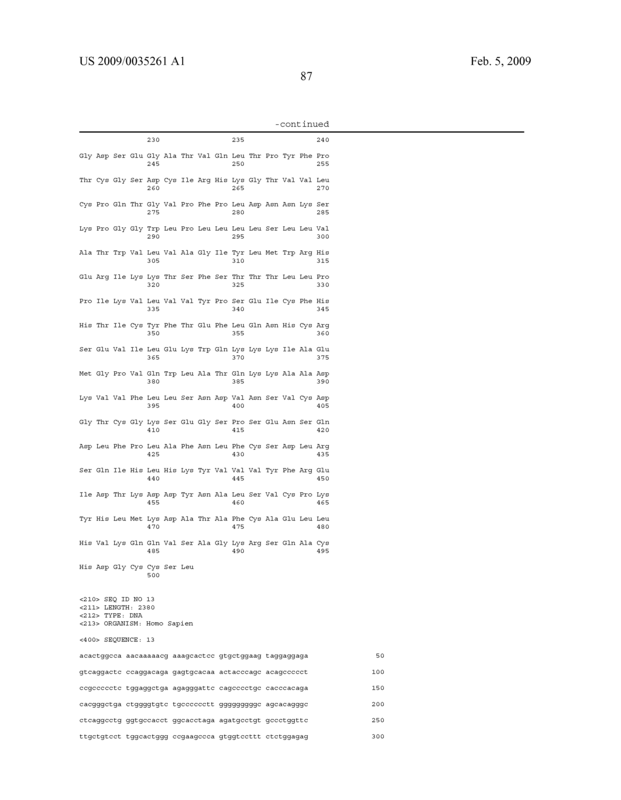 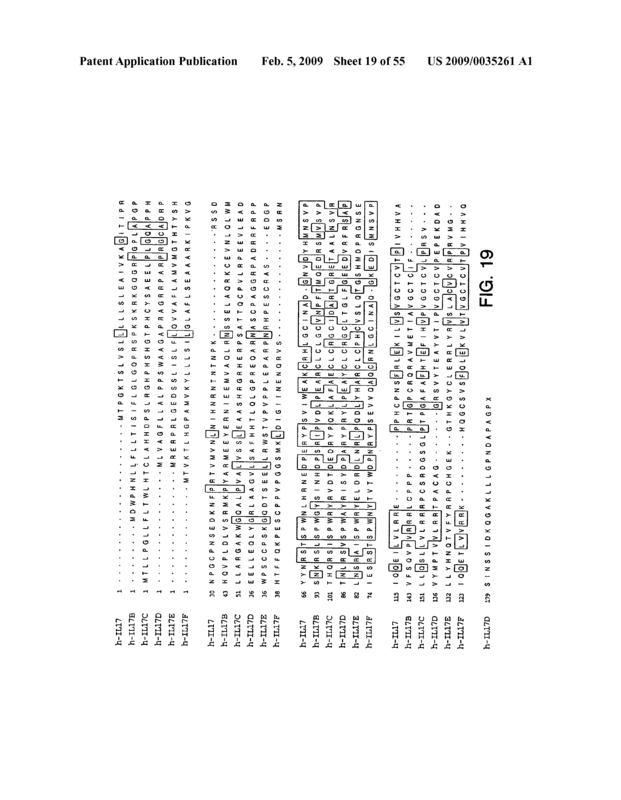 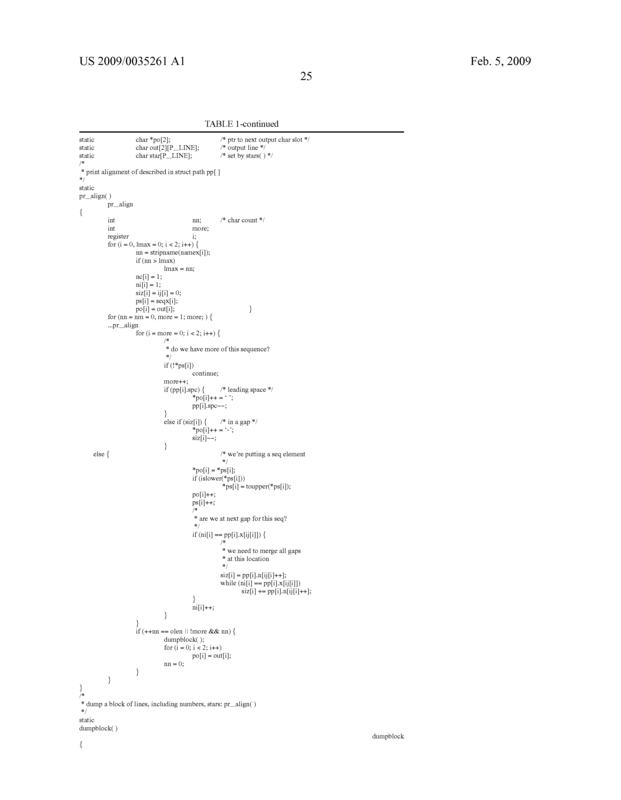 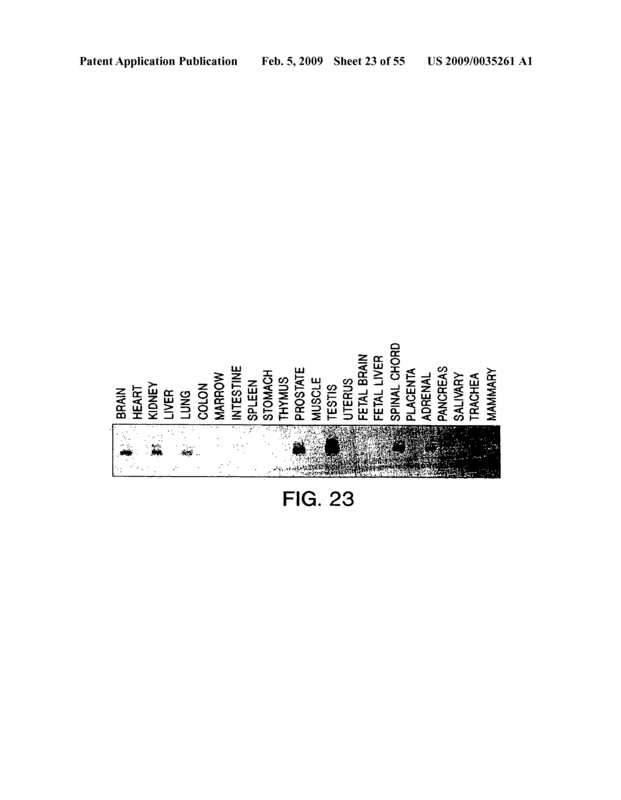 A method of diagnosing an immune related disease in a mammal, said method comprising detecting the level of expression of a gene encoding PRO1031, PRO1122, PRO10272, PRO21175, PRO20110, PRO5801, PRO20040, PRO9877 or PRO20026 polypeptide (a) in a test sample of tissue cells obtained from the mammal, and (b) in a control sample of known normal tissue cells of the same cell type, wherein a higher or lower level of expression of said gene in the test sample as compared to the control sample is indicative of the presence of an immune related disease in the mammal from which the test tissue cells were obtained. 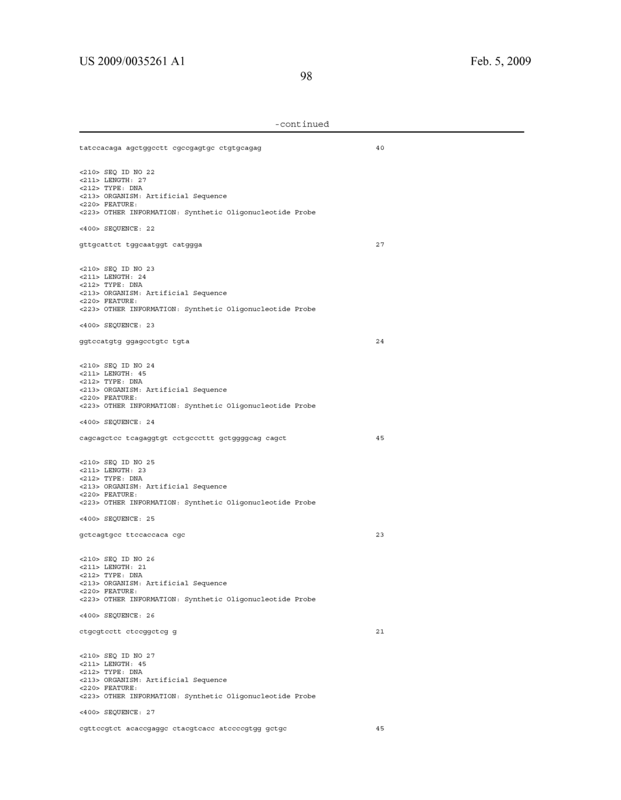 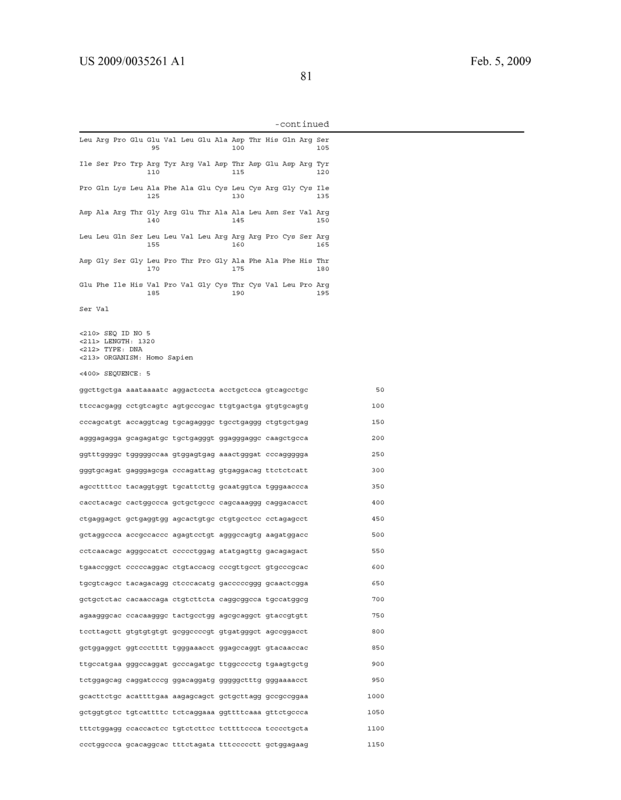 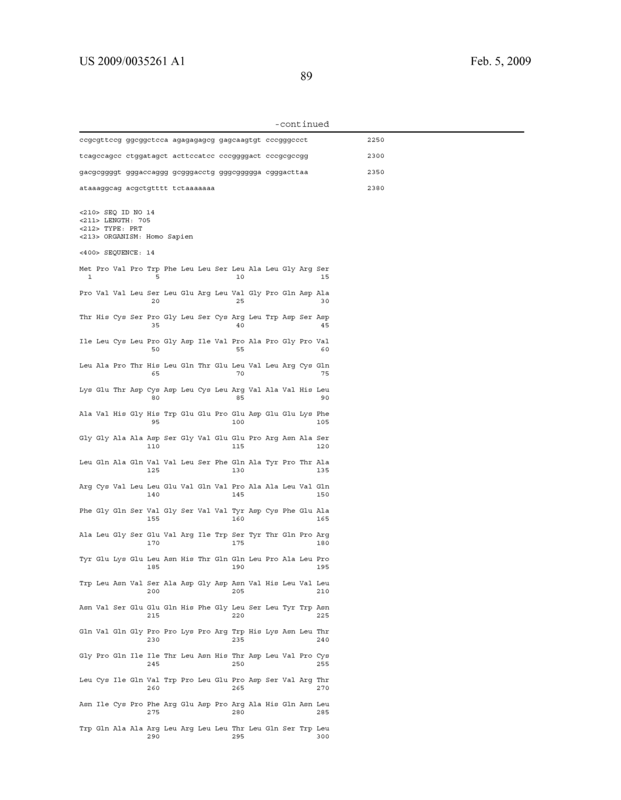 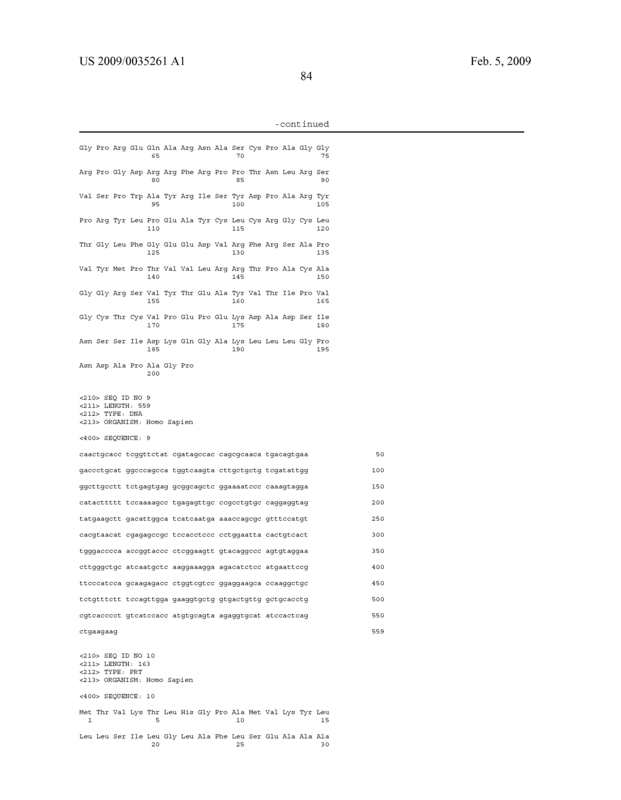 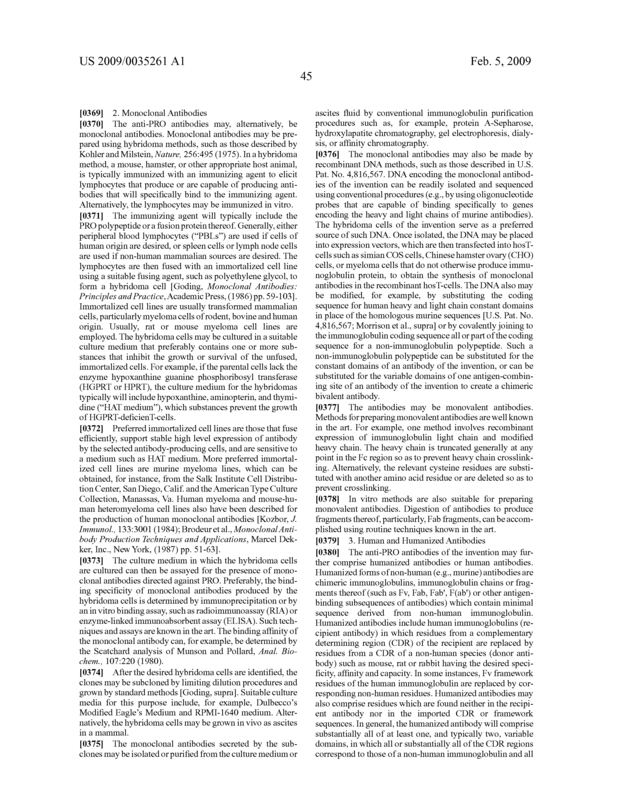 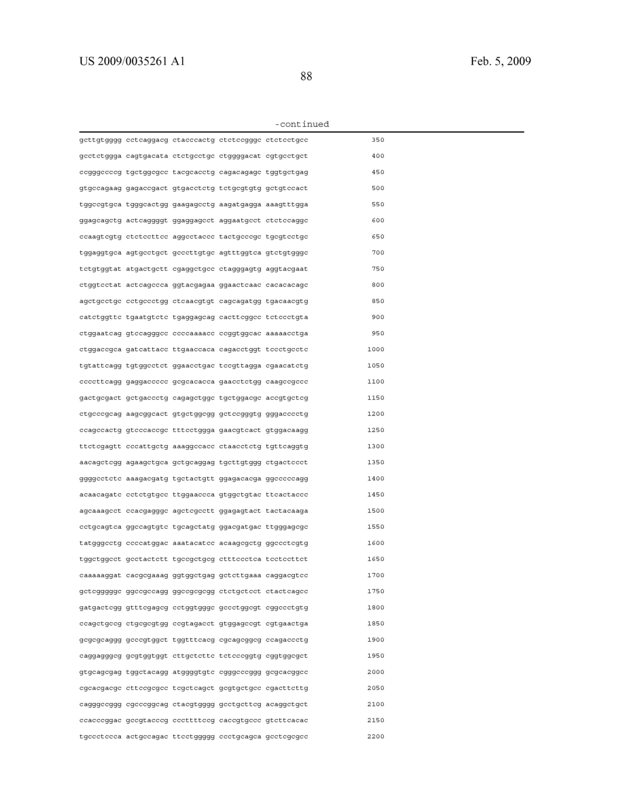 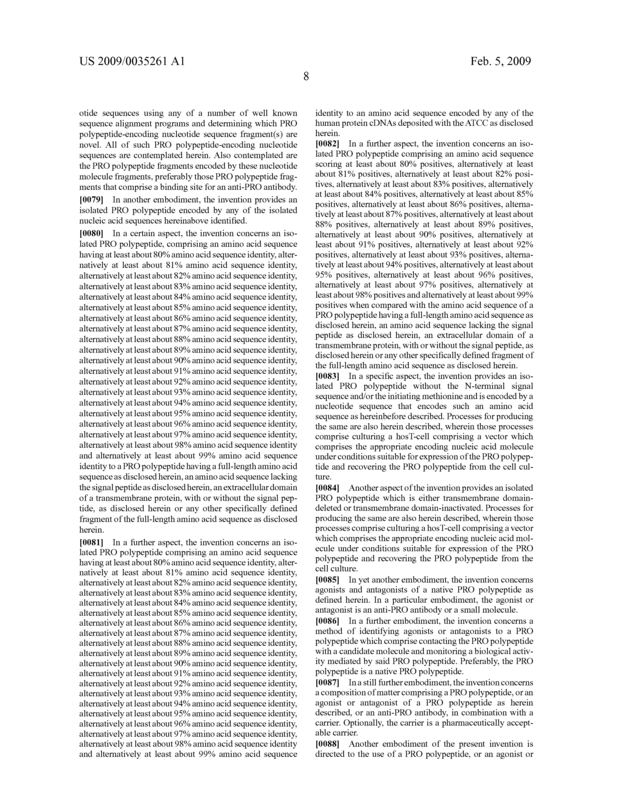 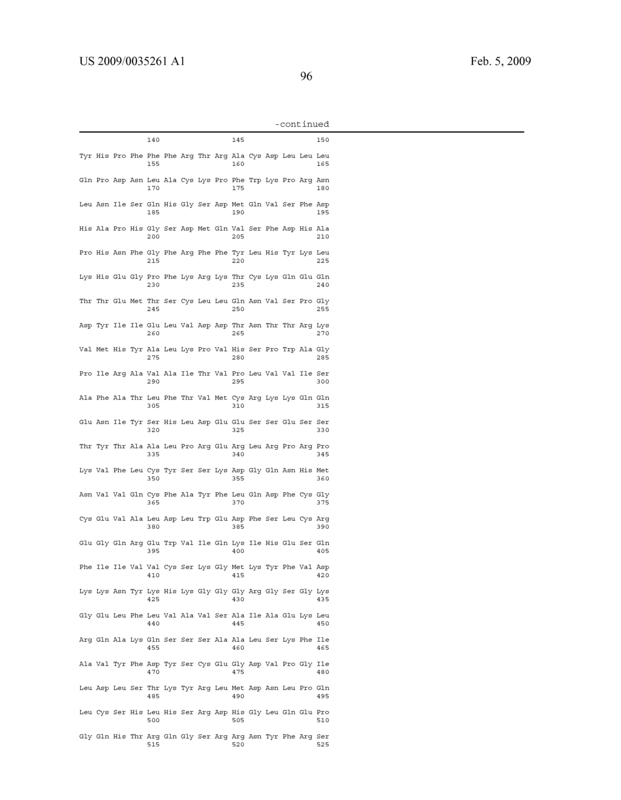 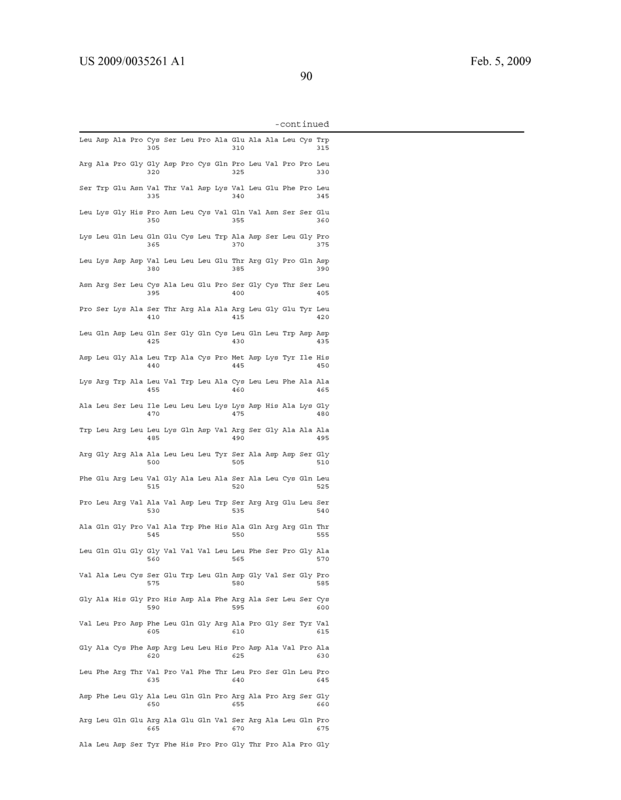 A method of diagnosing an immune related disease in a mammal, said method comprising (a) contacting an anti-PRO1031, anti-PRO1122, anti-PRO10272, anti-PRO21175, anti-PRO20110, anti-PRO5801, anti-PRO20040, anti-PRO9877 or anti-PRO20026 antibody with a test sample of tissue cells obtained from said mammal and (b) detecting the formation of a complex between the antibody and the polypeptide in the test sample, wherein formation of said complex is indicative of the presence of an immune related disease in the mammal from which the test tissue cells were obtained. 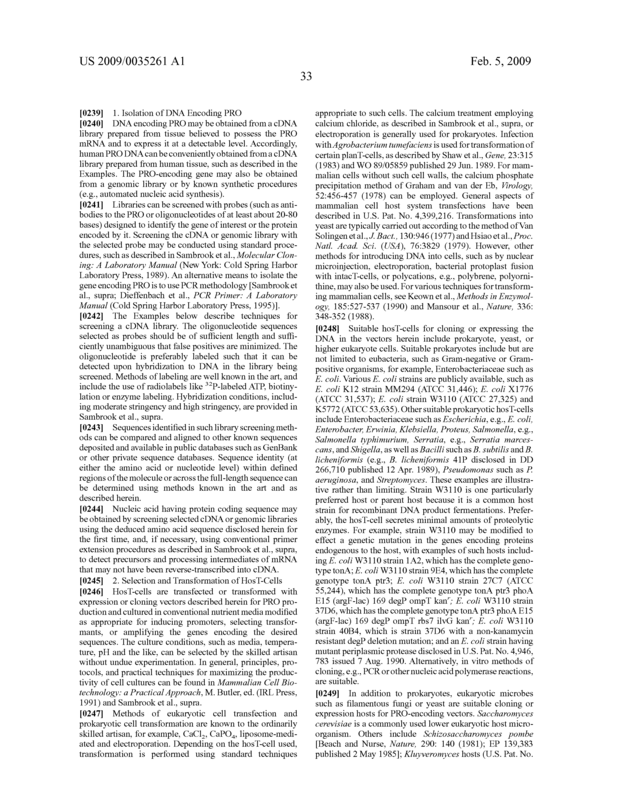 A method of identifying a compound that inhibits the activity of a PRO1031, PRO1122, PRO10272, PRO21175, PRO20110, PRO5801, PRO20040, PRO9877 or PRO20026 polypeptide, said method comprising contacting cells which normally respond to said polypeptide with (a) said polypeptide and (b) a candidate compound, and determining the lack responsiveness by said cell to (a). 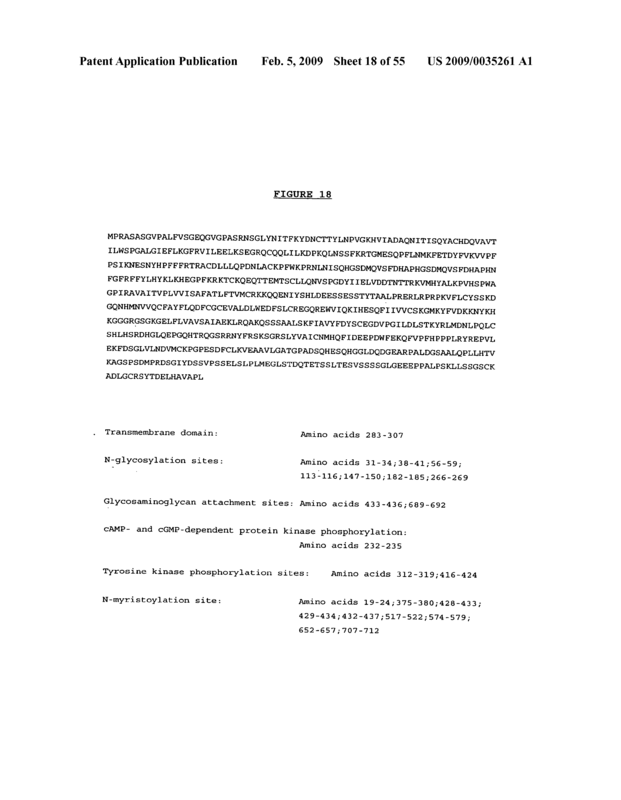 A method of identifying a compound that inhibits the expression of a gene encoding a PRO1031, PRO1122, PRO10272, PRO21175, PRO20110, PRO5801, PRO20040, PRO9877 or PRO20026 polypeptide, said method comprising contacting cells which normally express said polypeptide with a candidate compound, and determining the lack of expression said gene. 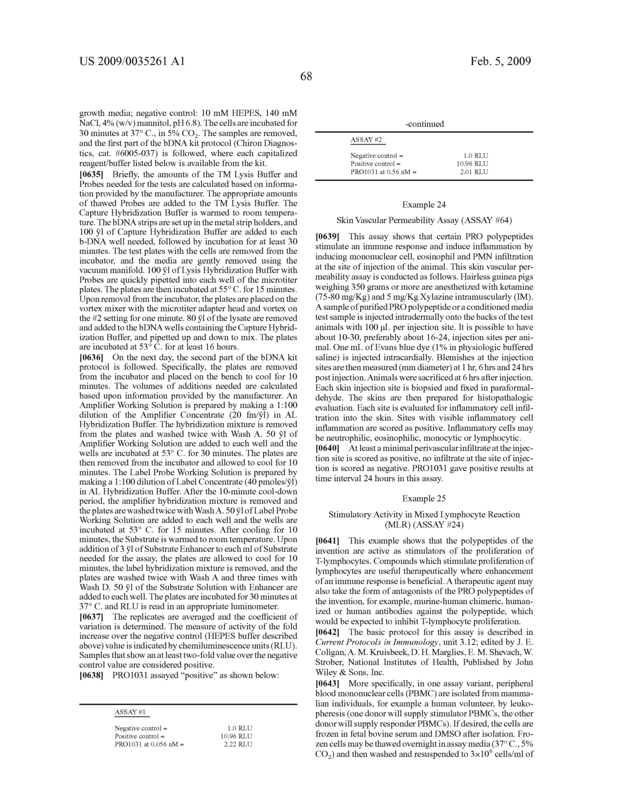 The method of claim 28, wherein said candidate compound is an antisense nucleic acid. 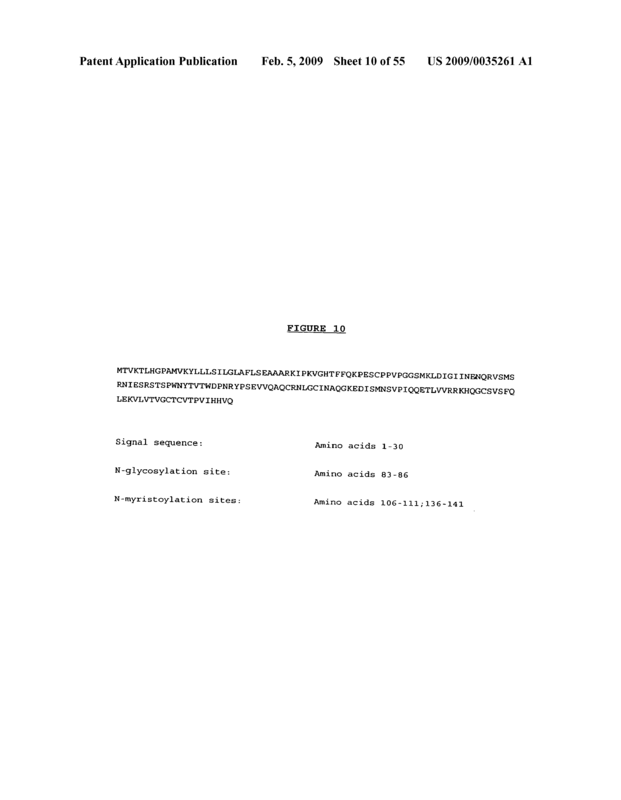 A method of identifying a compound that mimics the activity of a PRO1031, PRO1122, PRO10272, PRO21175, PRO20110, PRO5801, PRO20040, PRO9877 or PRO20026 polypeptide, said method comprising contacting cells which normally respond to said polypeptide with a candidate compound, and determining the responsiveness by said cell to said candidate compound. 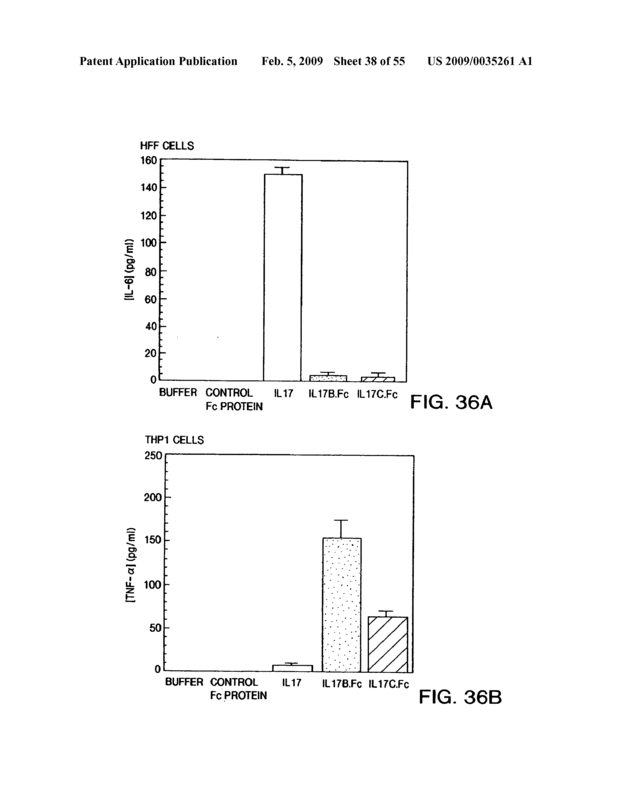 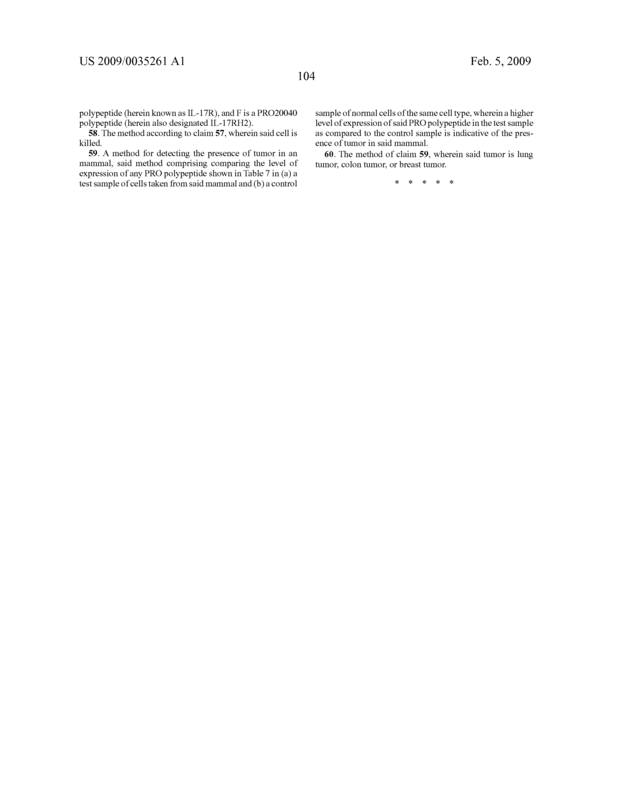 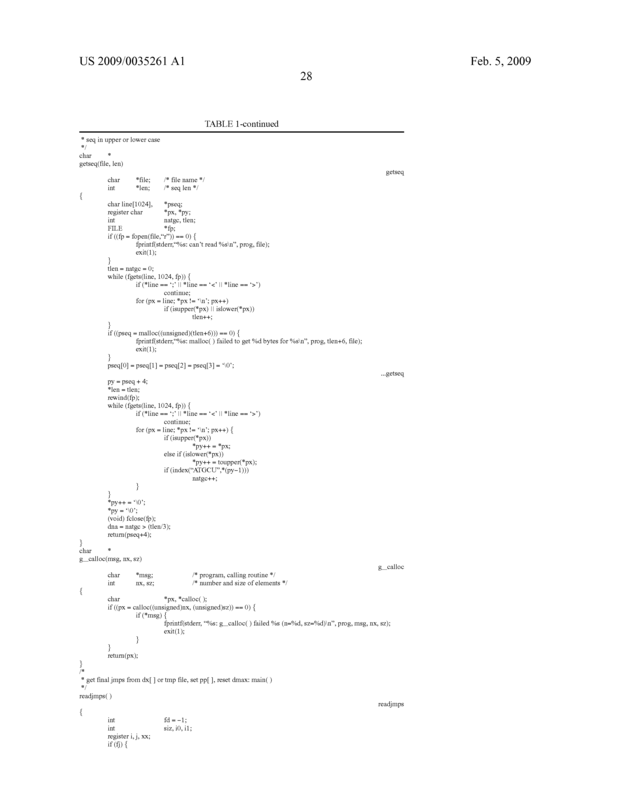 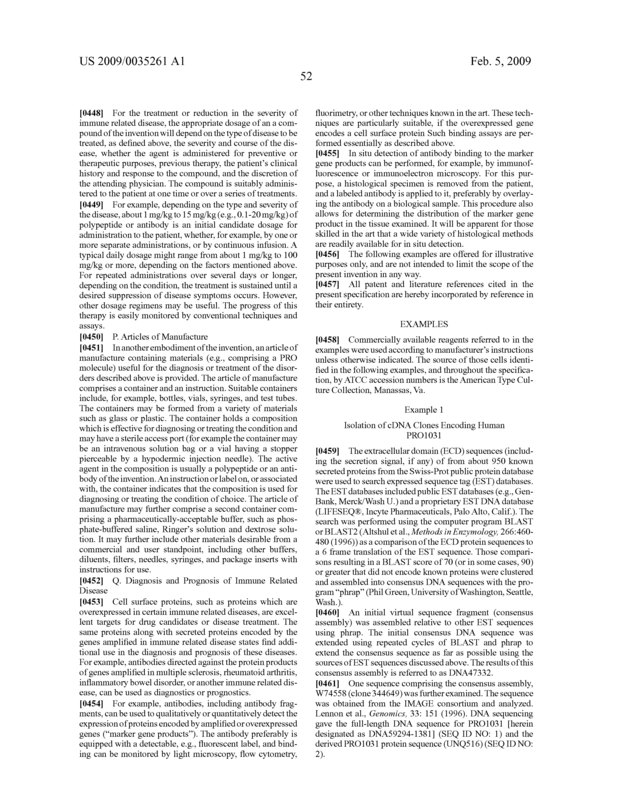 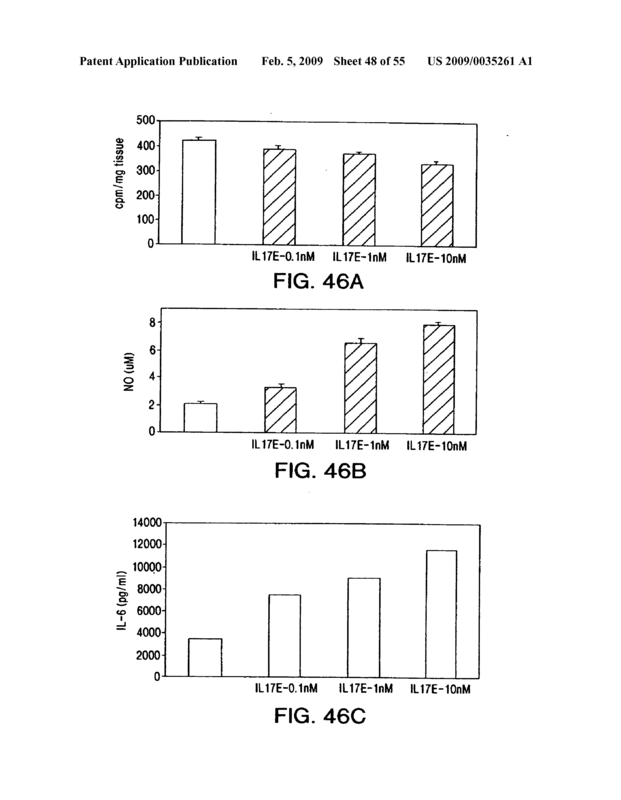 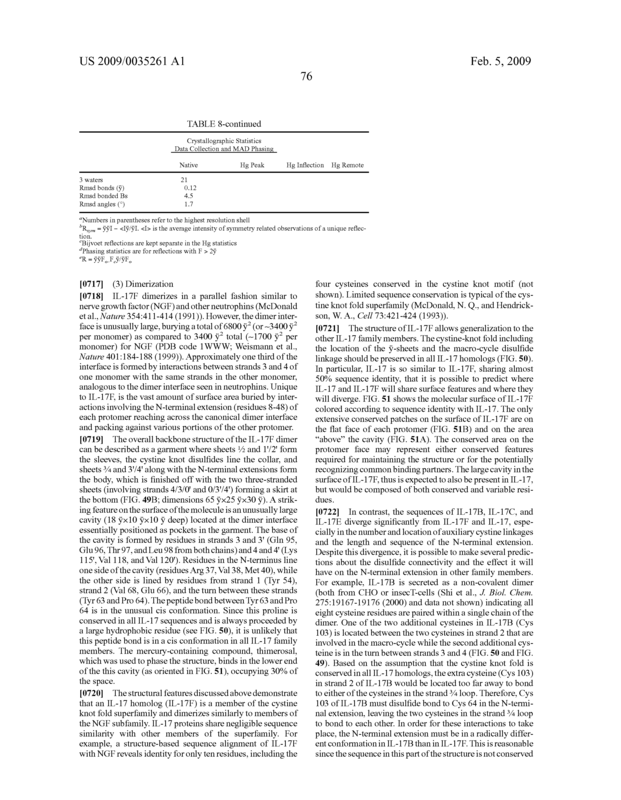 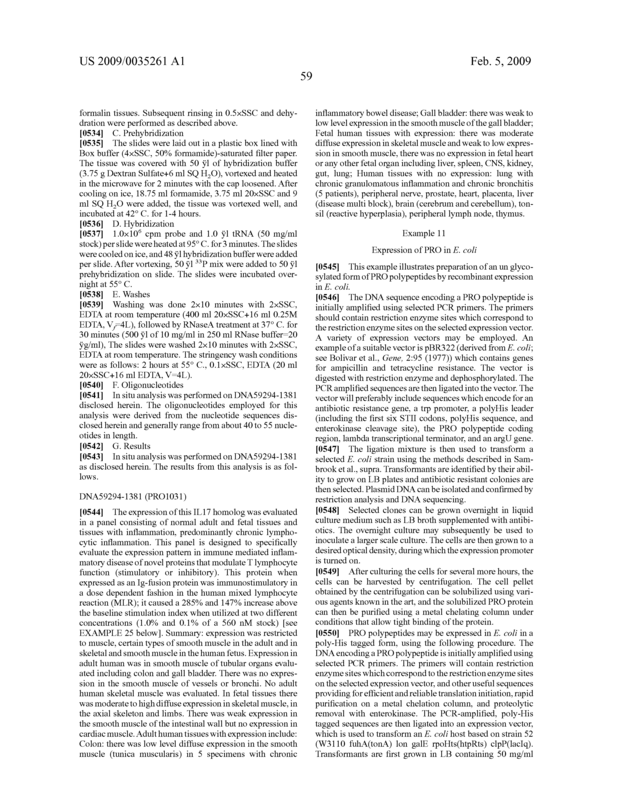 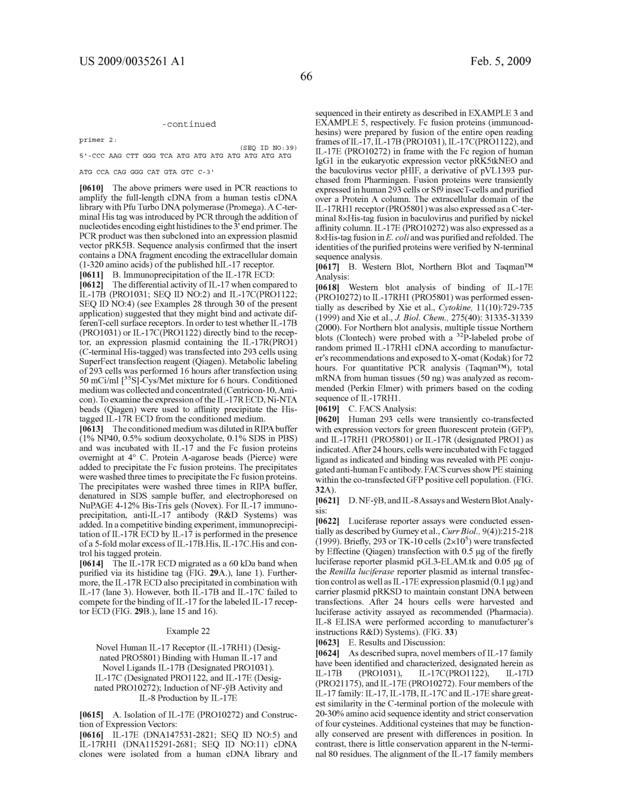 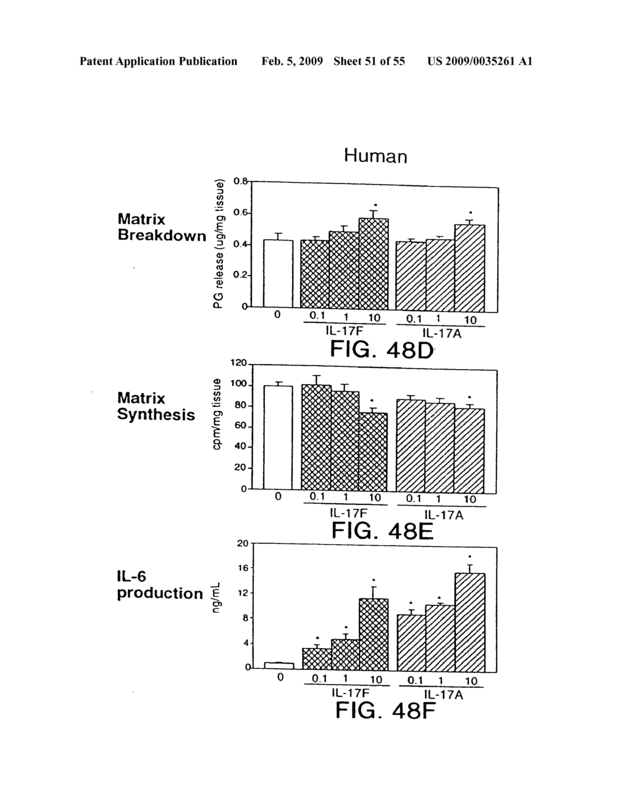 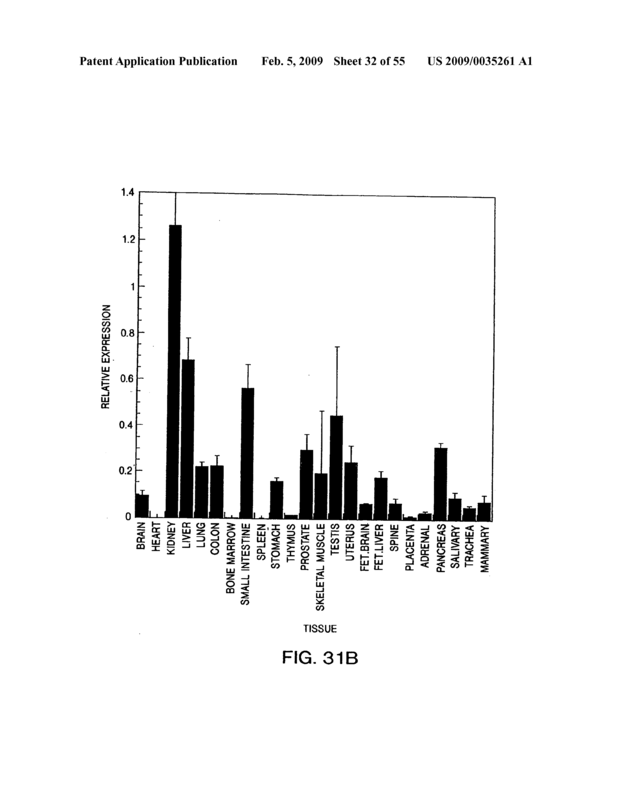 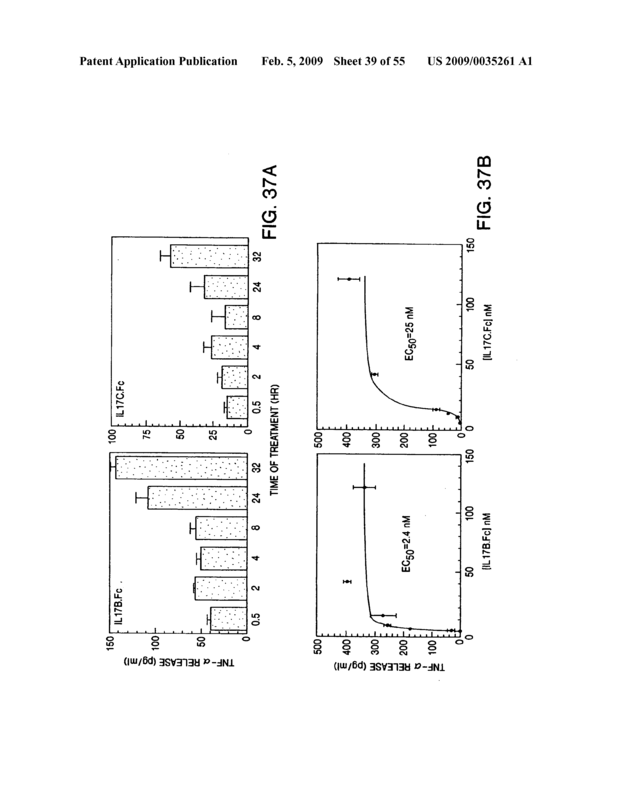 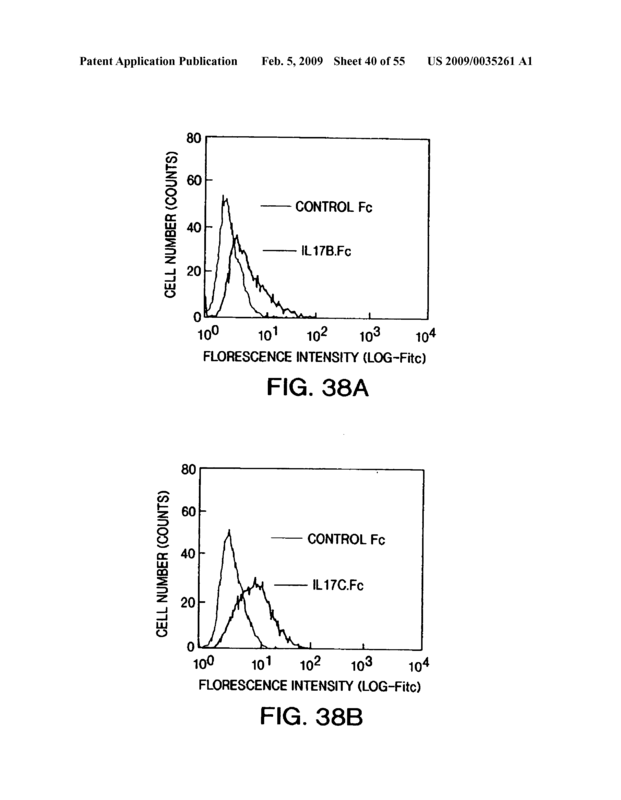 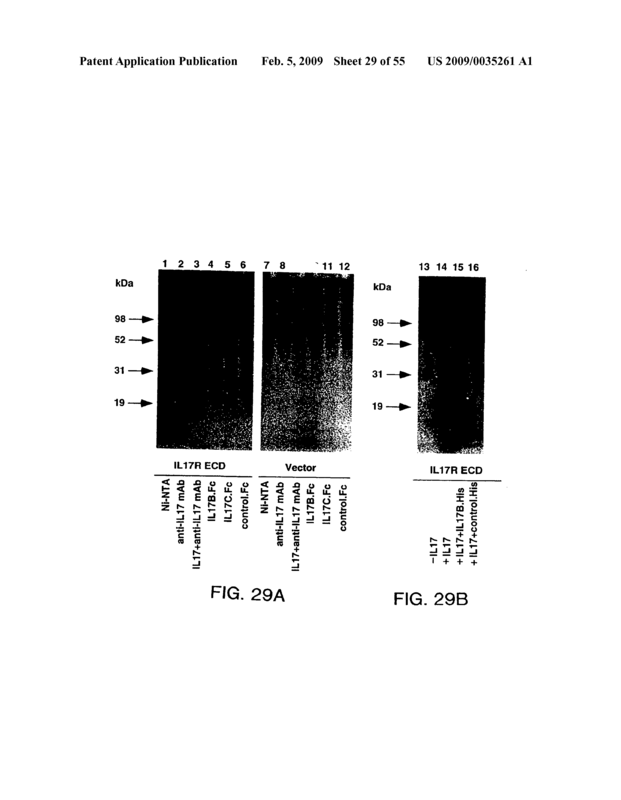 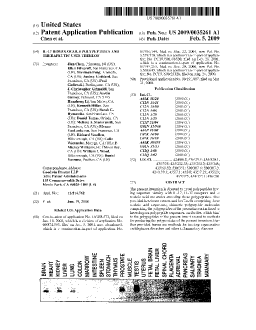 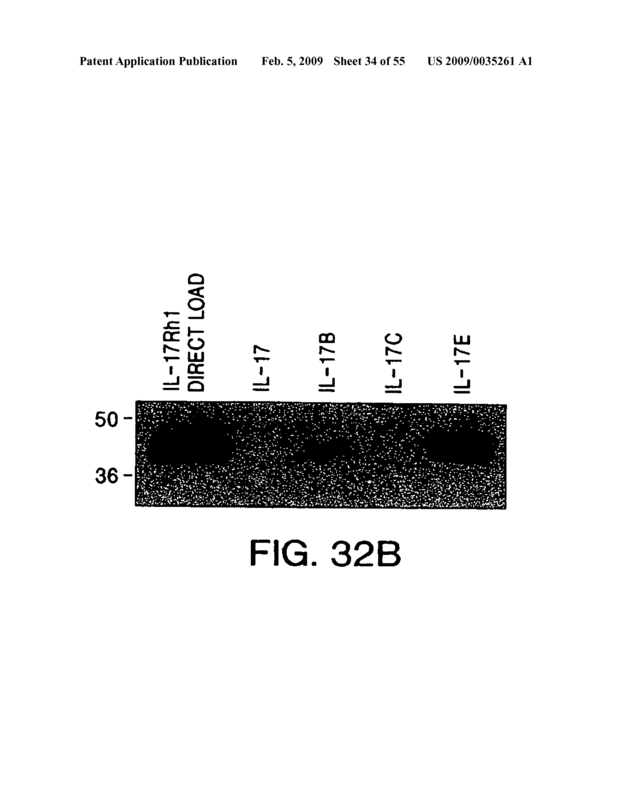 A method of stimulating the proliferation of T-lymphocytes, said method comprising contacting T-lymphocytes with an effective amount of (a) a PRO1031 or PRO10272 polypeptide or (b) an agonist of (a), wherein the proliferation of T-lymphocytes is stimulated. 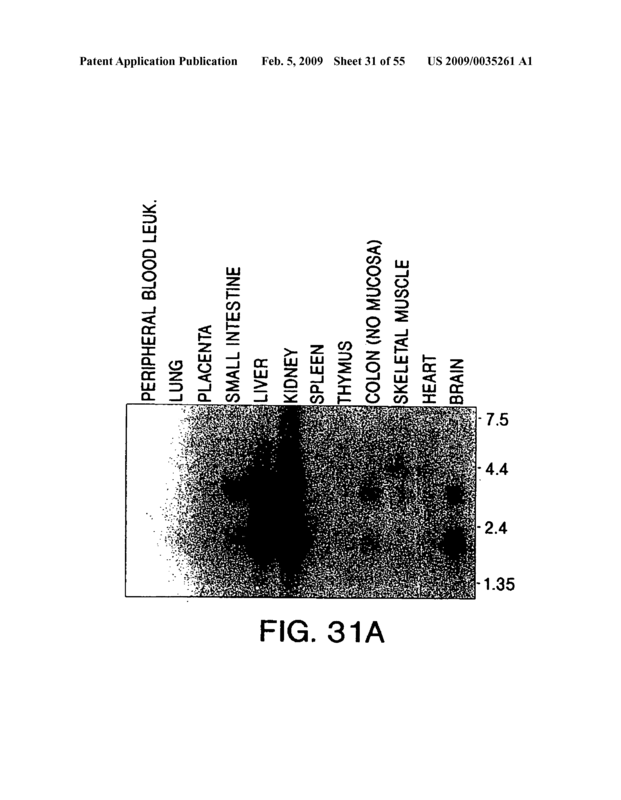 A method of inhibiting the proliferation of T-lymphocytes, said method comprising contacting T-lymphocytes with an effective amount of an antagonist of a PRO1031 or PRO10272 polypeptide, wherein the proliferation of T-lymphocytes is inhibited. 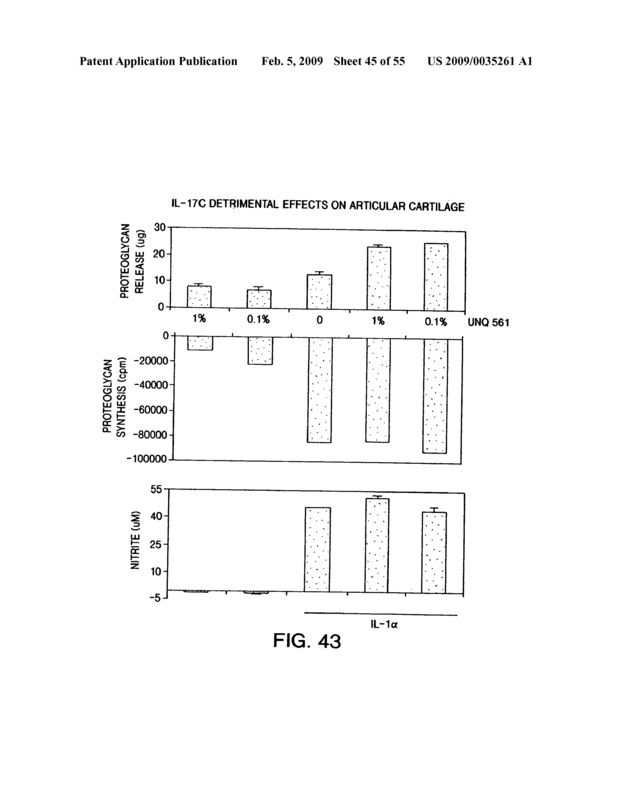 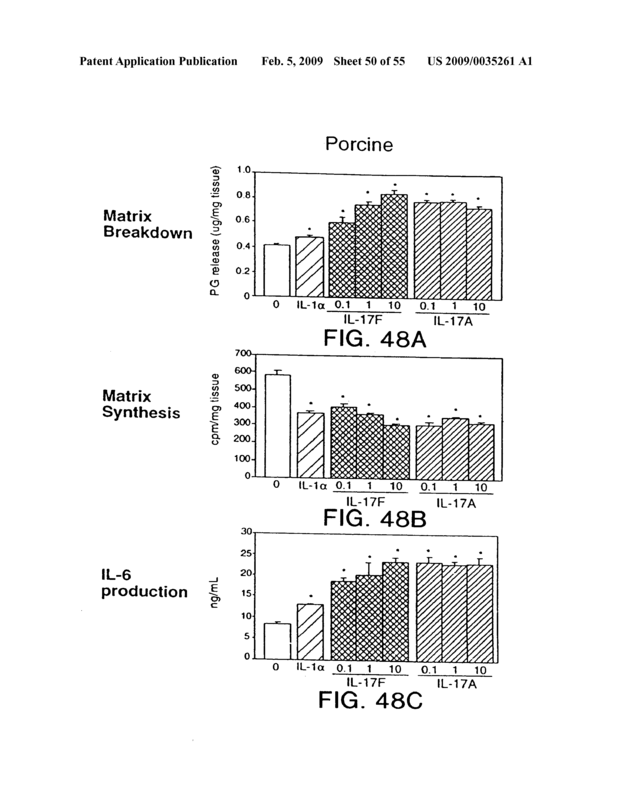 A method of enhancing the infiltration of inflammatory cells into a tissue of a mammal, said method comprising administration to said mammal an effective amount of (a) a PRO1031 polypeptide or (b) an agonist of (a), wherein said infiltration is enhanced. 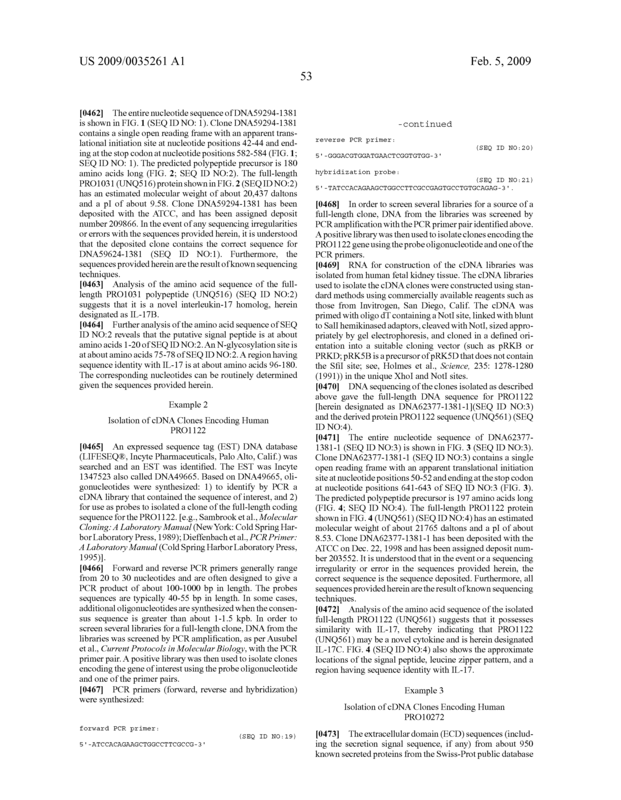 A method of decreasing the infiltration of inflammatory cells into a tissue of a mammal, said method comprising administration to said mammal an effective amount of an antagonist of a PRO-1031 polypeptide, wherein said infiltration is decreased. 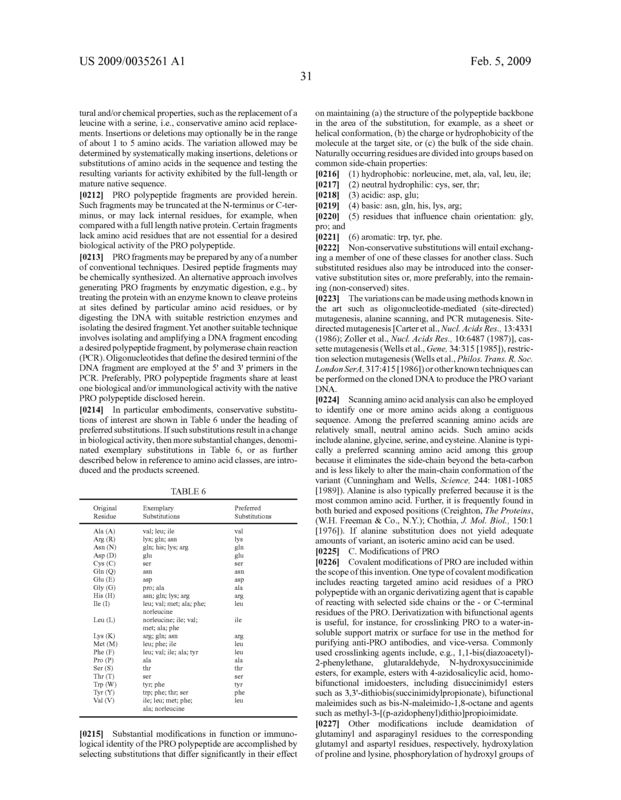 The method of any one of claims 33 to 34, wherein said inflammatory cells are mononuclear cells, eosinophils or polymorphonuclear neutrophils (PMNs). 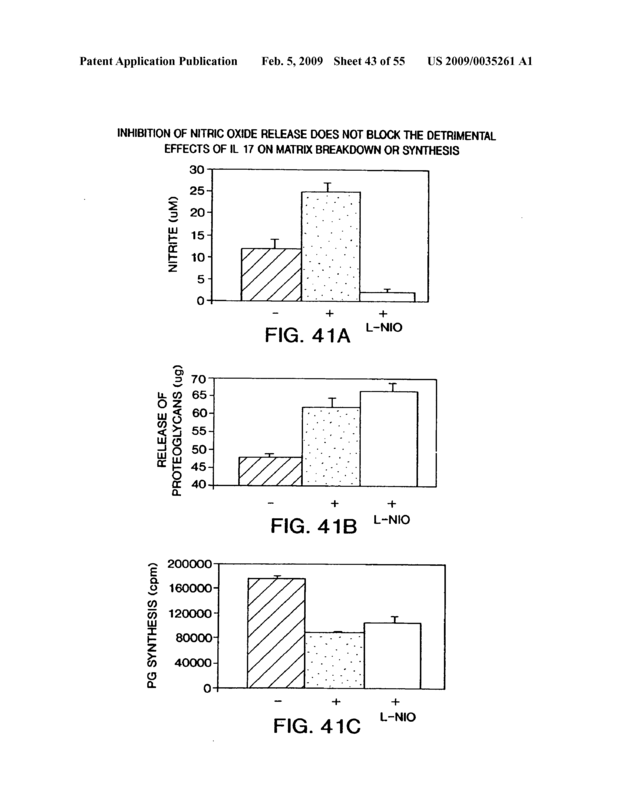 A method for inhibiting angiogenesis induced by a PRO1031 polypeptide or an agonist thereof in a mammal comprising administering a therapeutically effective amount of an anti-PRO1031 antibody to the mammal, wherein said angiogenesis is inhibited. 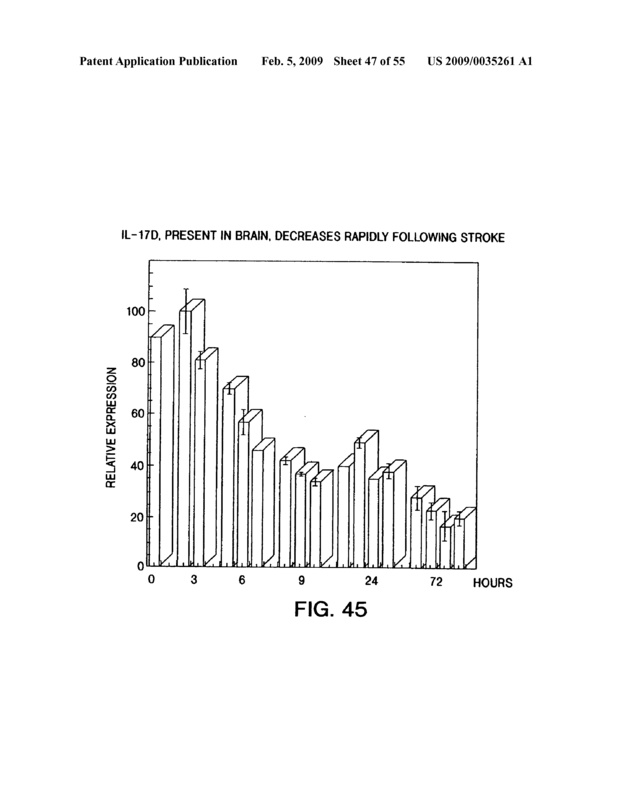 A method for stimulating angiogenesis induced by a PRO1031 polypeptide or an agonist thereof in a mammal comprising administering a therapeutically effective amount of said polypeptide to the mammal, wherein said angiogenesis is stimulated. 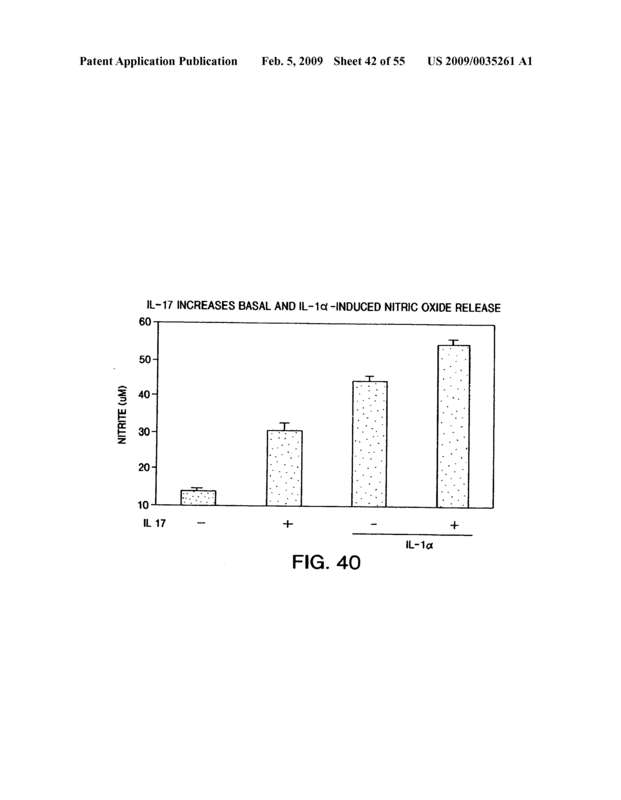 A method for inhibiting angiogenesis in a mammal comprising administering a therapeutically effective amount of an antagonist of a PRO1031 polypeptide to the mammal, wherein said angiogenesis is inhibited. 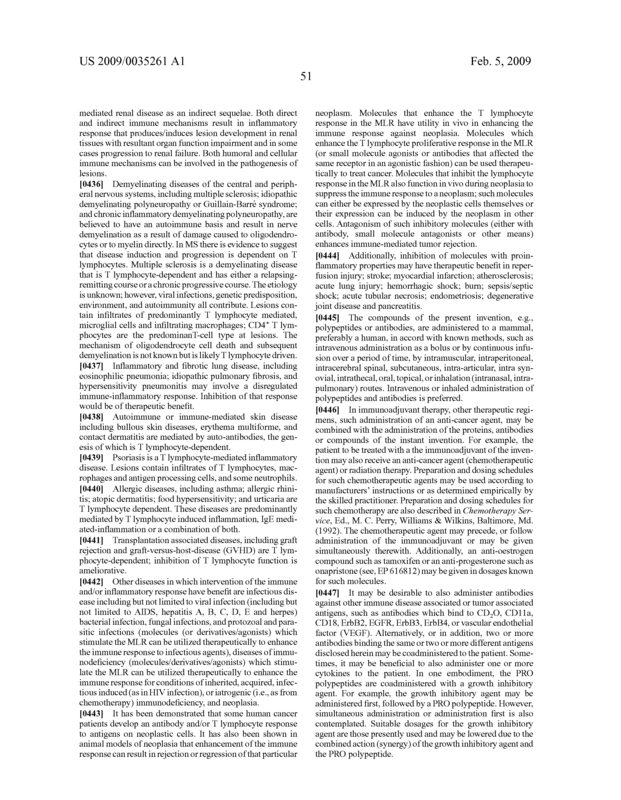 A method of treating a degenerative cartilaginous disorder in a mammal comprising administering a therapeutically effective amount of a PRO1031, PRO1122, PRO10272, or PRO20110 polypeptide, agonist, or antagonist thereof, to said mammal suffering from said disorder. 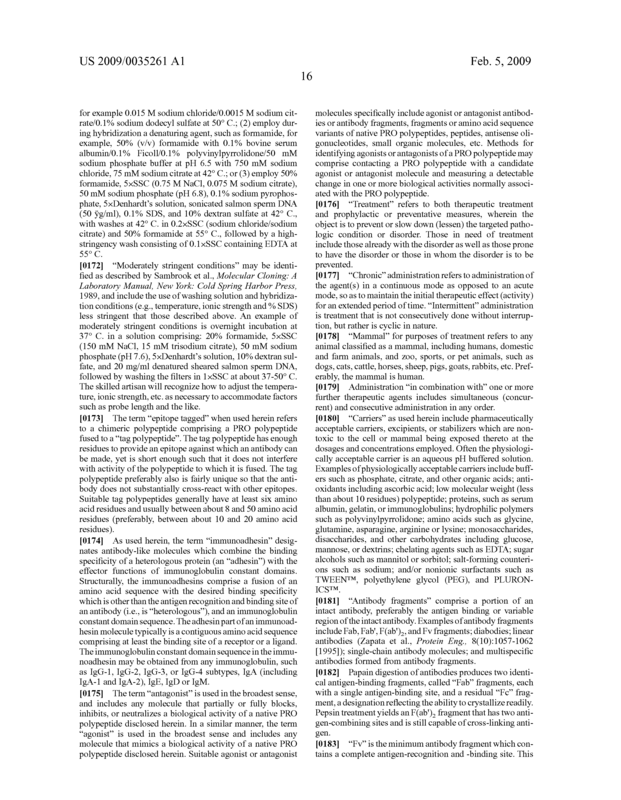 a label affixed to said container, or a package insert included in said container, referring to the use of said composition, in the treatment of a degenerative cartilaginous disorder. 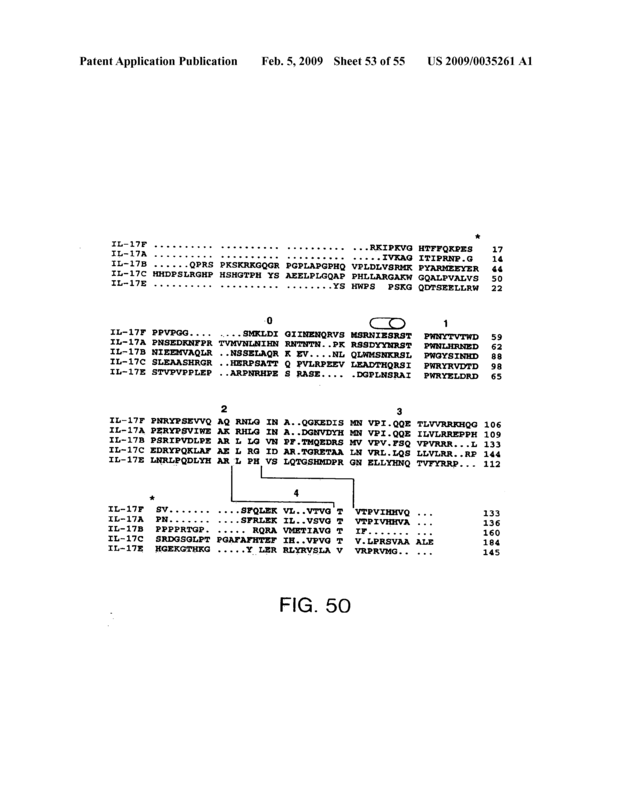 A method of detecting a polypeptide designated as A, B, or C in a sample suspected of containing an A, B, or C polypeptide, said method comprising contacting said sample with a polypeptide designated herein as D, E, or F and determining the formation of a A/D, B/D, C/E or C/F polypeptide conjugate in said sample, wherein the formation of said conjugate is indicative of the presence of an A, B, or C polypeptide in said sample and wherein A is a PRO1031 polypeptide (herein also designated IL-17B), B is a PRO10272 polypeptide (herein also designated IL-17E), C is a PRO20110 polypeptide (herein also designated IL-17F), D is a PRO5801 polypeptide (herein also designated IL-17RH1), E is a PRO1 polypeptide (herein known as IL-17R), and F is a PRO20040 polypeptide (herein also designated IL-17RH2). 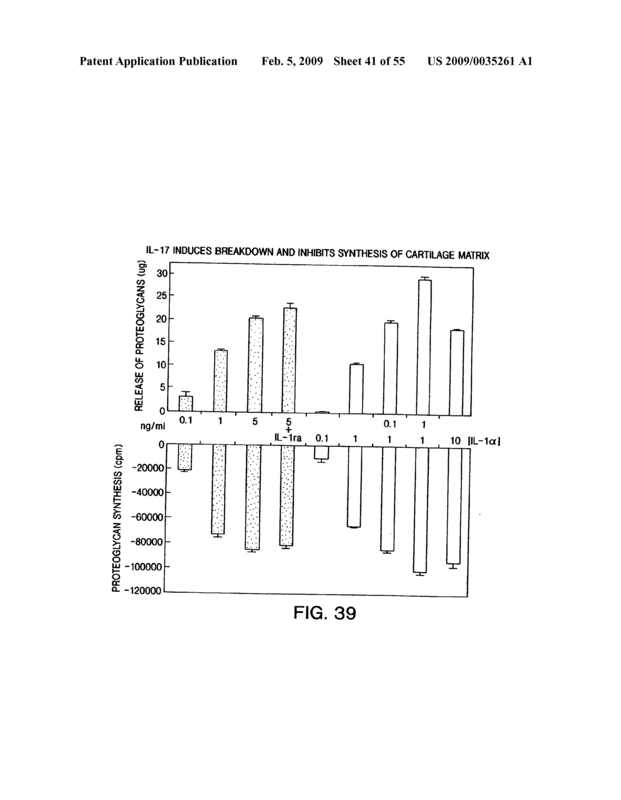 The method according to claim 41, wherein said sample comprises cells suspected of expressing said A, B, or C polypeptide. 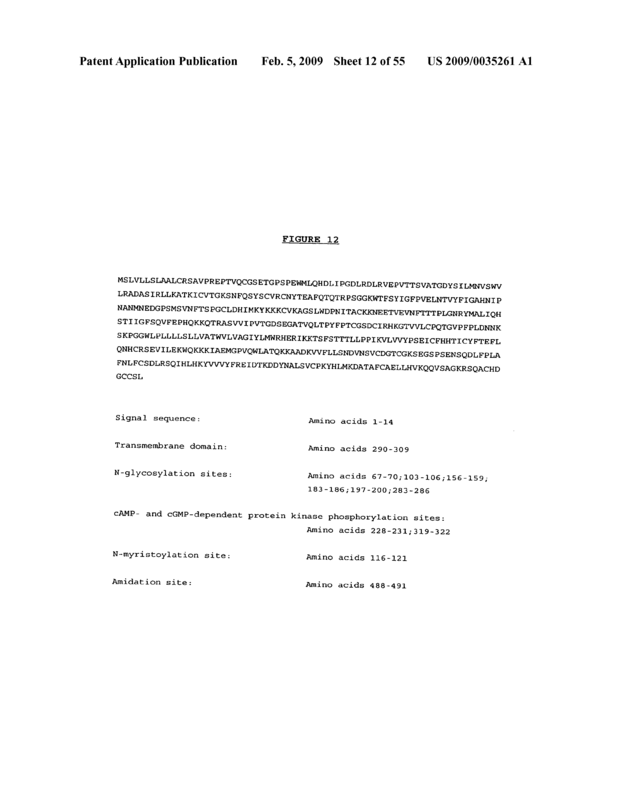 The method according to claim 41, wherein said D, E, or F polypeptide is labeled with a detectable label. 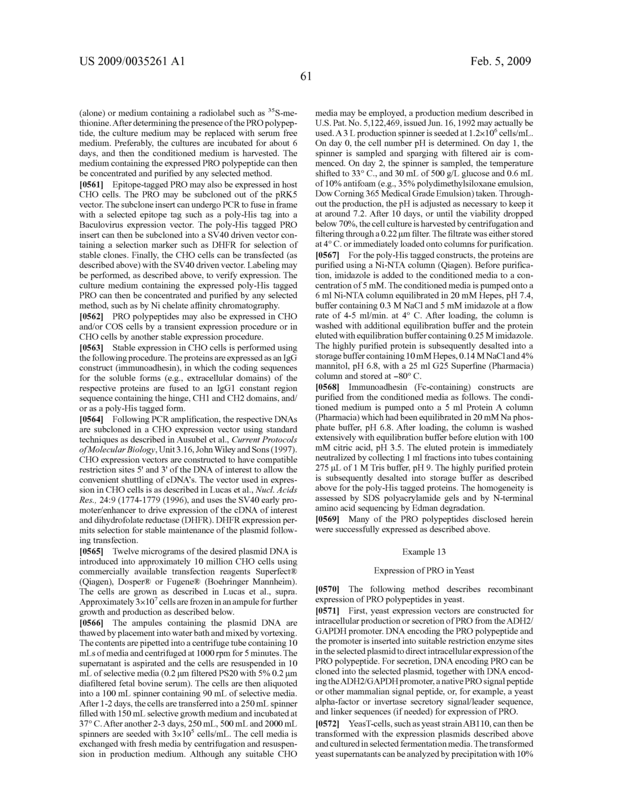 The method according to claim 41, wherein said D, E, or F polypeptide is attached to a solid support. 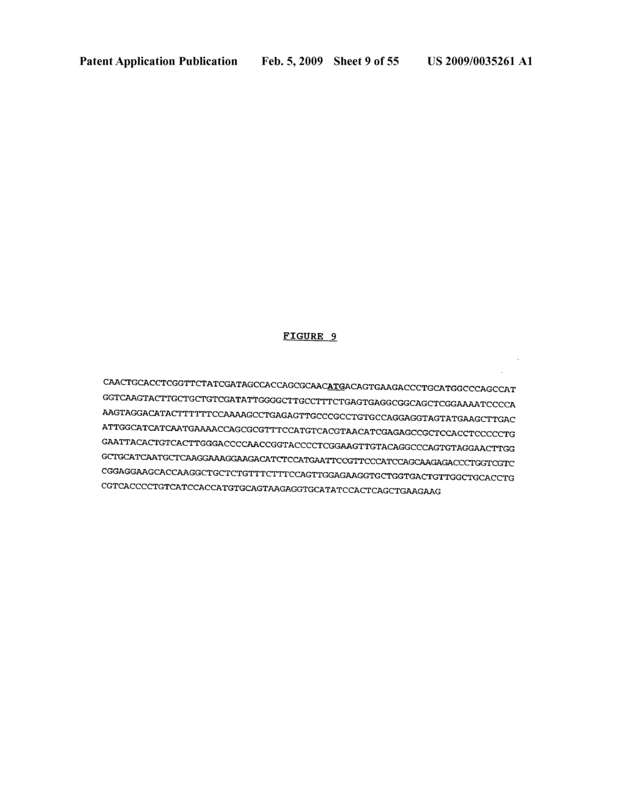 A method of detecting a polypeptide designated as D, E, or F in a sample suspected of containing an D, E, or F polypeptide, said method comprising contacting said sample with a polypeptide designated herein as A, B, or C and determining the formation of a A/D, B/D, C/E, or C/F polypeptide conjugate in said sample, wherein the formation of said conjugate is indicative of the presence of an D, E, or F polypeptide in said sample and wherein A is a PRO1031 polypeptide (herein also designated IL-17B), B is a PRO10272 polypeptide (herein also designated IL-17E), C is a PRO20110 polypeptide (herein also designated IL-17F), D is a PRO5801 polypeptide (herein also designated IL-17RH1), E is a PRO1 polypeptide (herein known as IL-17R), and F is a PRO20040 polypeptide (herein also designated IL-17RH2). 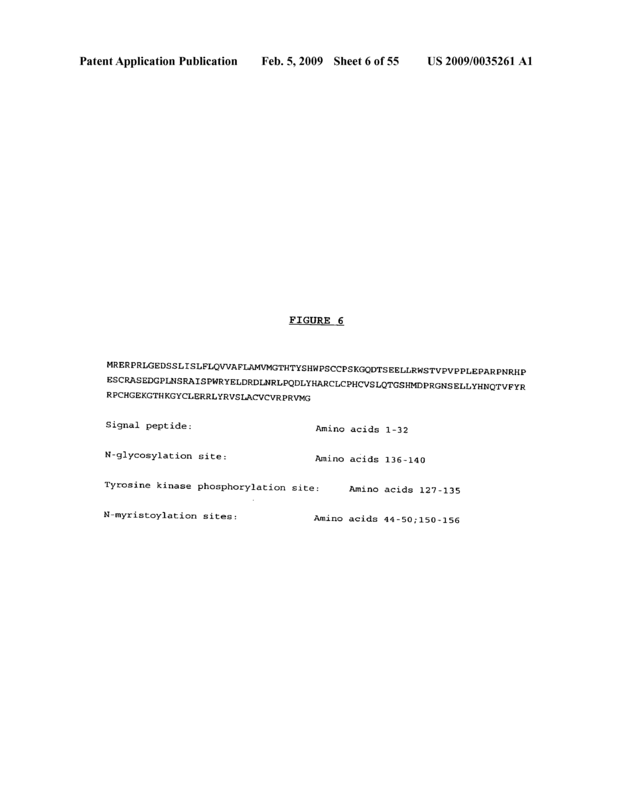 The method according to claim 45, wherein said sample comprises cells suspected of expressing said D, E, or F polypeptide. 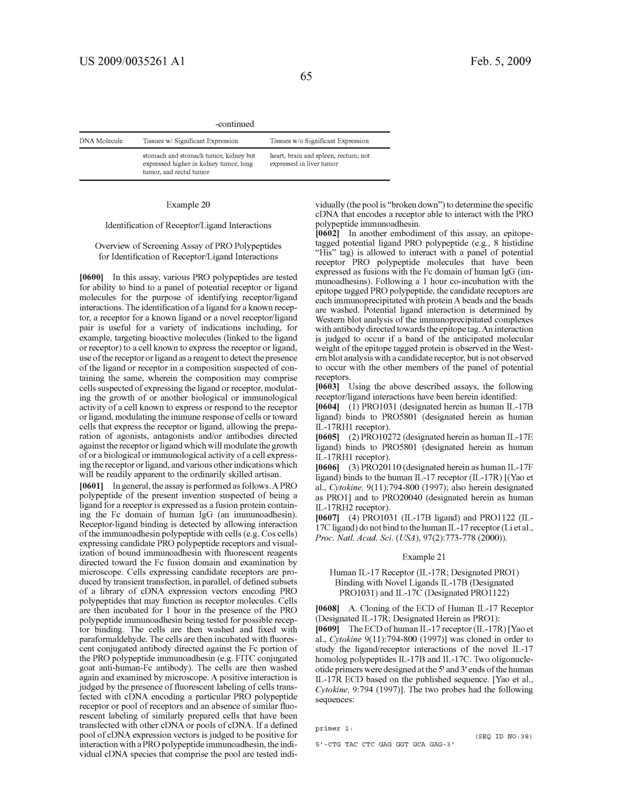 The method according to claim 45, wherein said A, B, or C polypeptide is labeled with a detectable label. 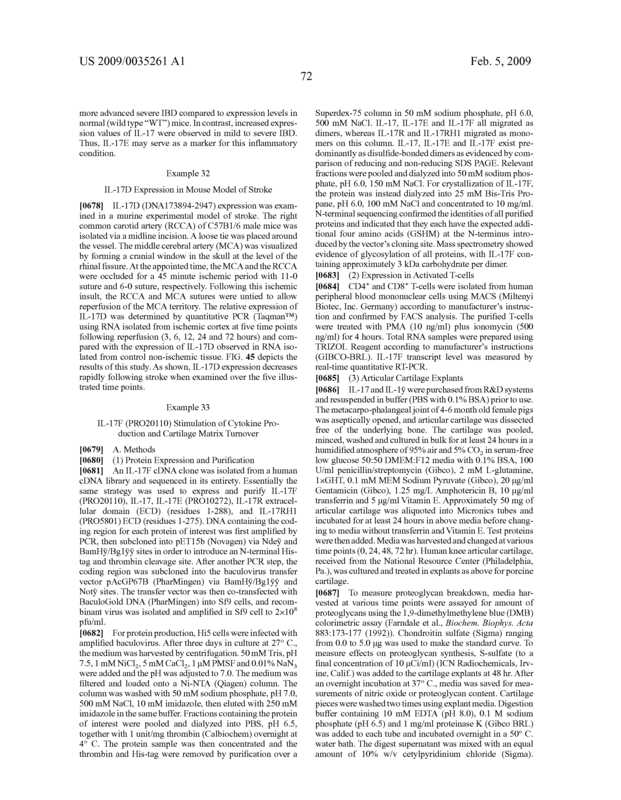 The method according to claim 45, wherein said A, B, or C polypeptide is attached to a solid support. 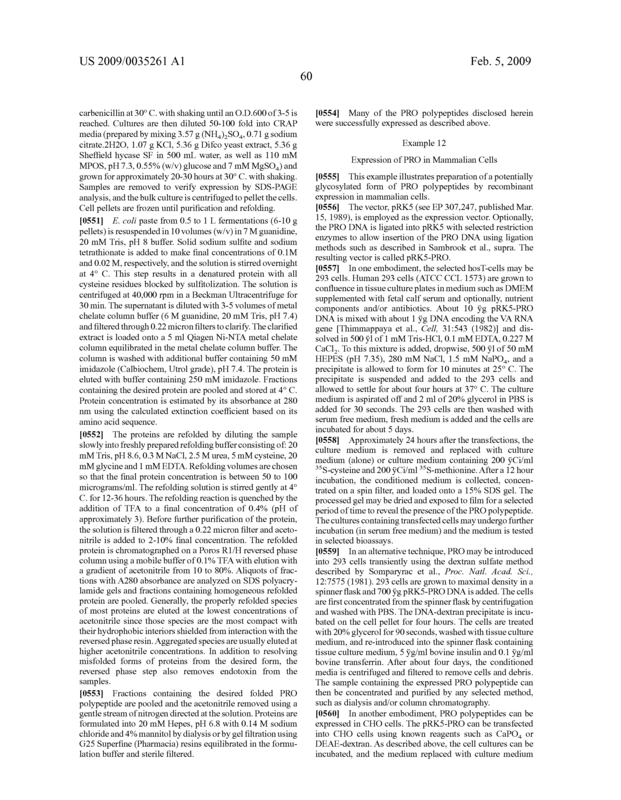 A method of linking a bioactive molecule to a cell expressing a polypeptide designated as A, B, or C, said method comprising contacting said cell with a polypeptide designated as D, E, or F that is bound to said bioactive molecule and allowing said A, B, or C and said D, E, or F polypeptides to bind to one another, thereby linking said bioactive molecules to said cell, wherein A is a PRO1031 polypeptide (herein also designated IL-17B), B is a PRO10272 polypeptide (herein also designated IL-17E), C is a PRO20110 polypeptide (herein also designated IL-17F), D is a PRO5801 polypeptide (herein also designated IL-17RH1), E is a PRO1 polypeptide (herein known as IL-17R), and F is a PRO20040 polypeptide (herein also designated IL-17RH2). 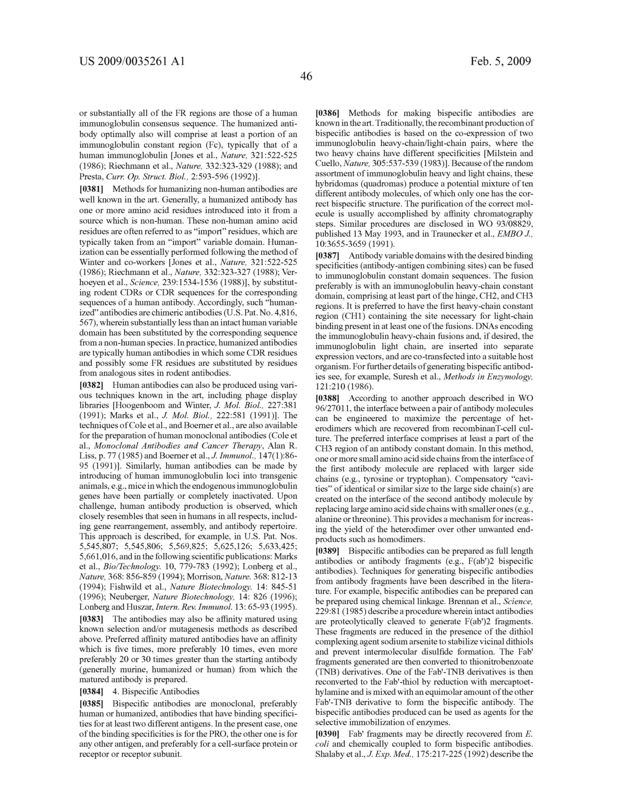 The method according to claim 49, wherein said bioactive molecule is a toxin, a radiolabel or an antibody. 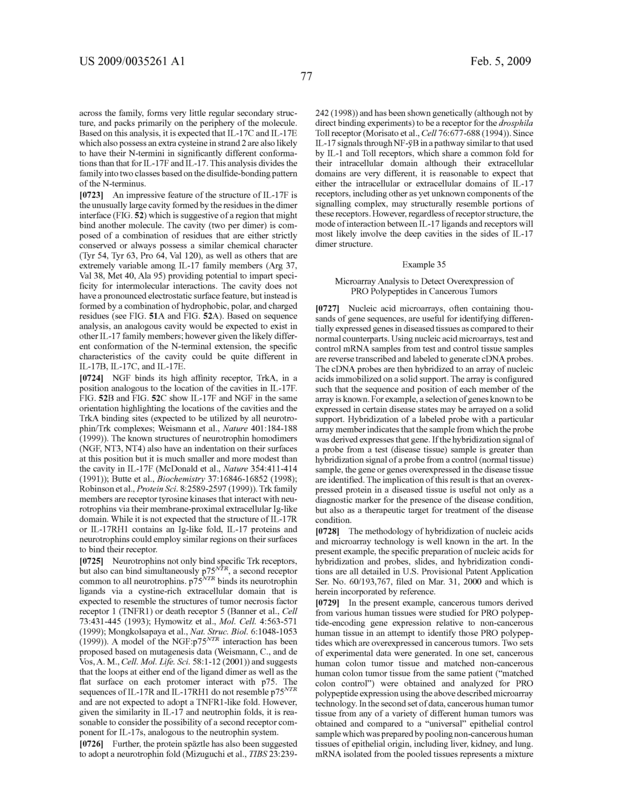 The method according to claim 49, wherein said bioactive molecule causes the death of said cell. 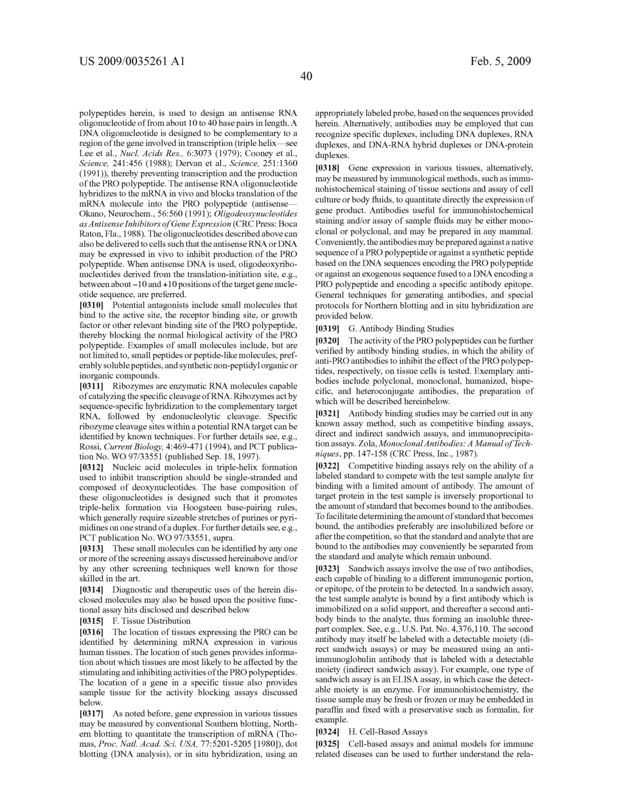 A method of linking a bioactive molecule to a cell expressing a polypeptide designated as D, E, or F, said method comprising contacting said cell with a polypeptide designated as A, B, or C that is bound to said bioactive molecule and allowing said A, B, or C and said D, E, or F polypeptides to bind to one another, thereby linking said bioactive molecules to said cell, wherein A is a PRO1031 polypeptide (herein also designated IL-17B), B is a PRO10272 polypeptide (herein also designated IL-17E), C is a PRO20110 polypeptide (herein also designated IL-17F), D is a PRO5801 polypeptide (herein also designated IL-17RH1), E is a PRO1 polypeptide (herein known as IL-17R), and F is a PRO20040 polypeptide (herein also designated IL-17RH2). 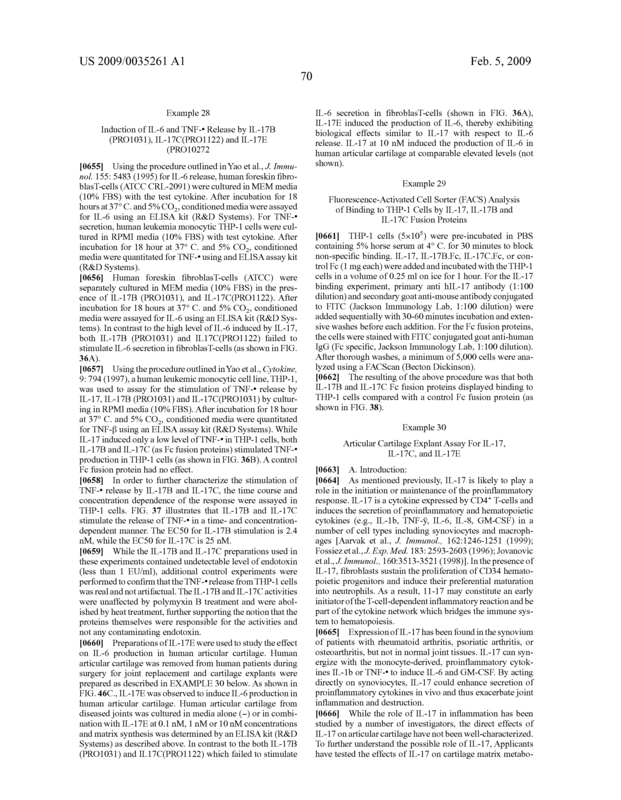 The method according to claim 52, wherein said bioactive molecule is a toxin, a radiolabel or an antibody. 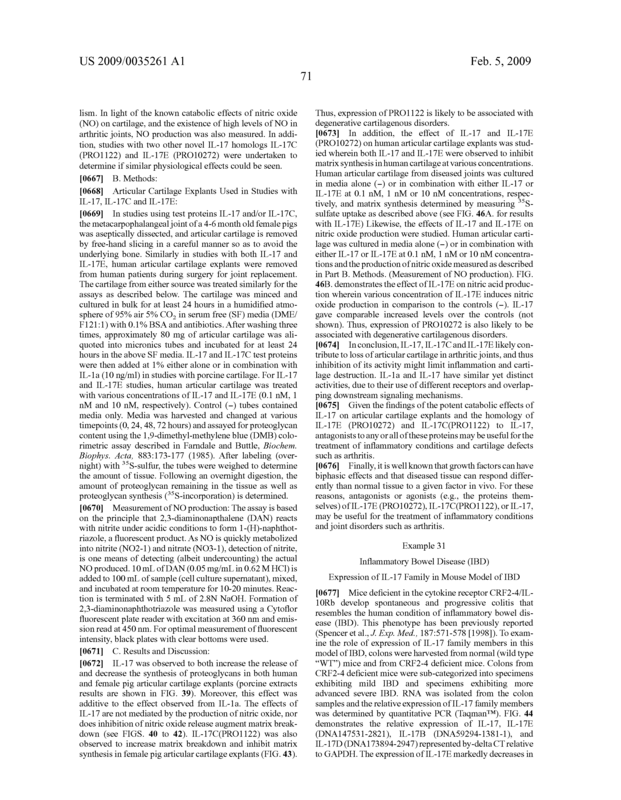 The method according to claim 52, wherein said bioactive molecule causes the death of said cell. 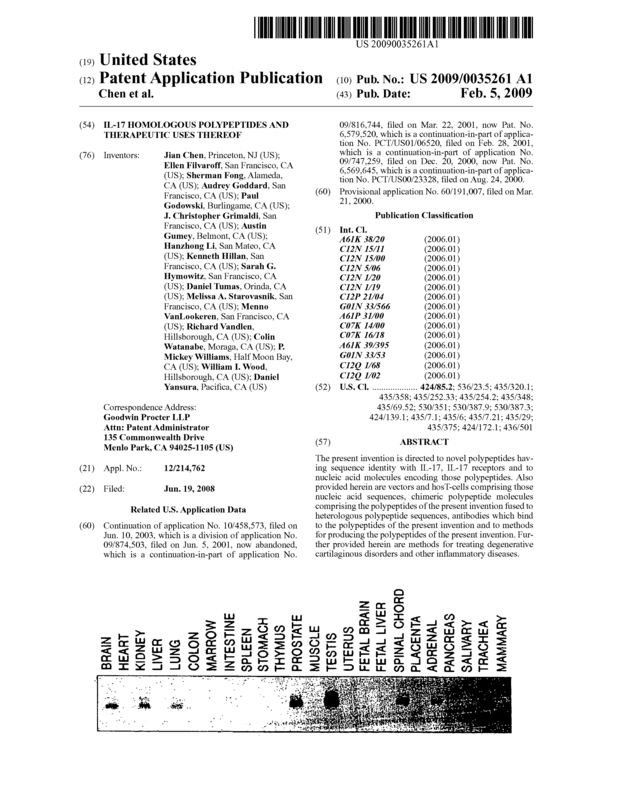 A method of modulating at least one biological activity of a cell expressing a polypeptide designated as A, B, or C, said method comprising contacting said cell with a polypeptide designated as D, E, or F or an anti-A, anti-B, or anti-C polypeptide antibody, whereby said D, E, or F polypeptide or anti-A, anti-B, or anti-C polypeptide antibody binds to said A, B, or C polypeptide, thereby modulating at least one biological activity of said cell, wherein A is a PRO1031 polypeptide (herein also designated IL-17B), B is a PRO10272 polypeptide (herein also designated IL-17E), C is a PRO20110 polypeptide (herein also designated IL-17F), D is a PRO5801 polypeptide (herein also designated IL-17RH1), E is a PRO1 polypeptide (herein known as IL-17R), and F is a PRO20040 polypeptide (herein also designated IL-17RH2). 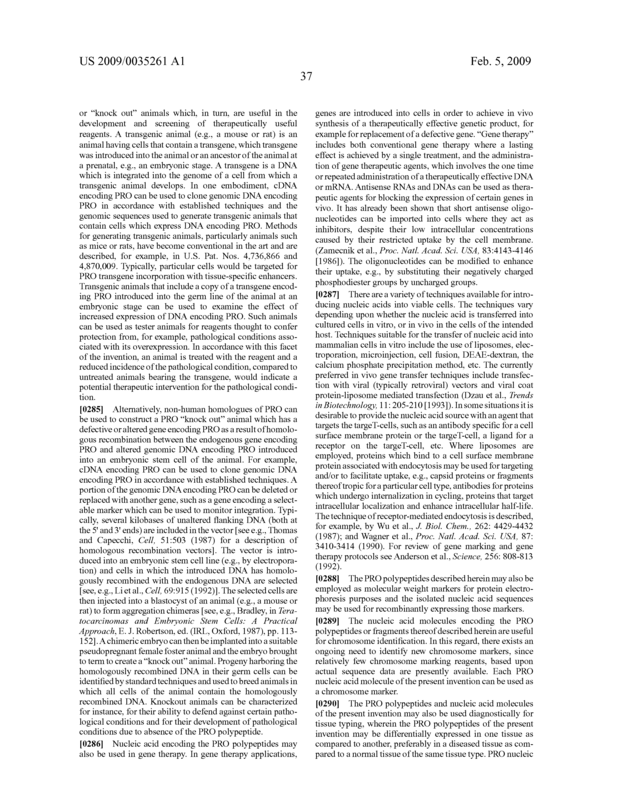 The method according to claim 55, wherein said cell is killed. 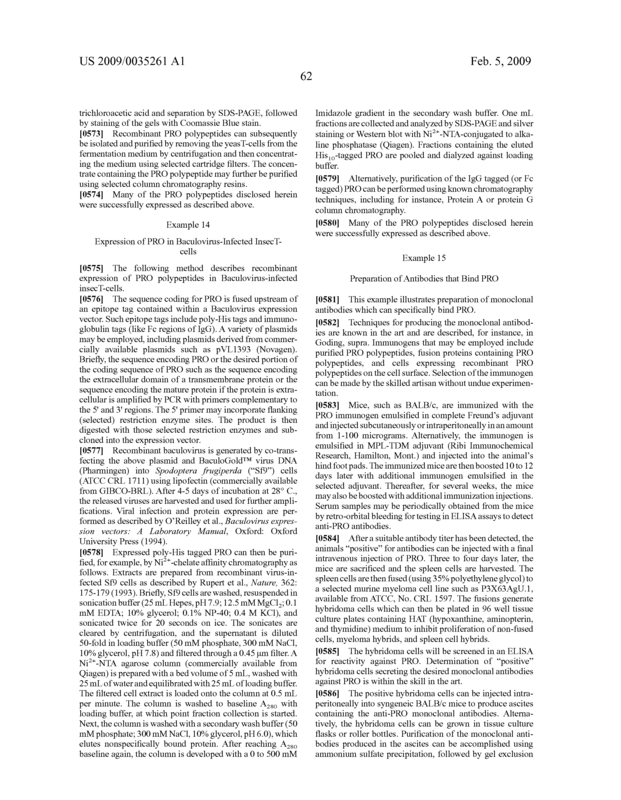 A method of modulating at least one biological activity of a cell expressing a polypeptide designated as D, E, or F, said method comprising contacting said cell with a polypeptide designated as A, B, or C or an anti-D, anti-E, or anti-F polypeptide antibody, whereby said A, B, or C polypeptide or anti-D, anti-E, or anti-F polypeptide antibody binds to said D, E, or F polypeptide, thereby modulating at least one biological activity of said cell, wherein A is a PRO1031 polypeptide (herein also designated IL-17B), B is a PRO10272 polypeptide (herein also designated IL-17E), C is a PRO20110 polypeptide (herein also designated IL-17F), D is a PRO5801 polypeptide (herein also designated IL-17RH1), E is a PRO1 polypeptide (herein known as IL-17R), and F is a PRO20040 polypeptide (herein also designated IL-17RH2). 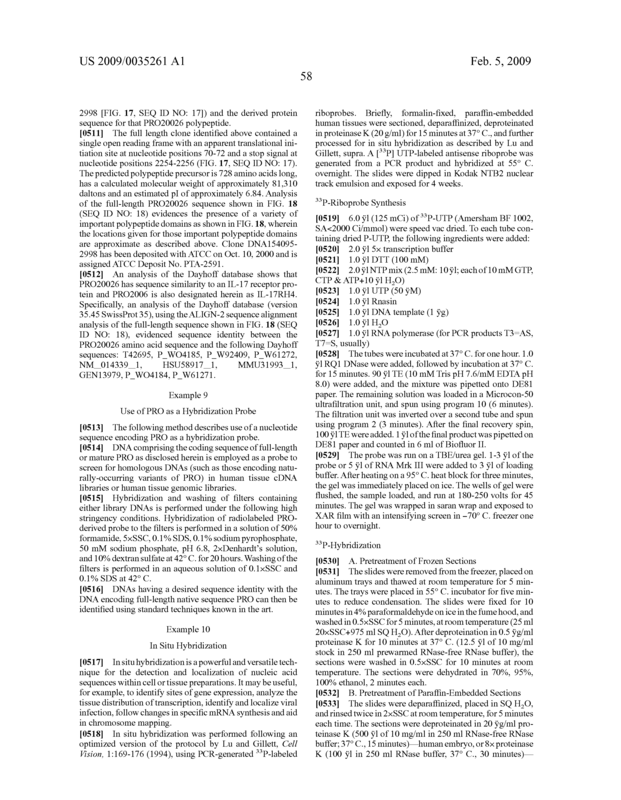 The method according to claim 57, wherein said cell is killed. 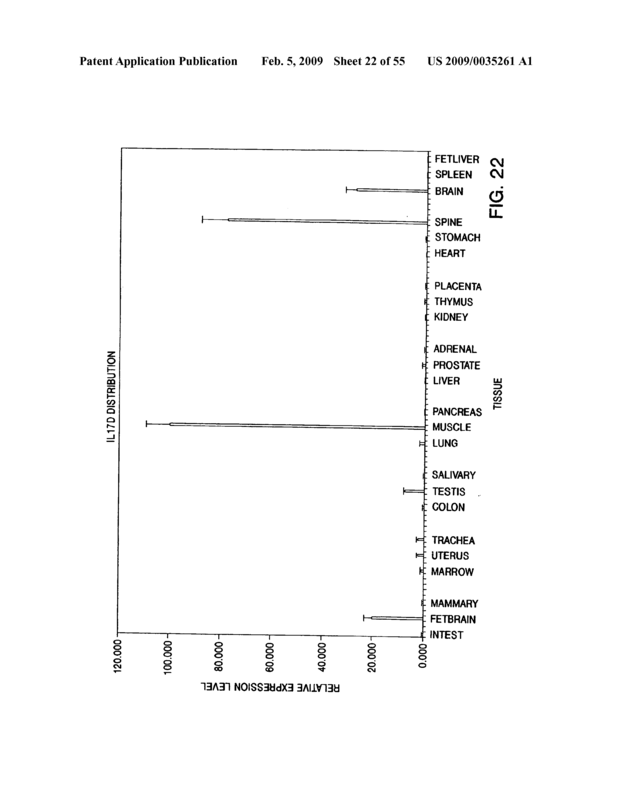 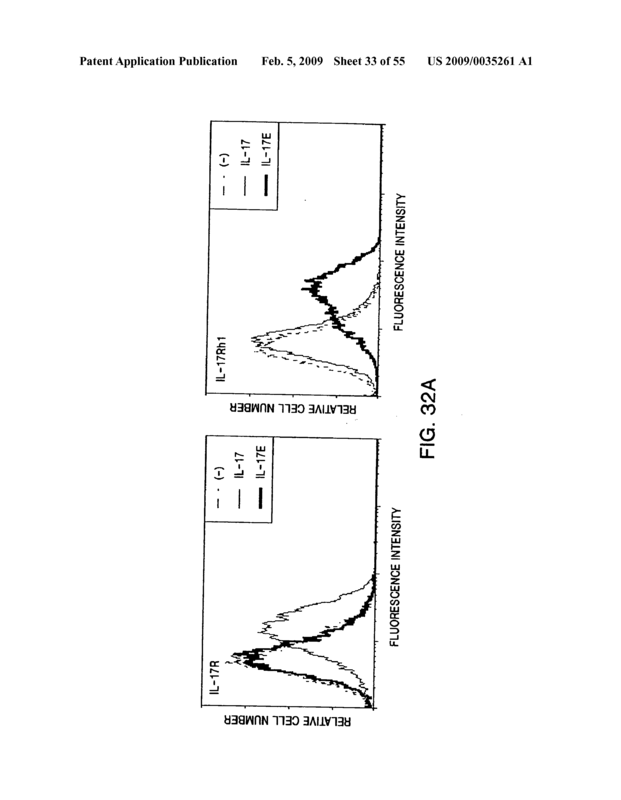 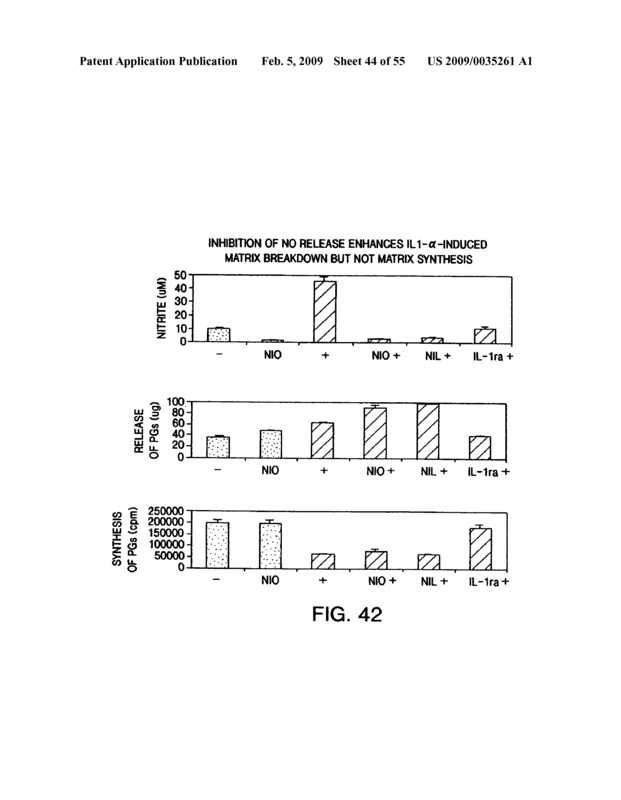 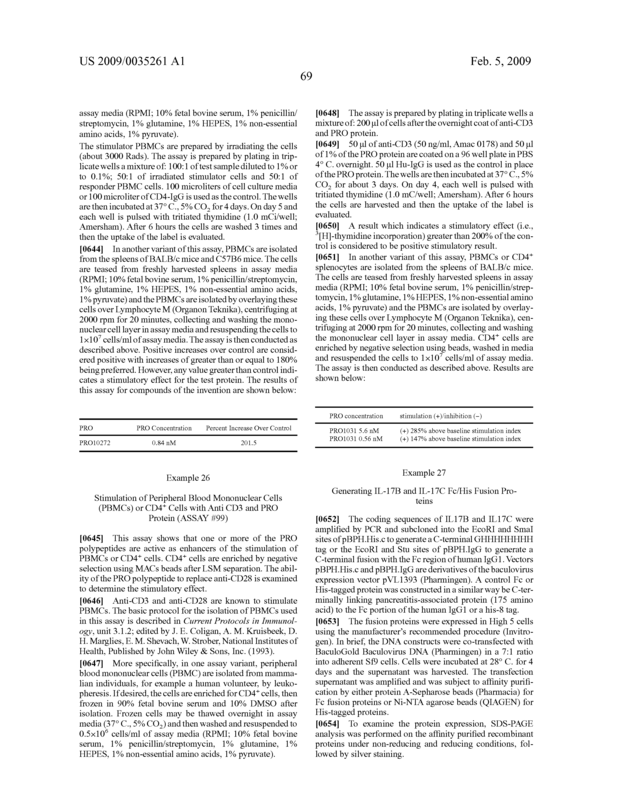 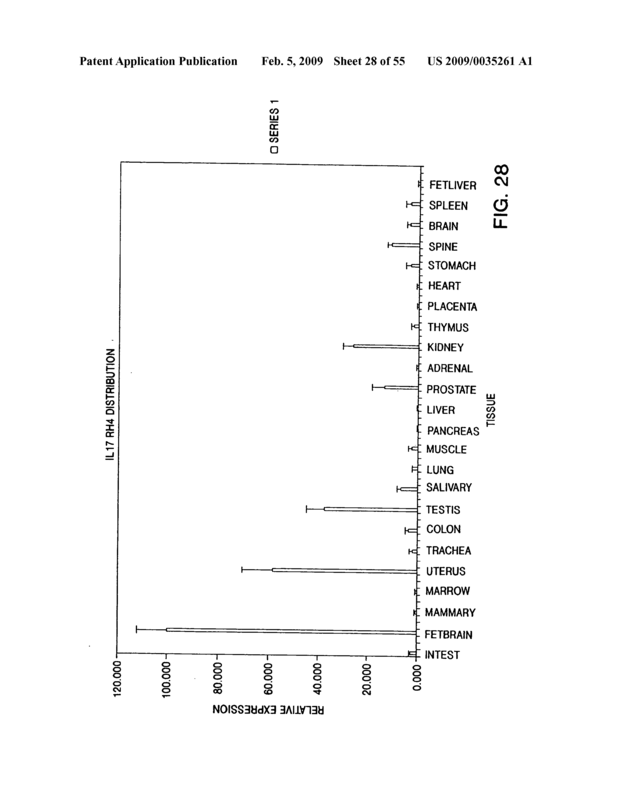 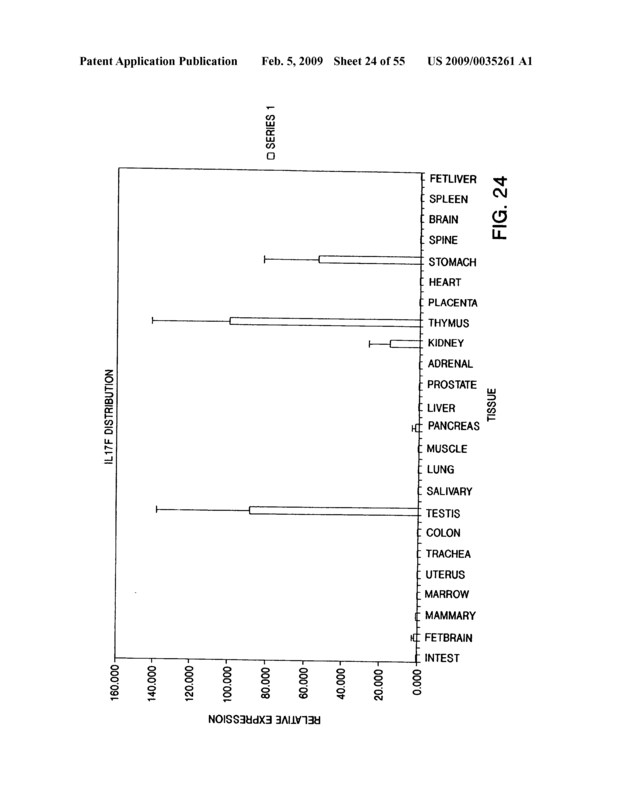 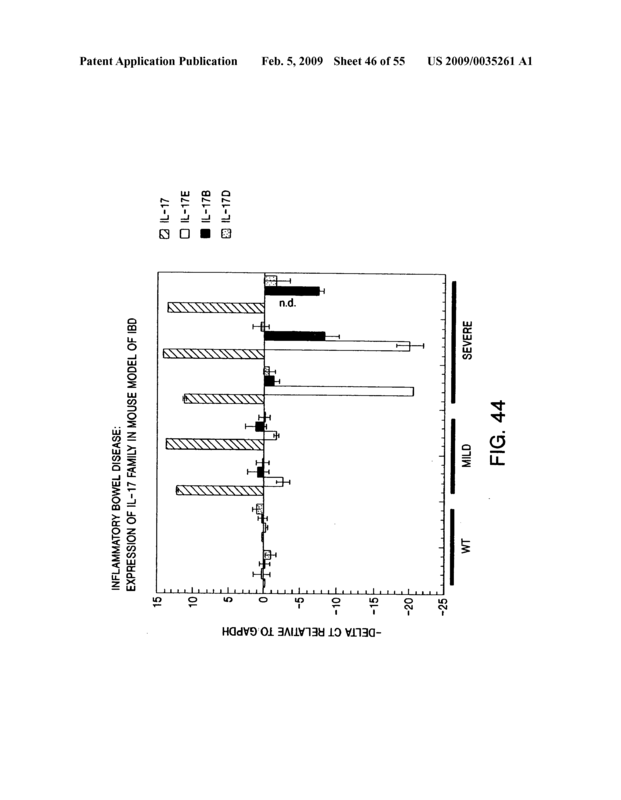 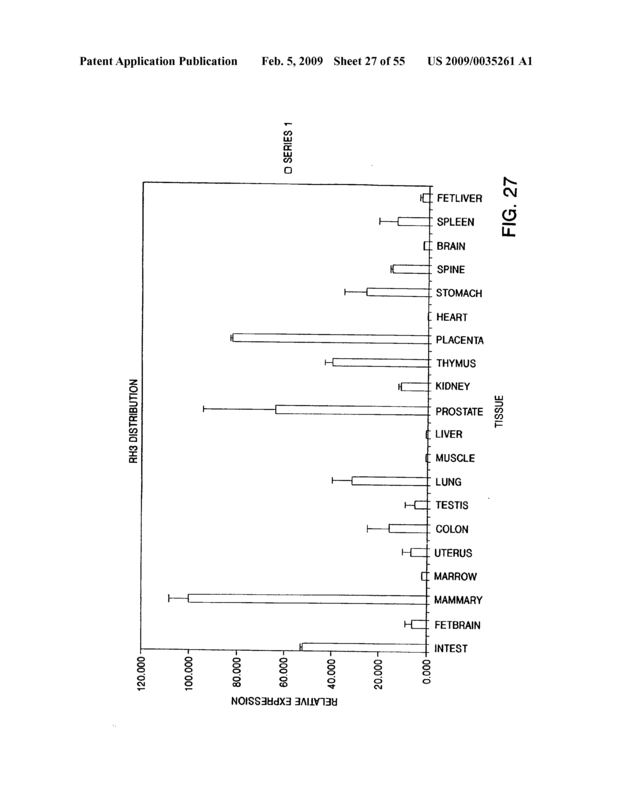 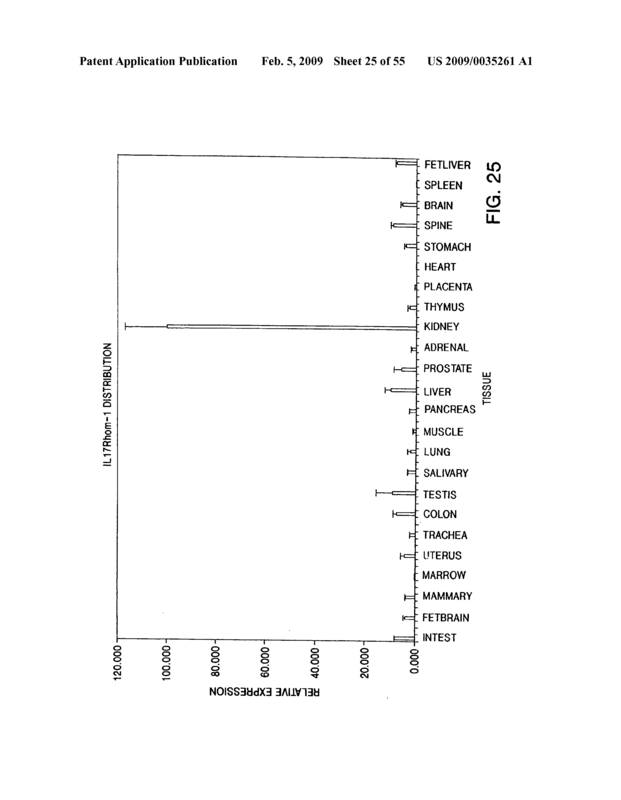 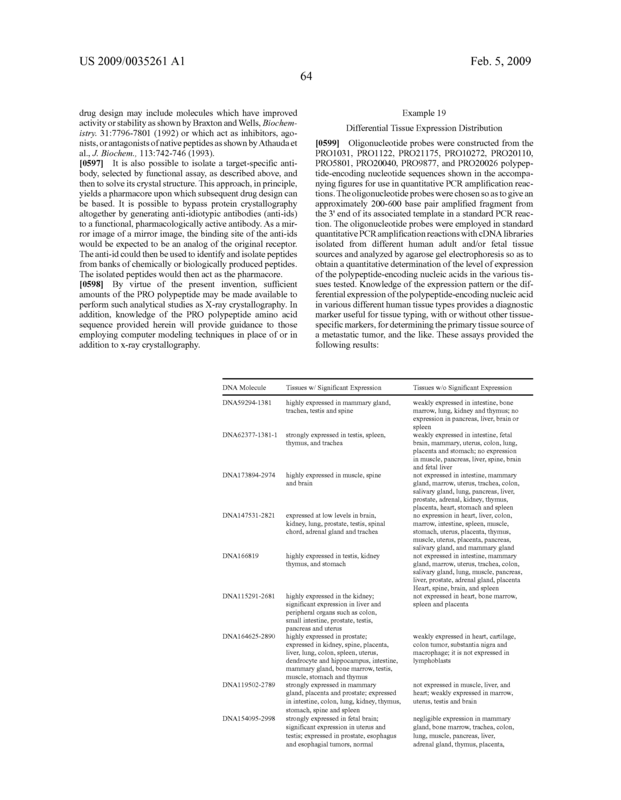 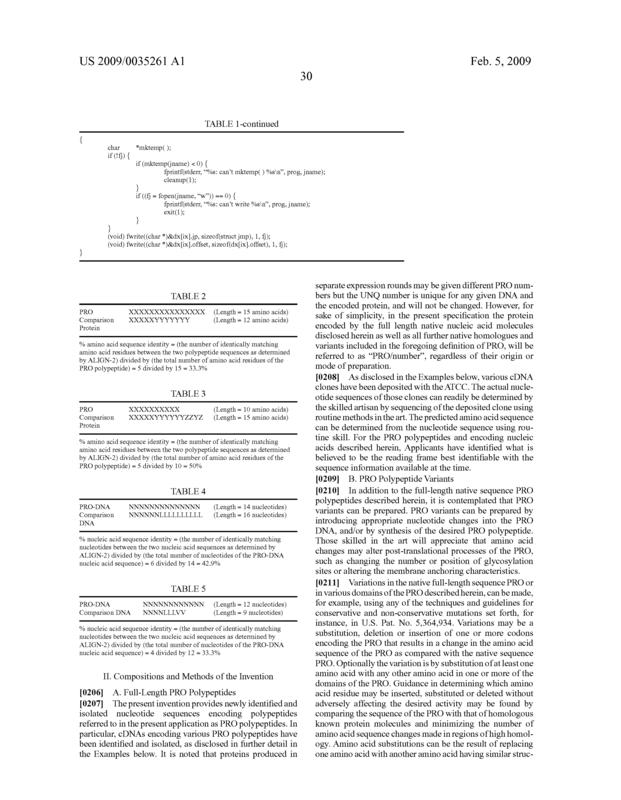 A method for detecting the presence of tumor in an mammal, said method comprising comparing the level of expression of any PRO polypeptide shown in Table 7 in (a) a test sample of cells taken from said mammal and (b) a control sample of normal cells of the same cell type, wherein a higher level of expression of said PRO polypeptide in the test sample as compared to the control sample is indicative of the presence of tumor in said mammal. 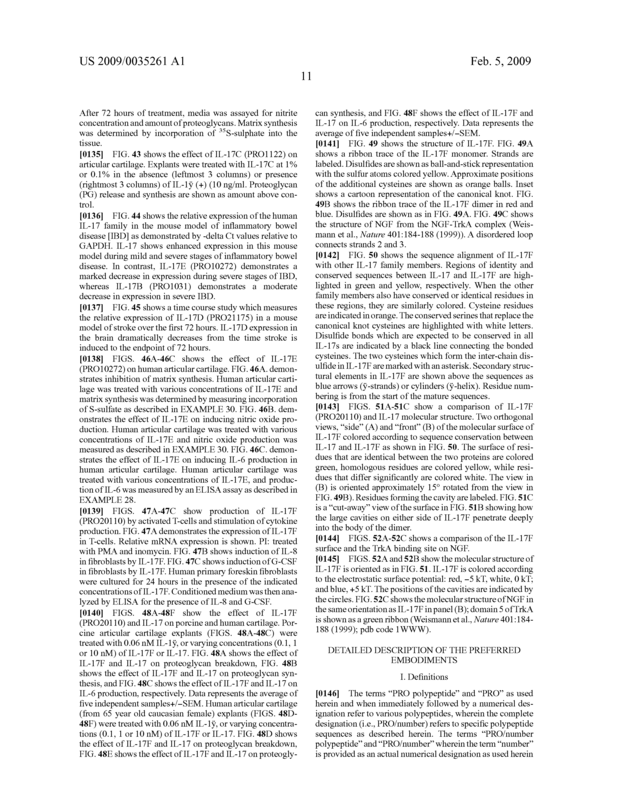 The method of claim 59, wherein said tumor is lung tumor, colon tumor, or breast tumor.